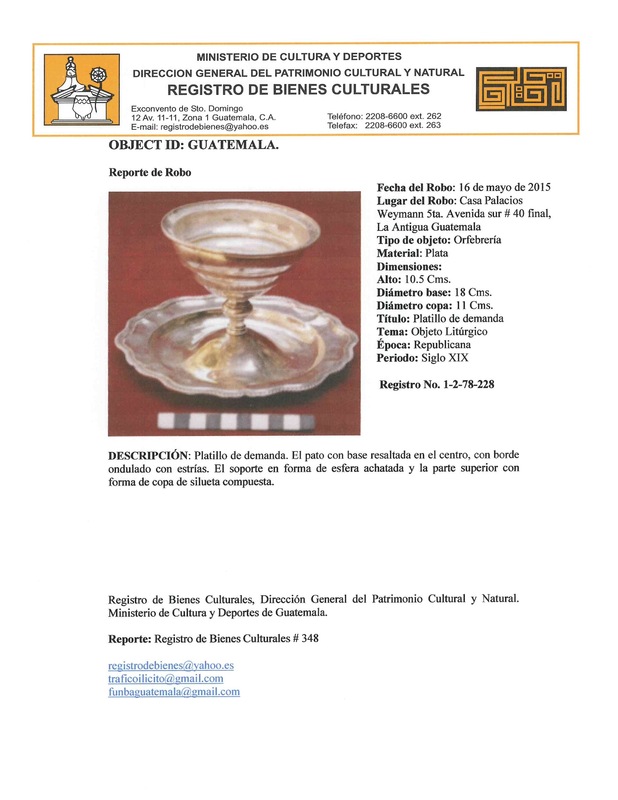 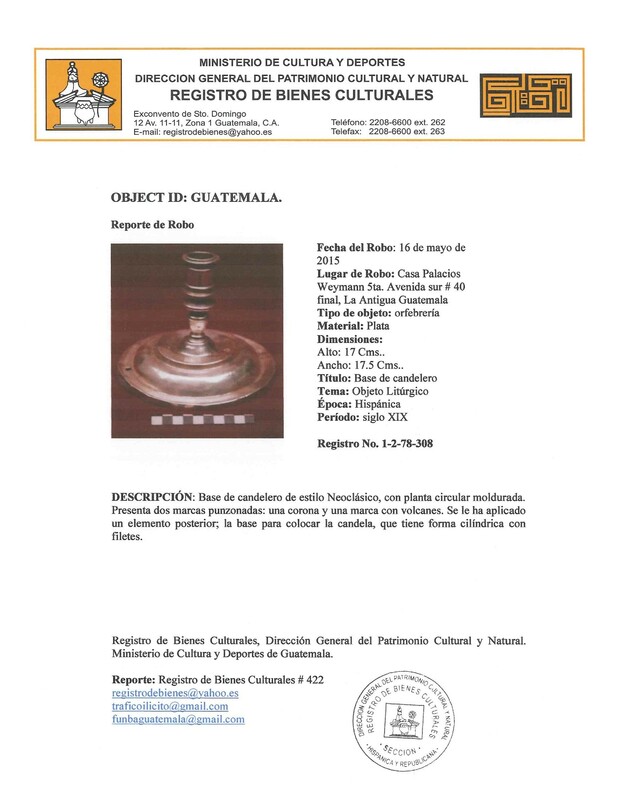 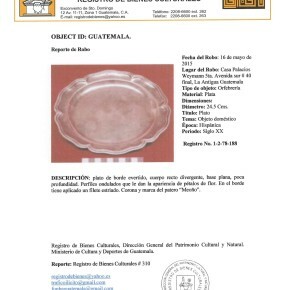 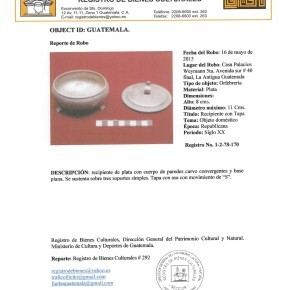 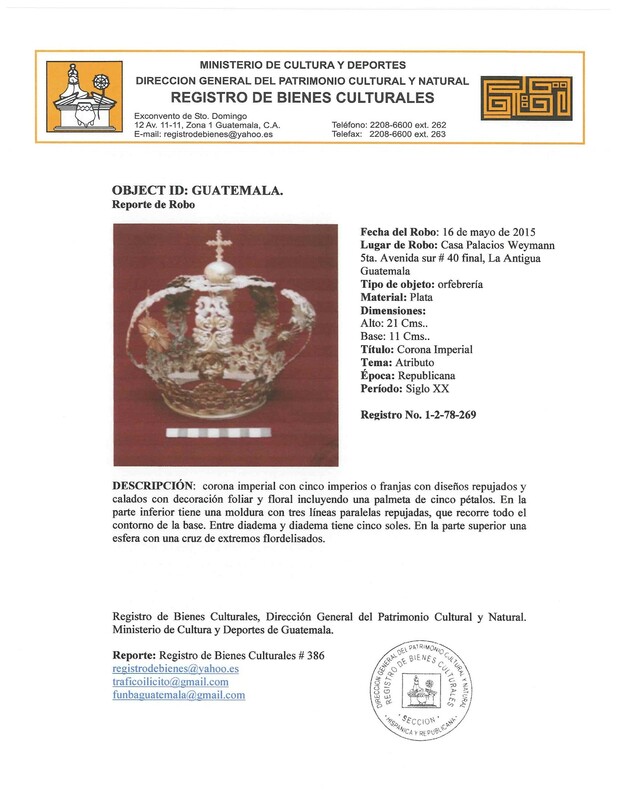 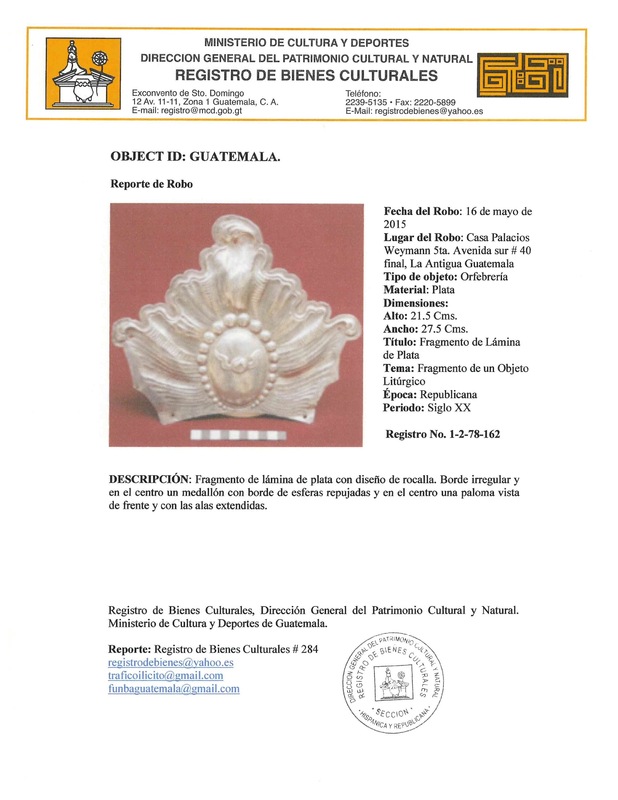 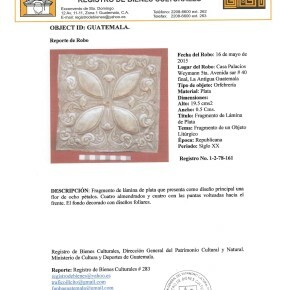 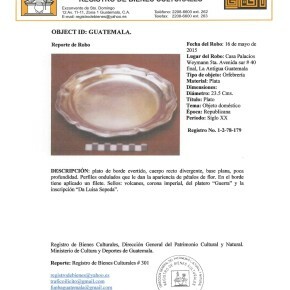 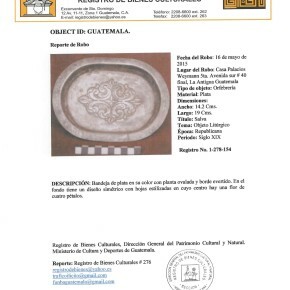 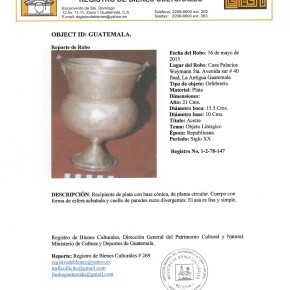 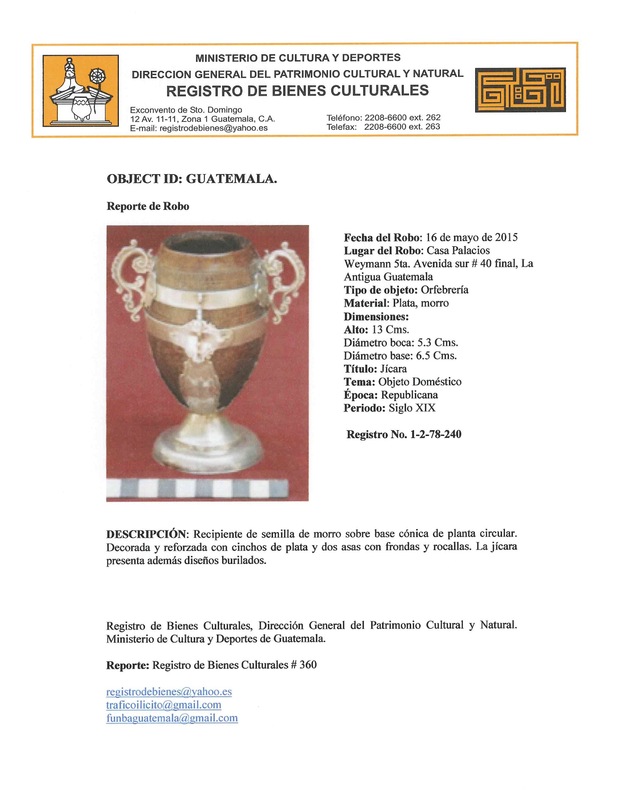 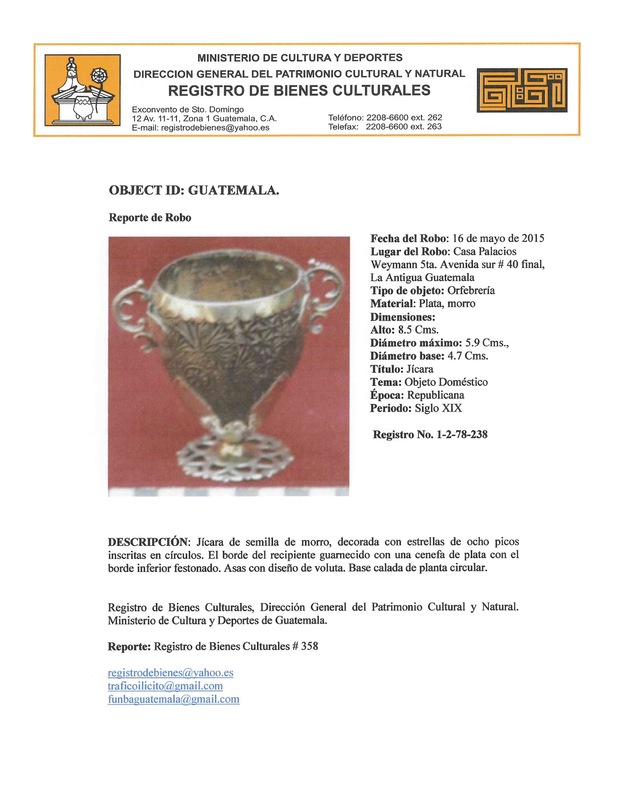 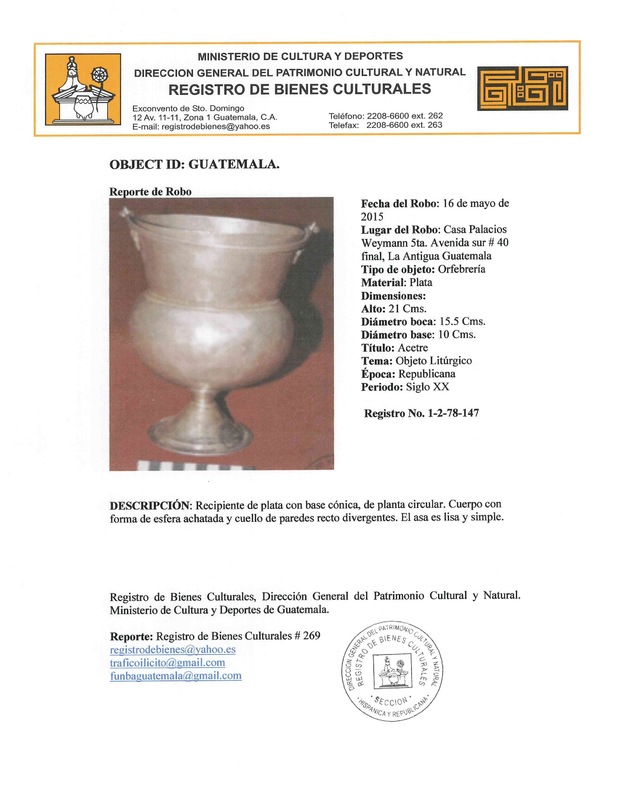 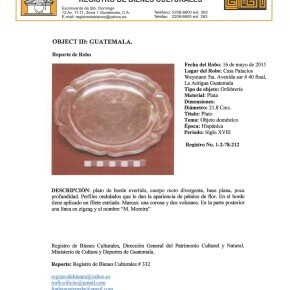 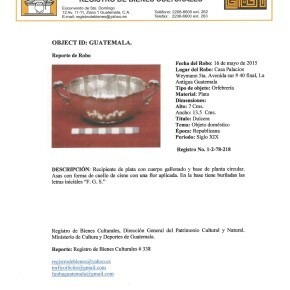 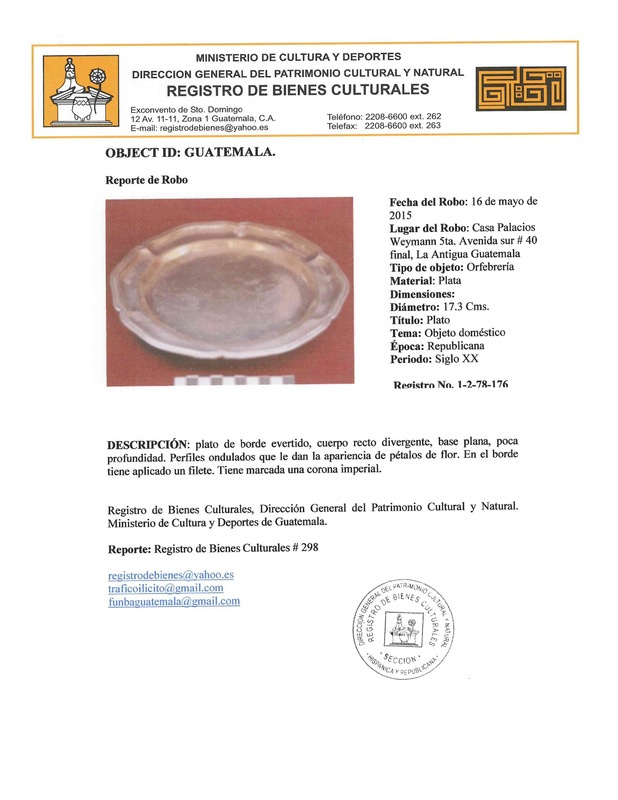 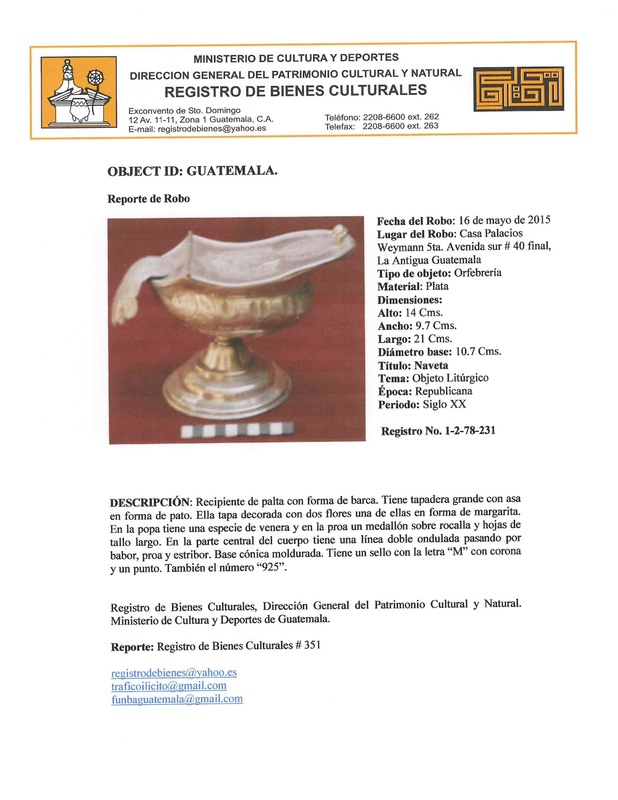 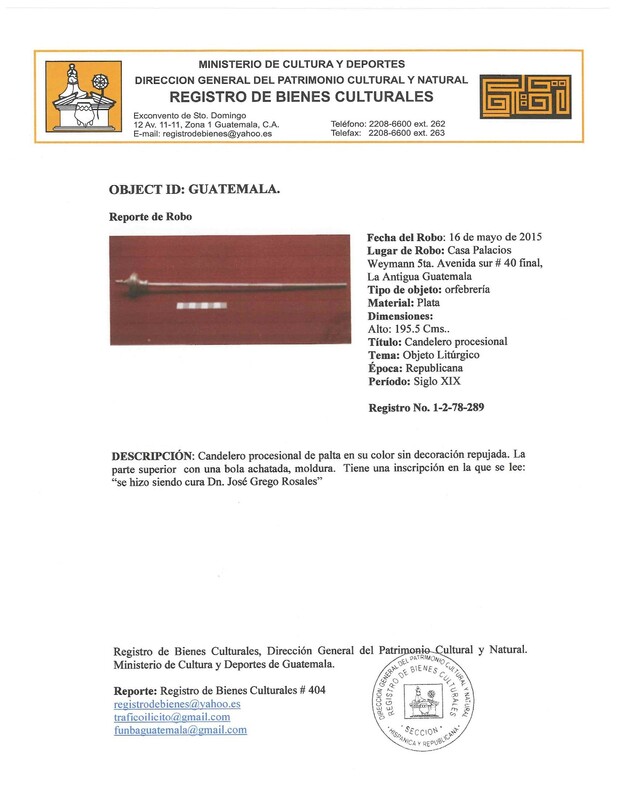 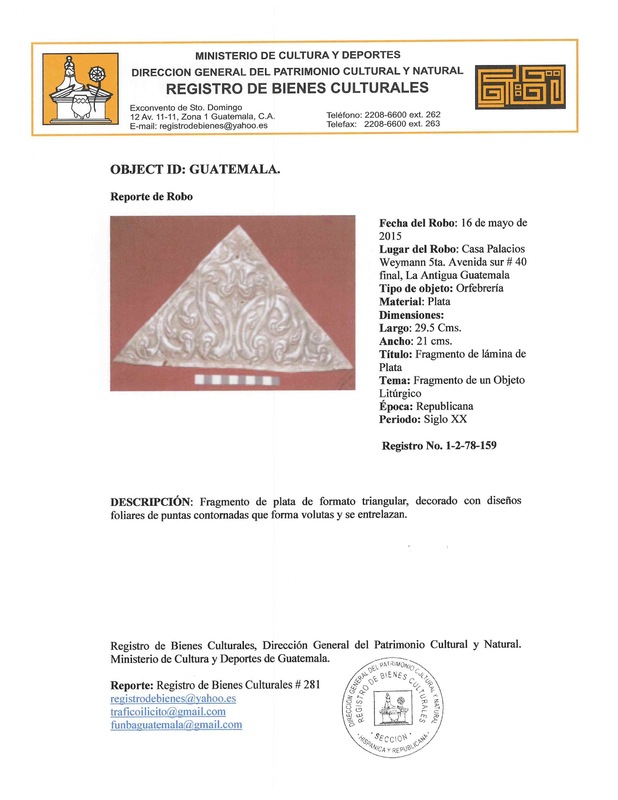 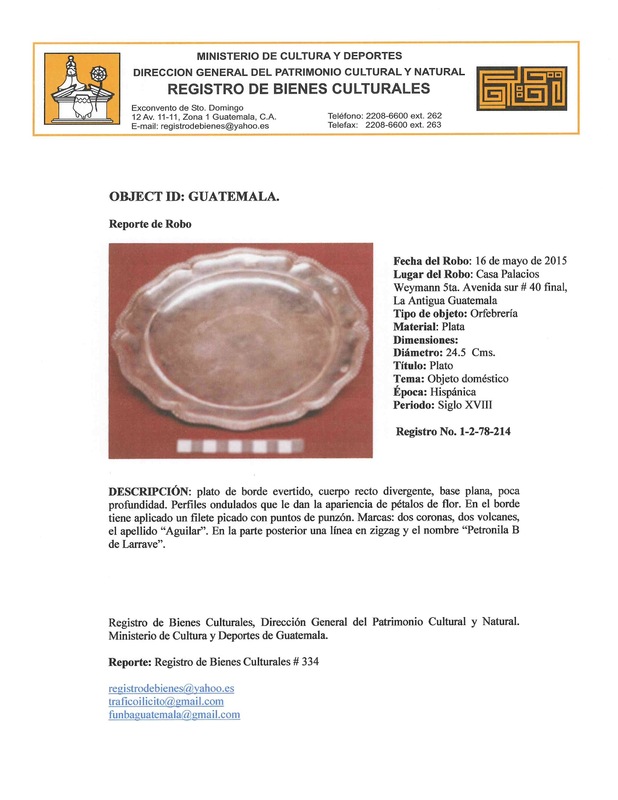 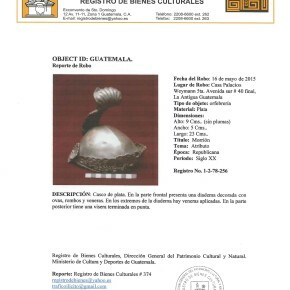 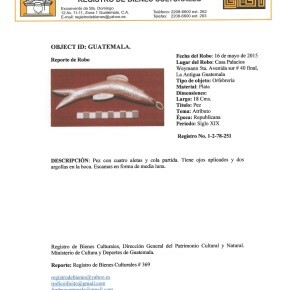 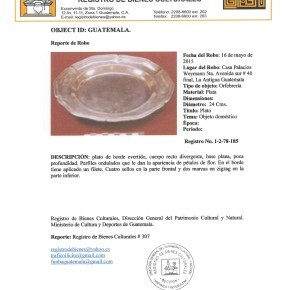 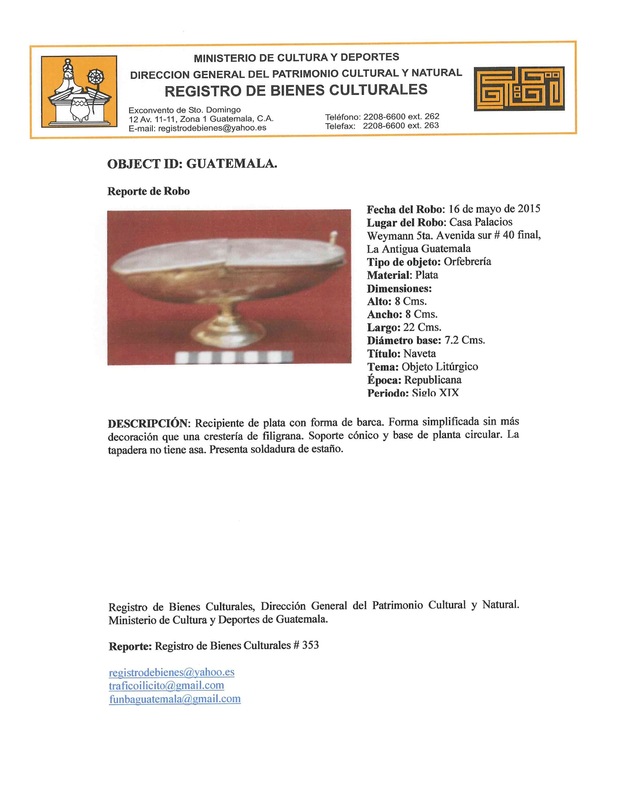 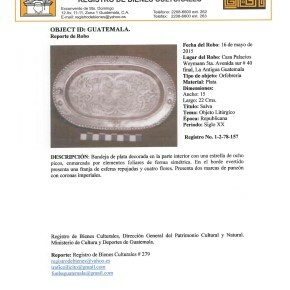 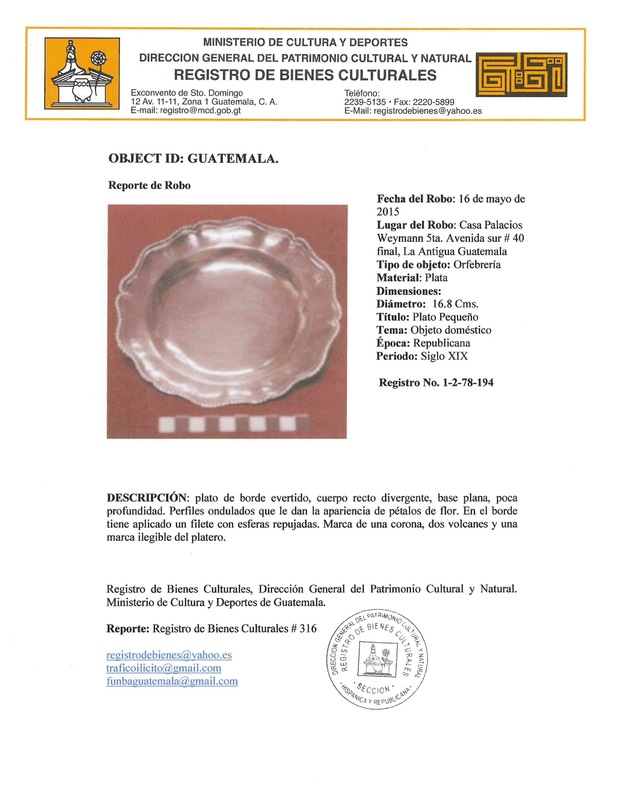 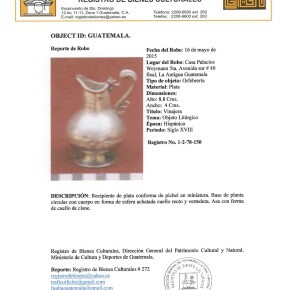 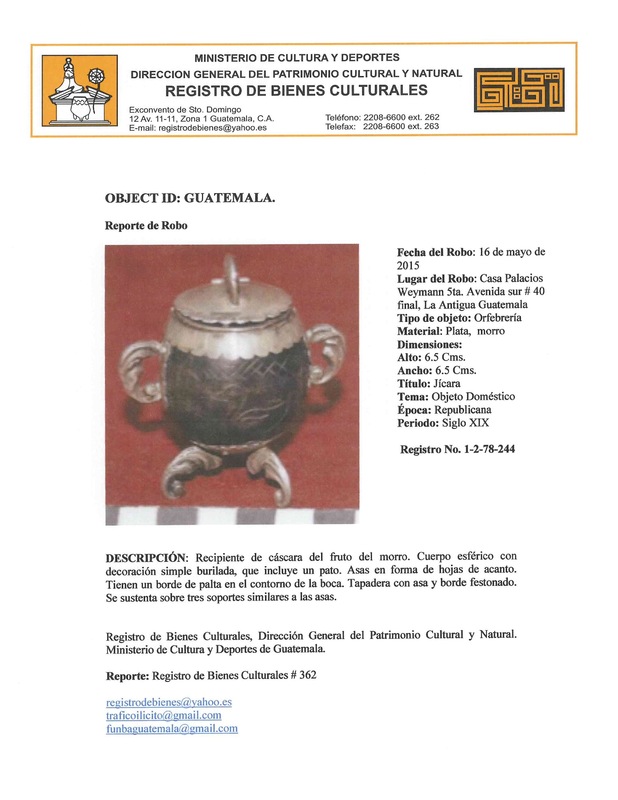 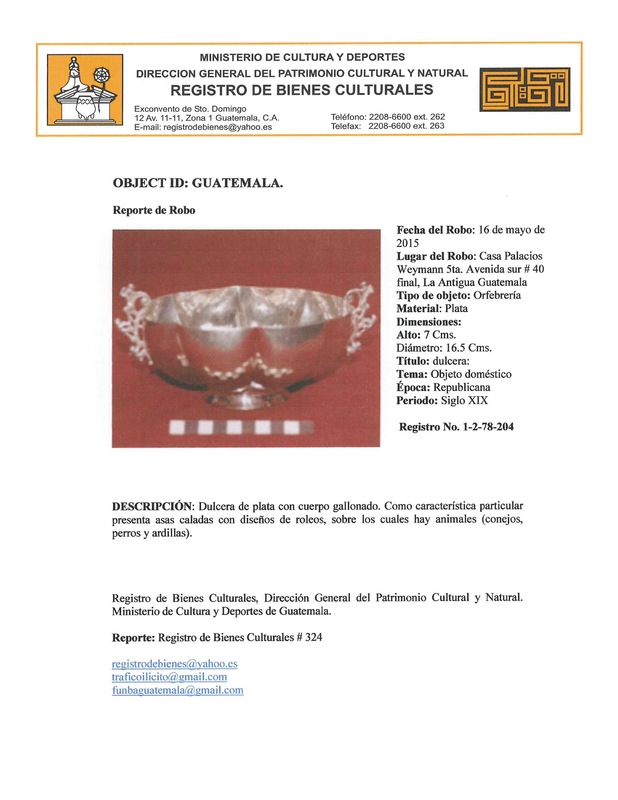 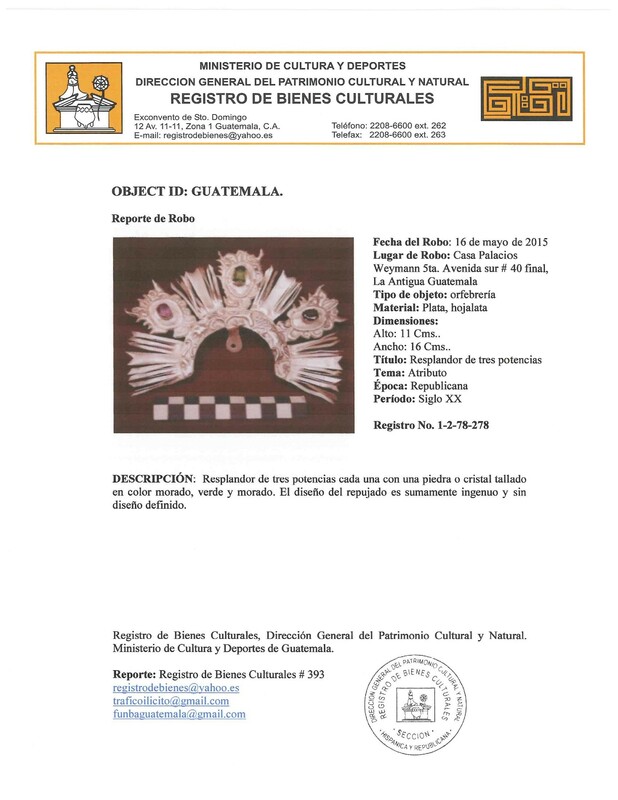 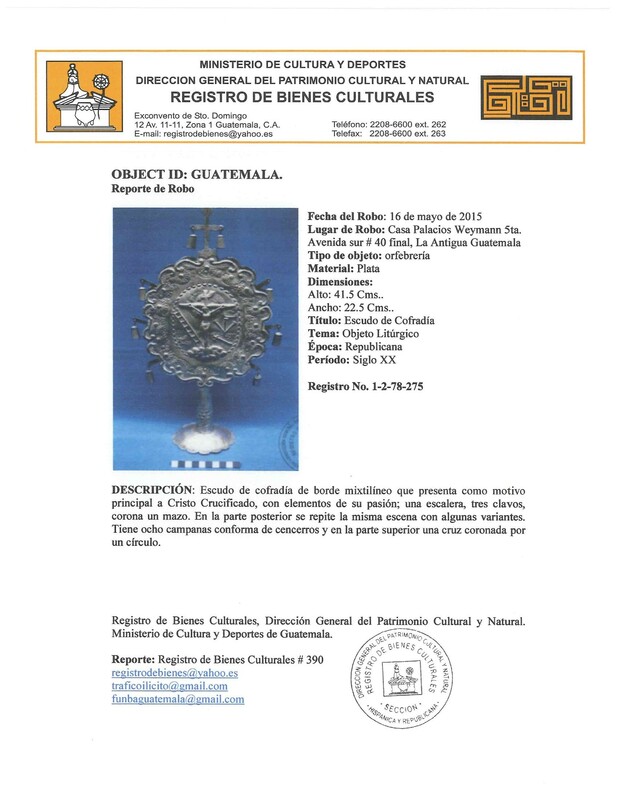 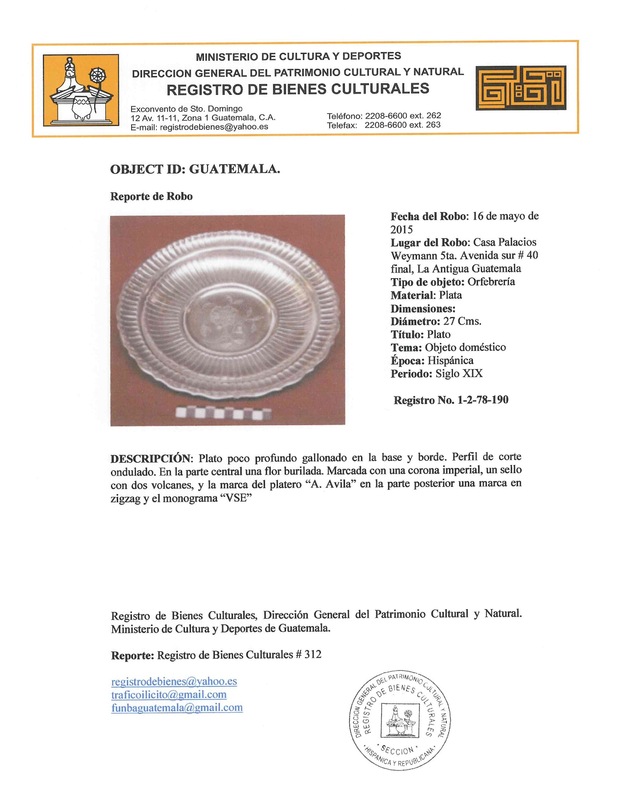 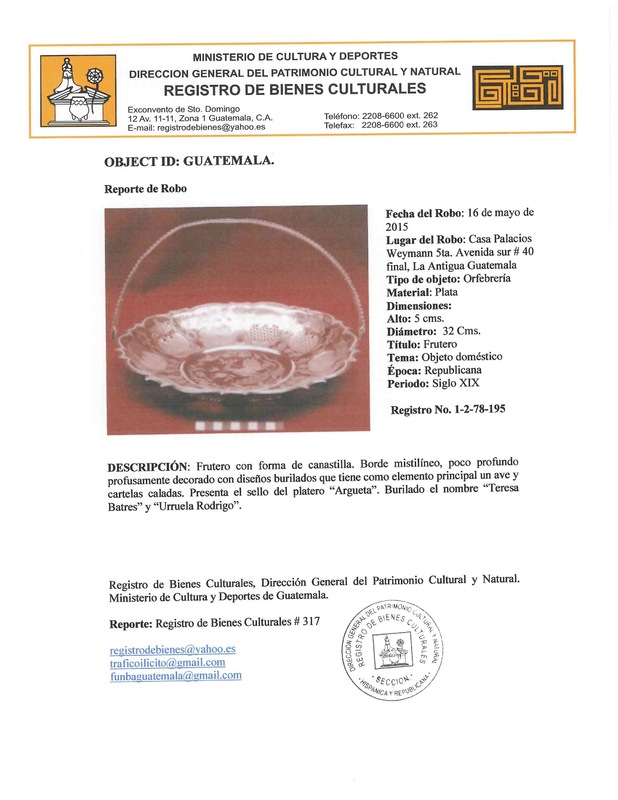 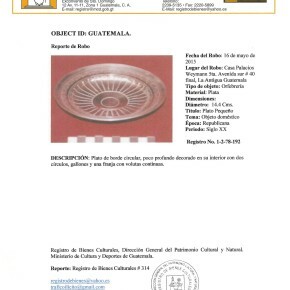 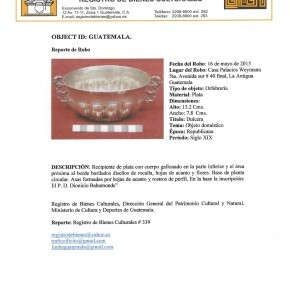 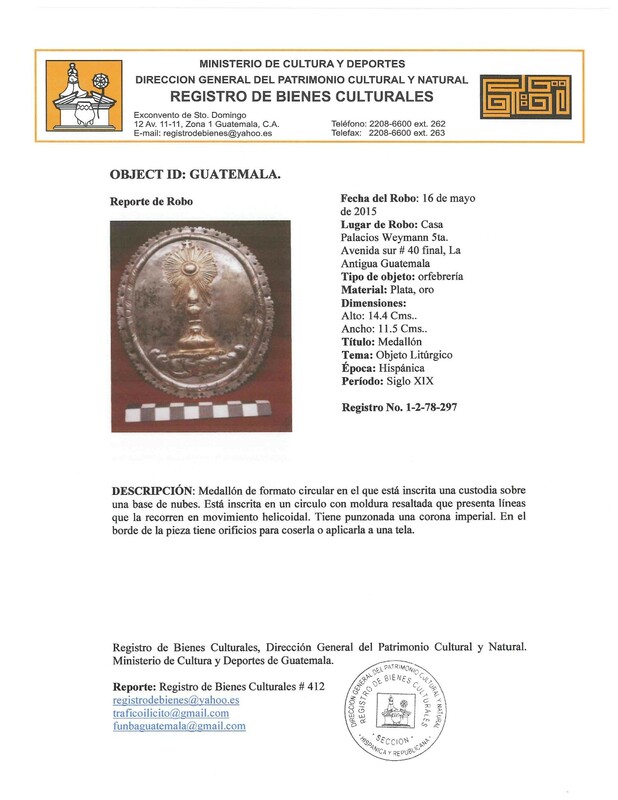 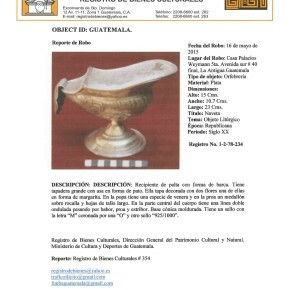 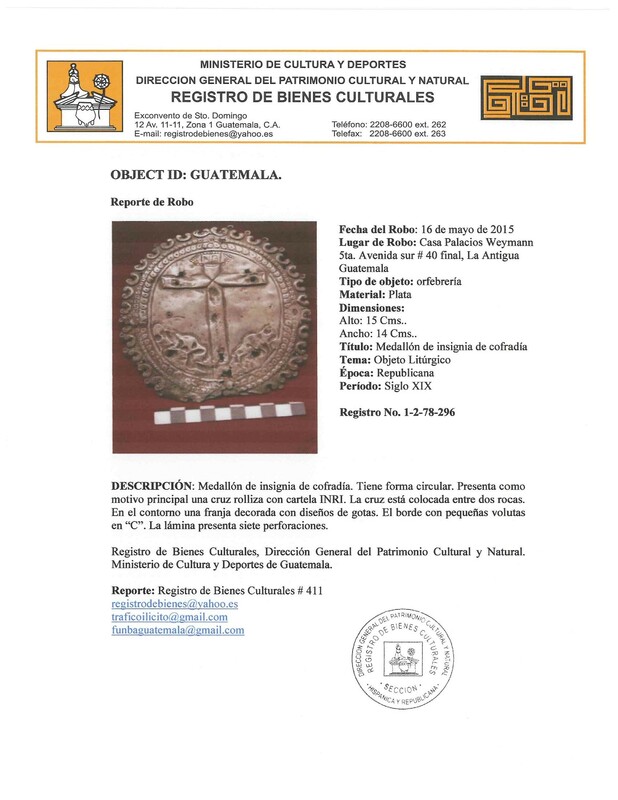 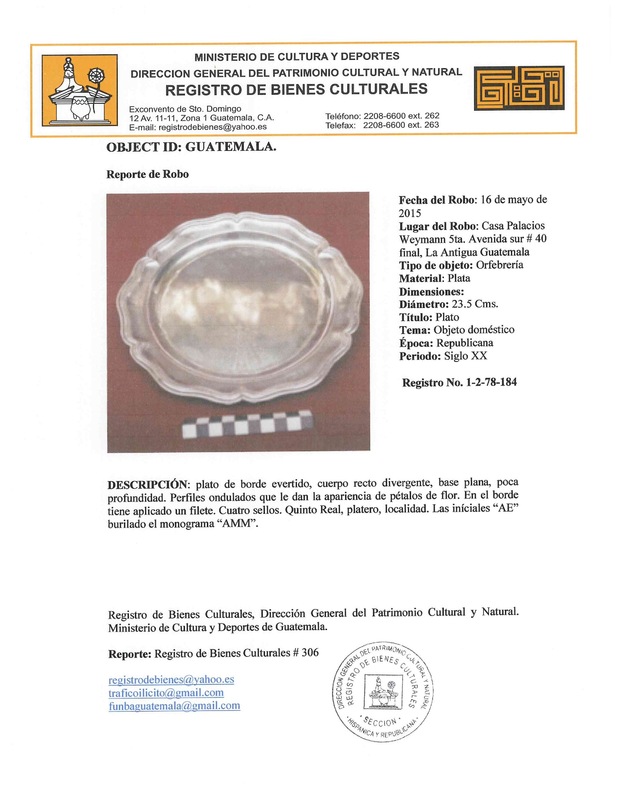 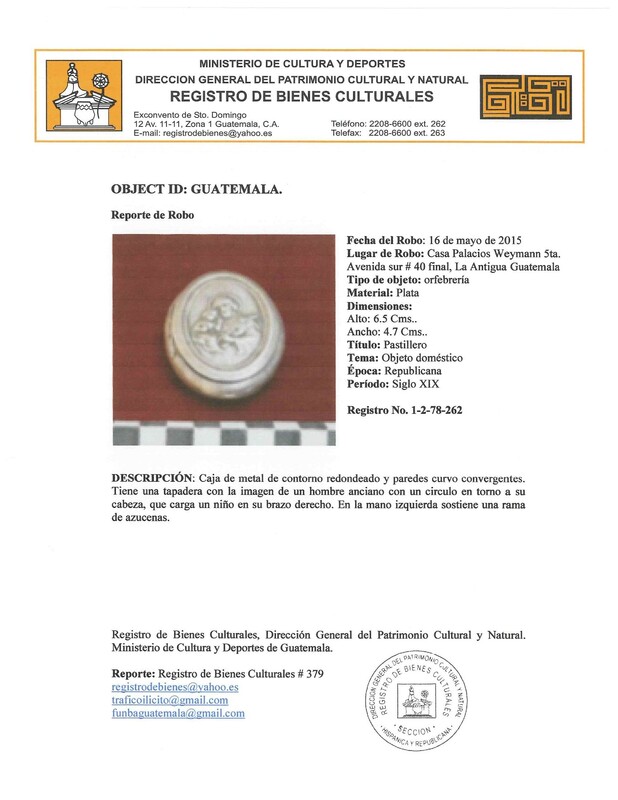 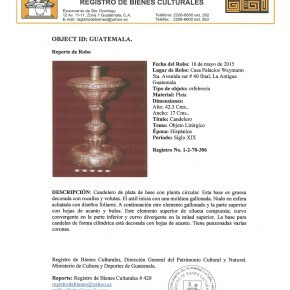 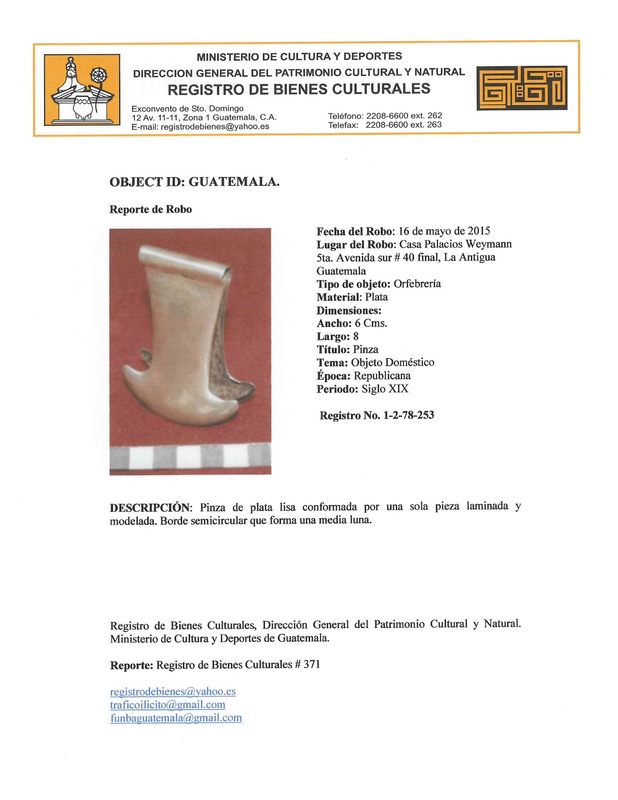 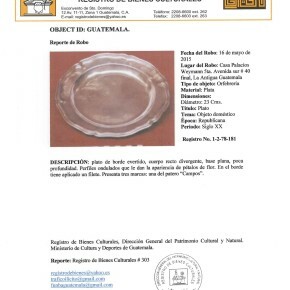 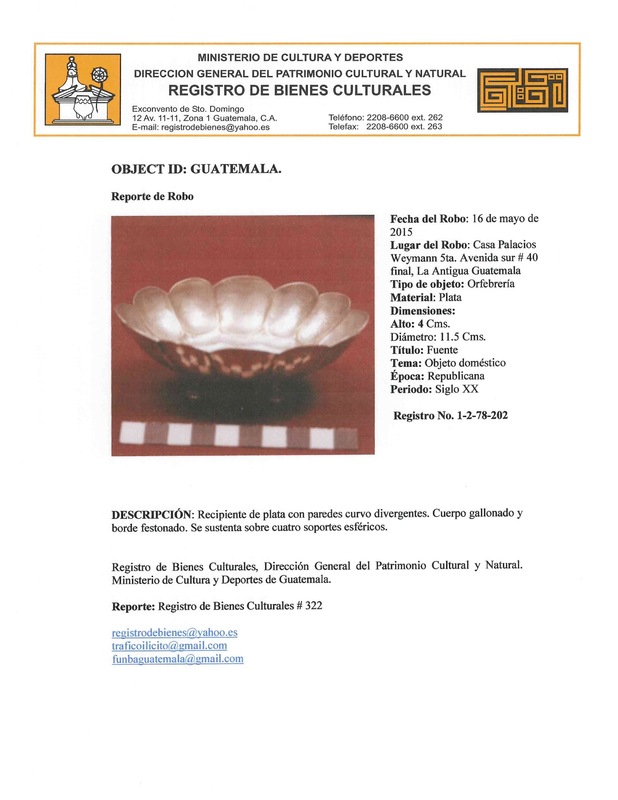 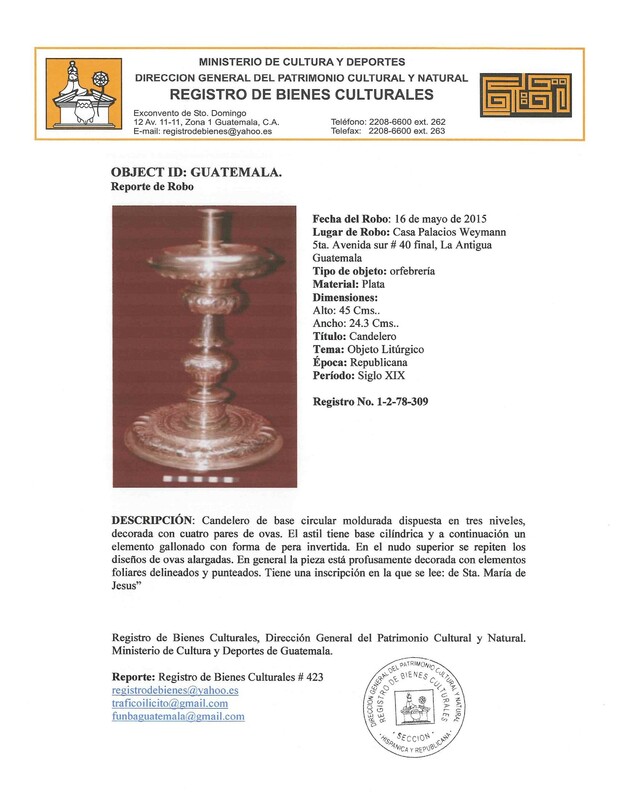 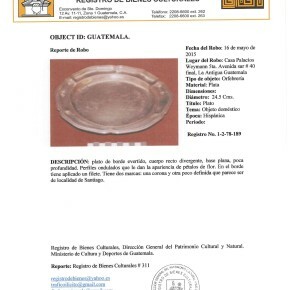 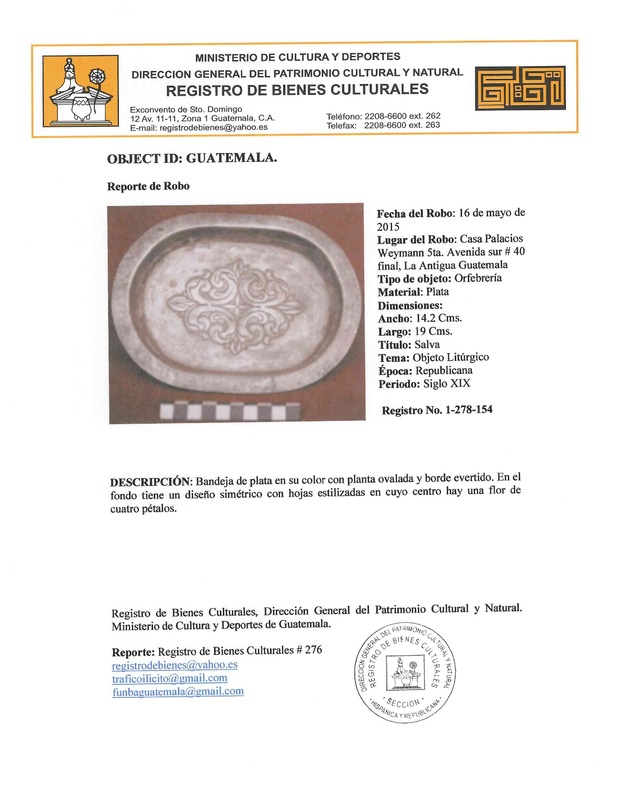 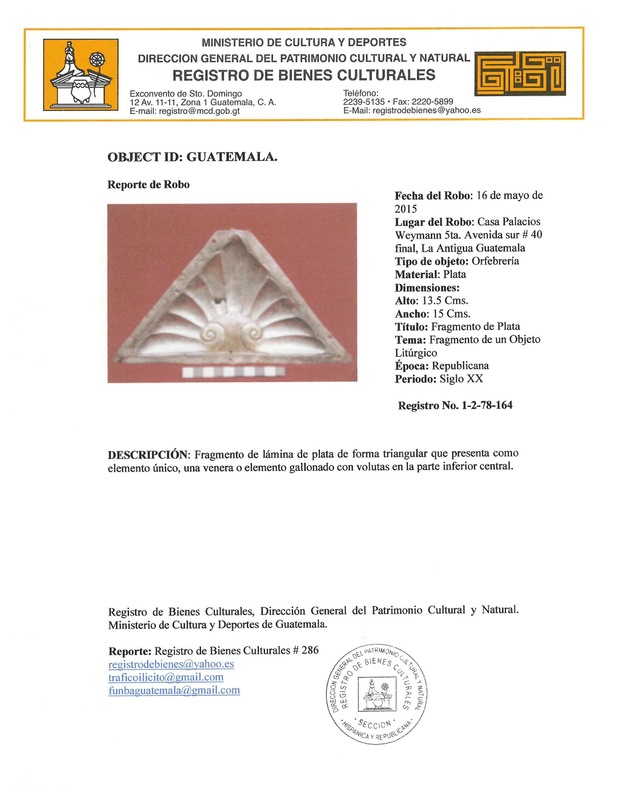 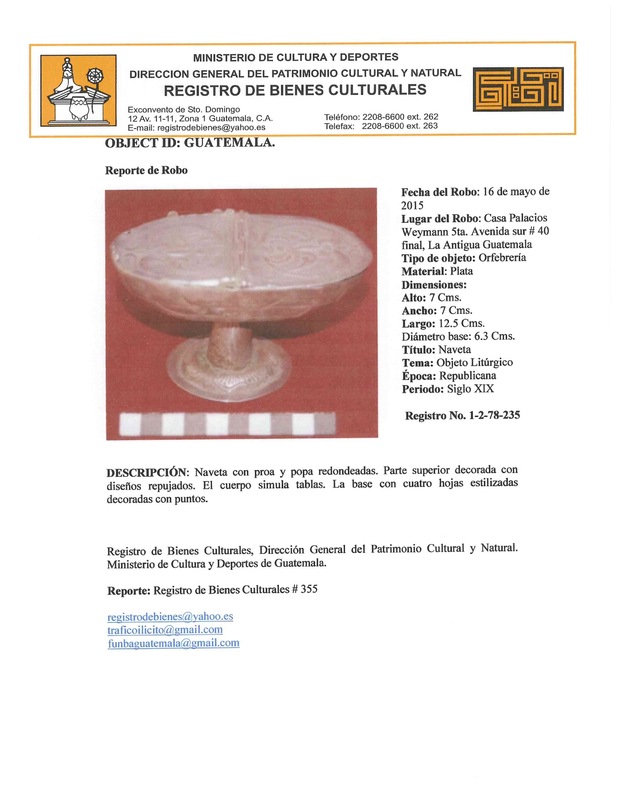 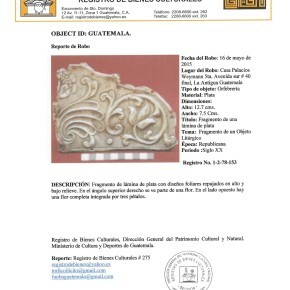 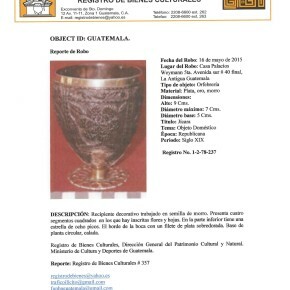 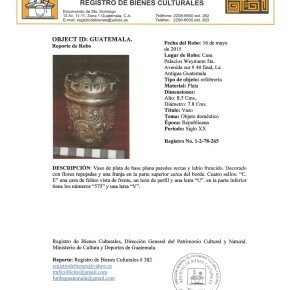 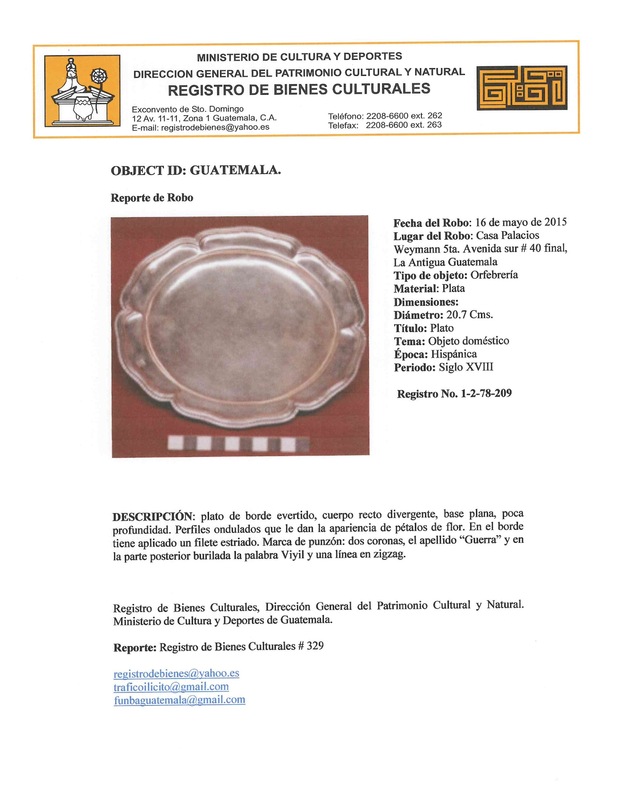 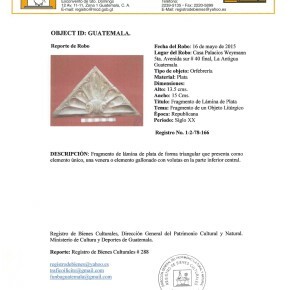 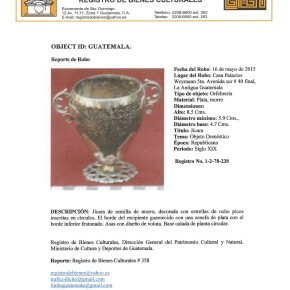 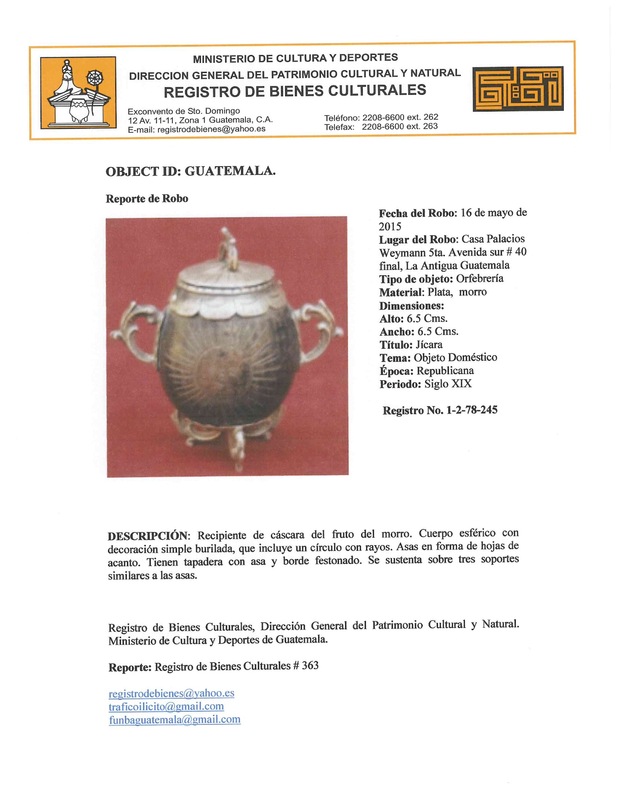 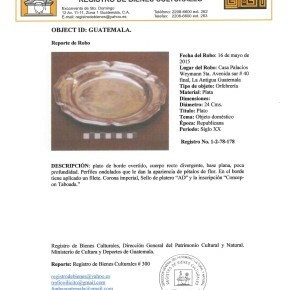 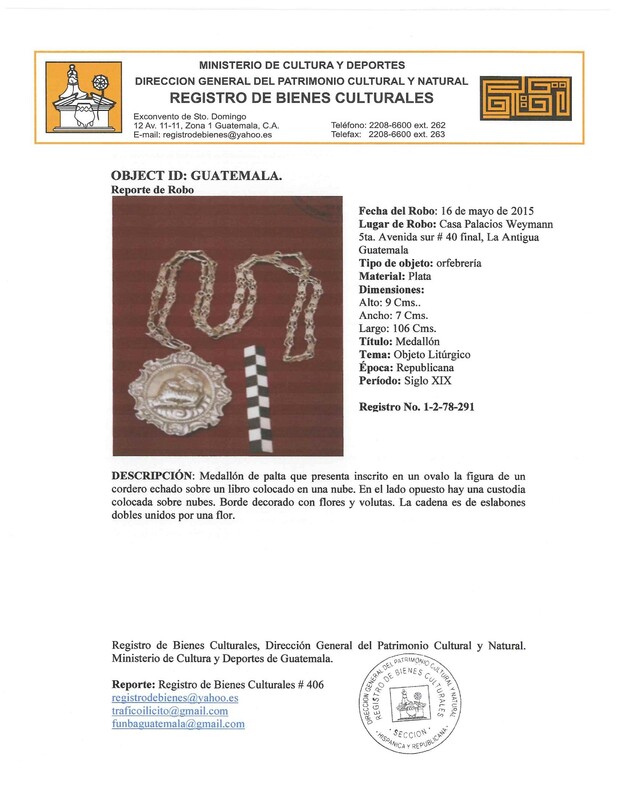 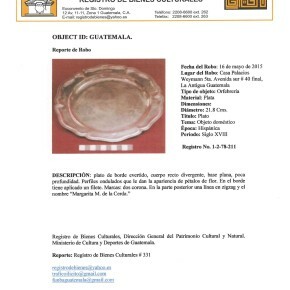 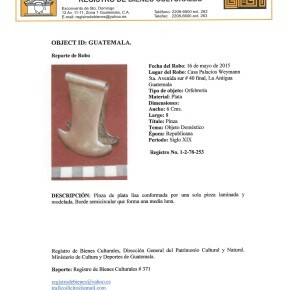 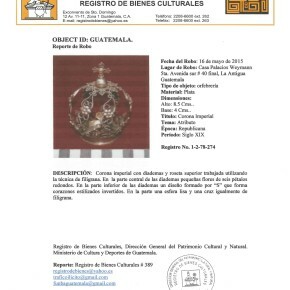 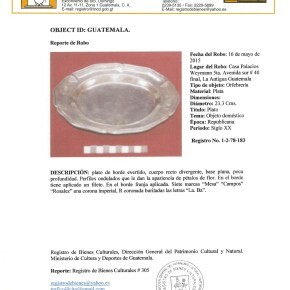 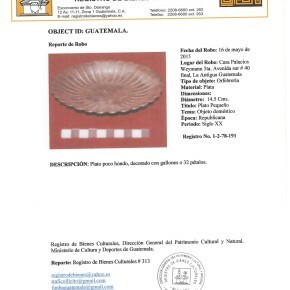 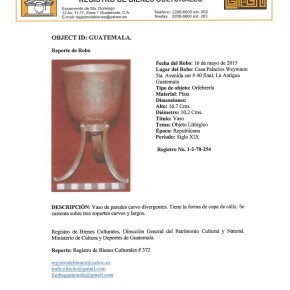 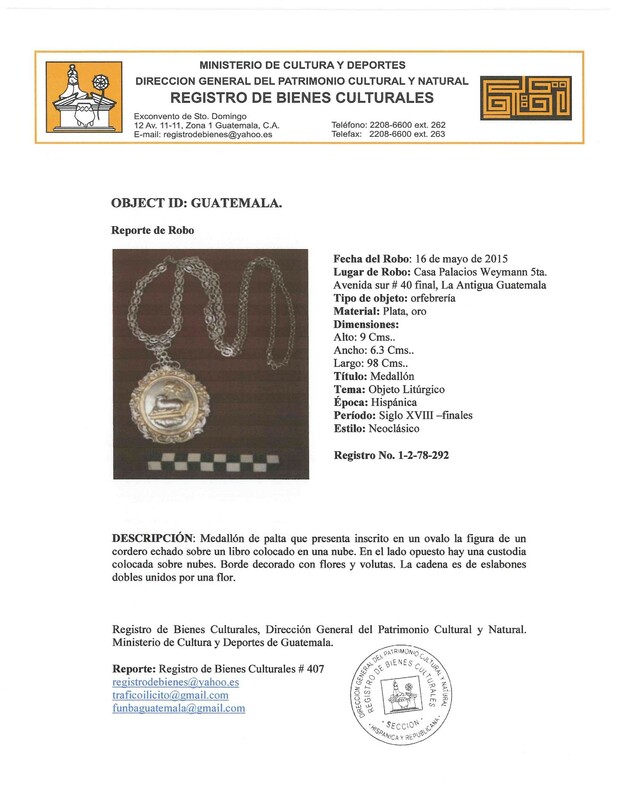 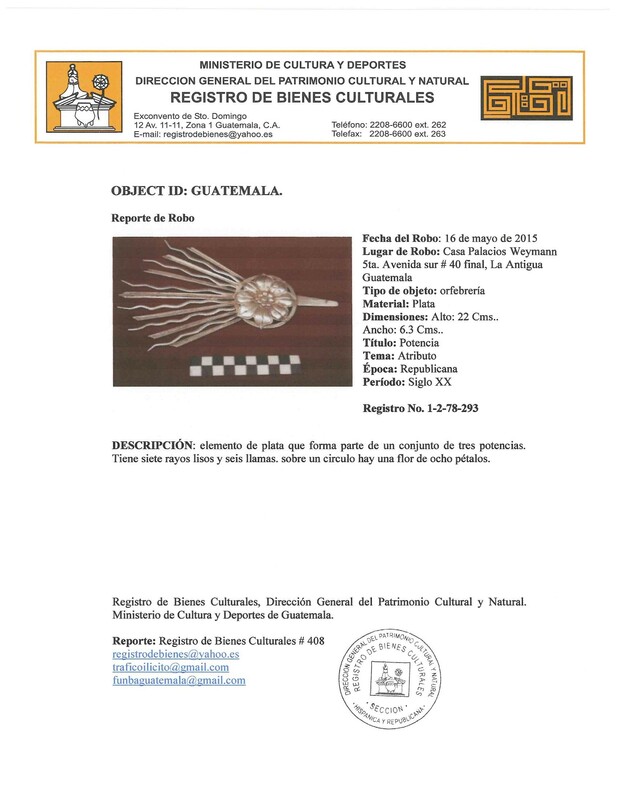 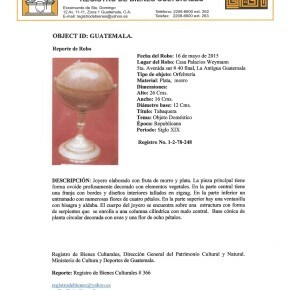 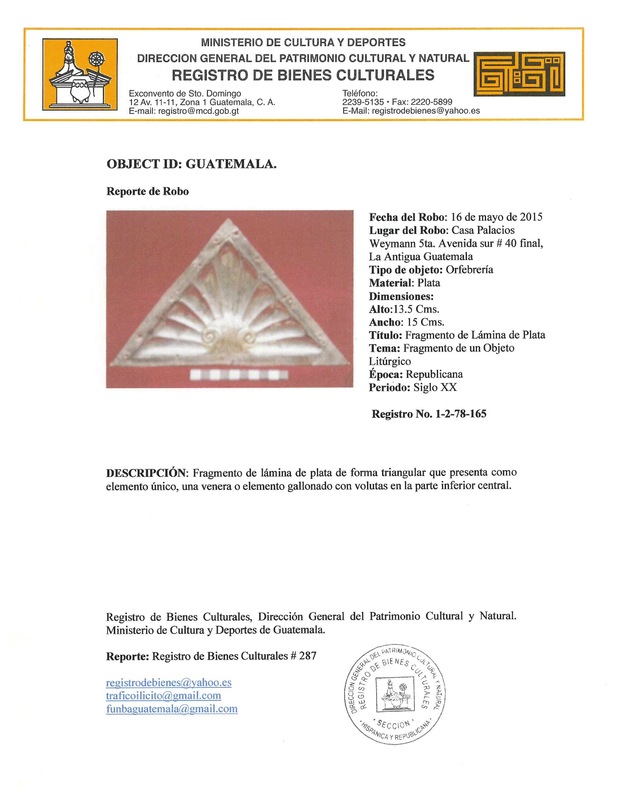 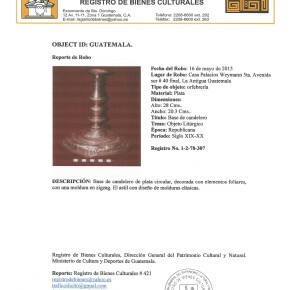 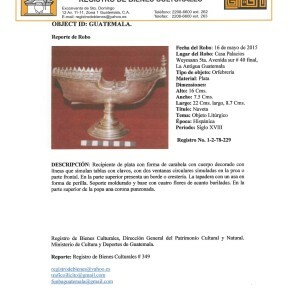 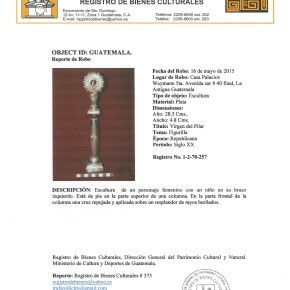 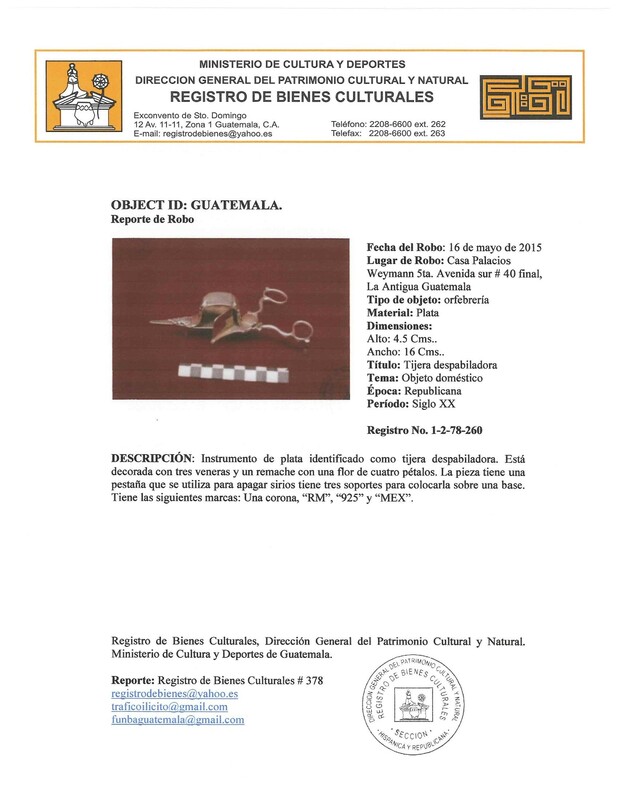 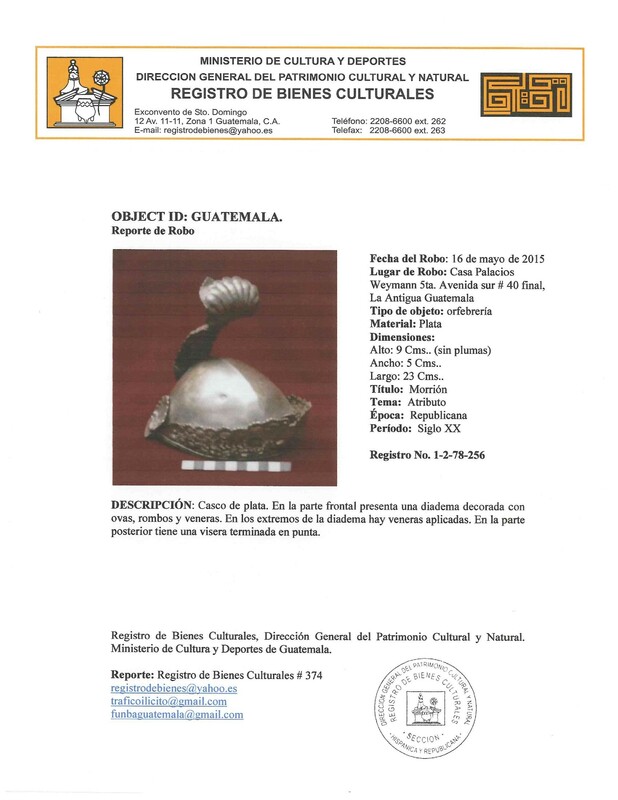 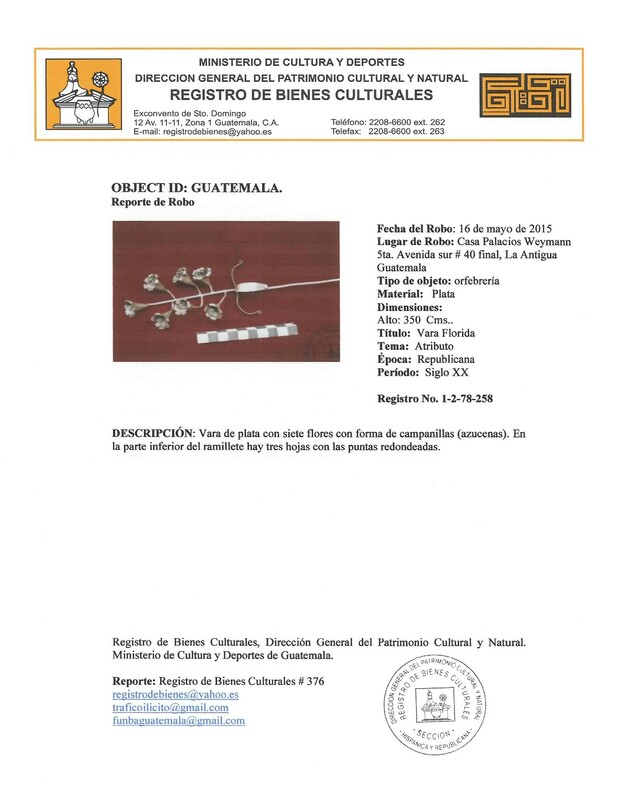 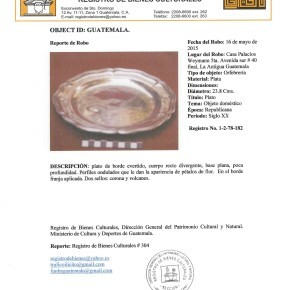 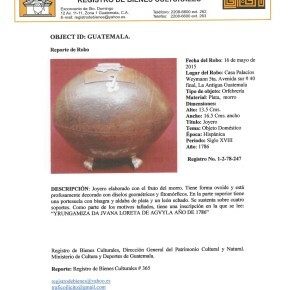 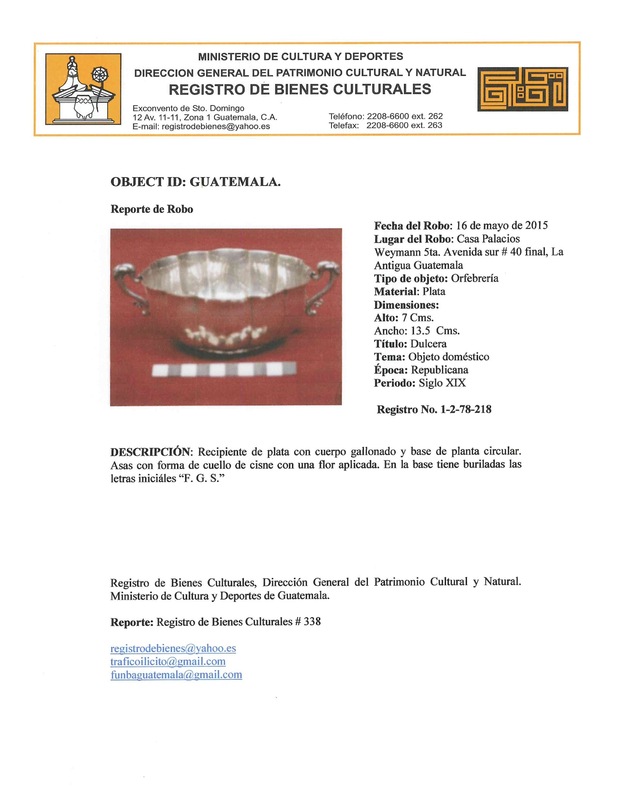 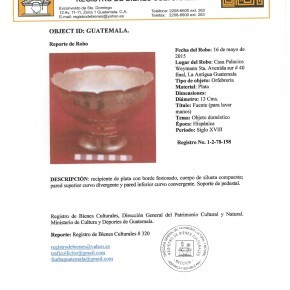 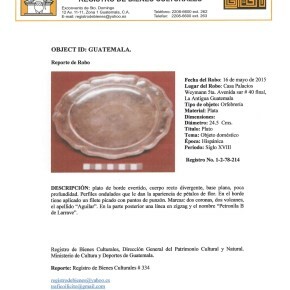 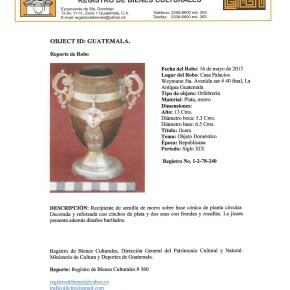 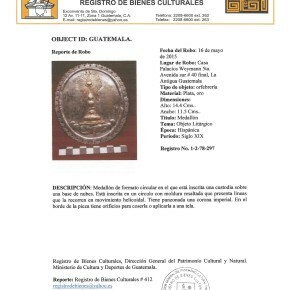 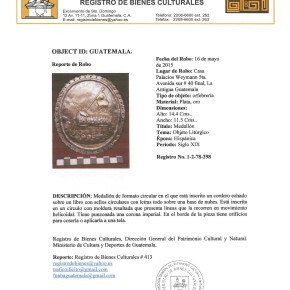 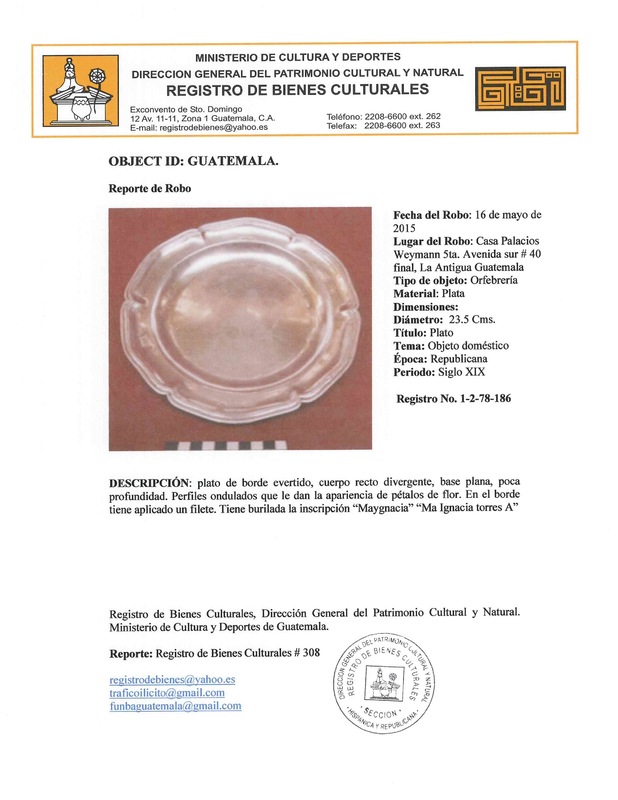 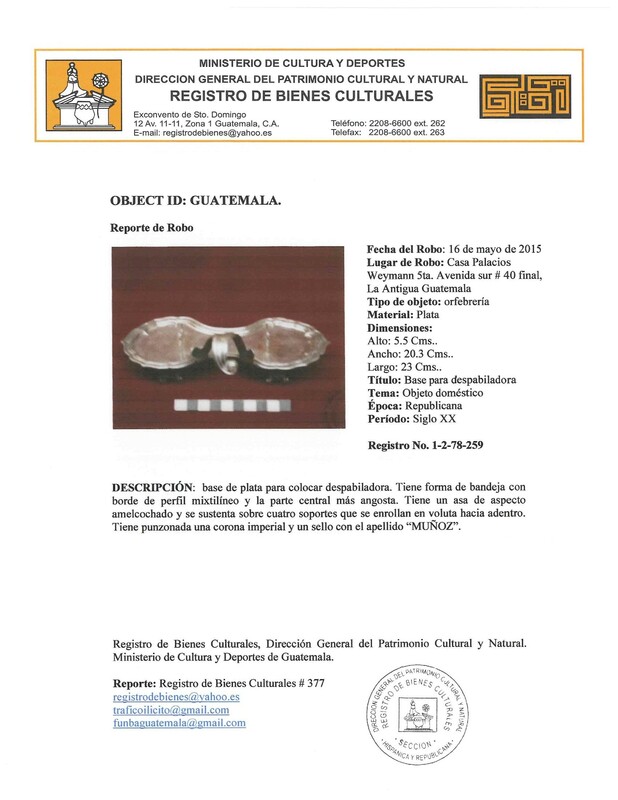 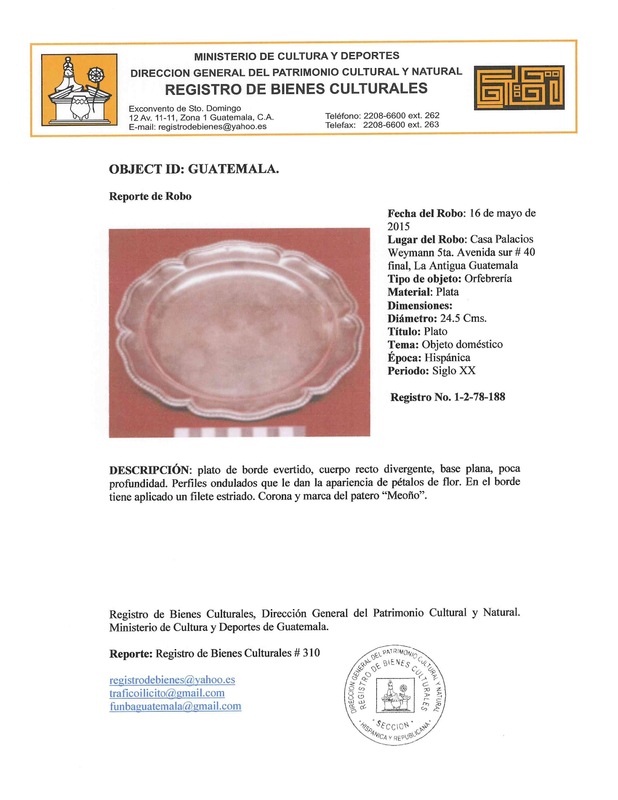 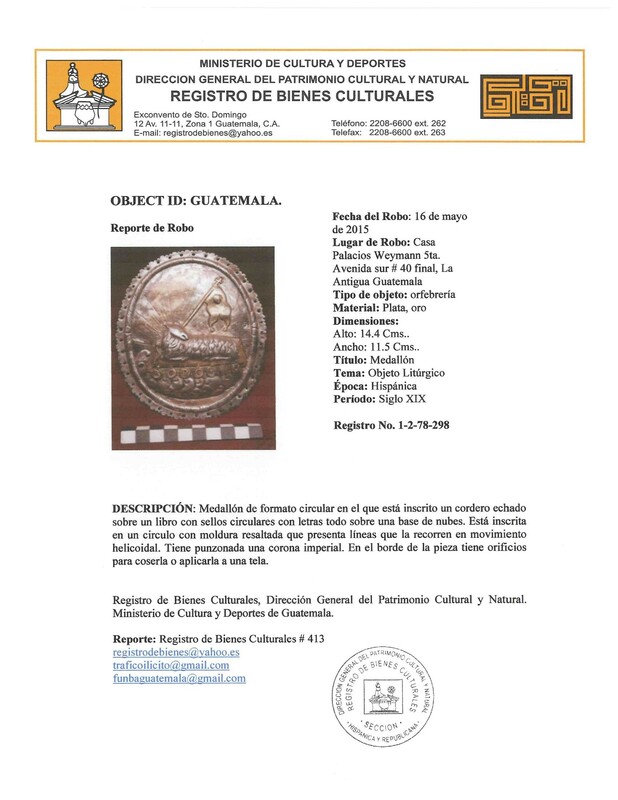 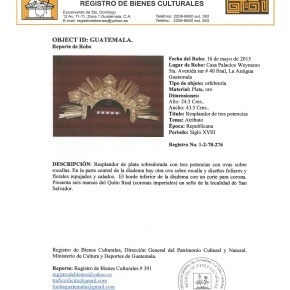 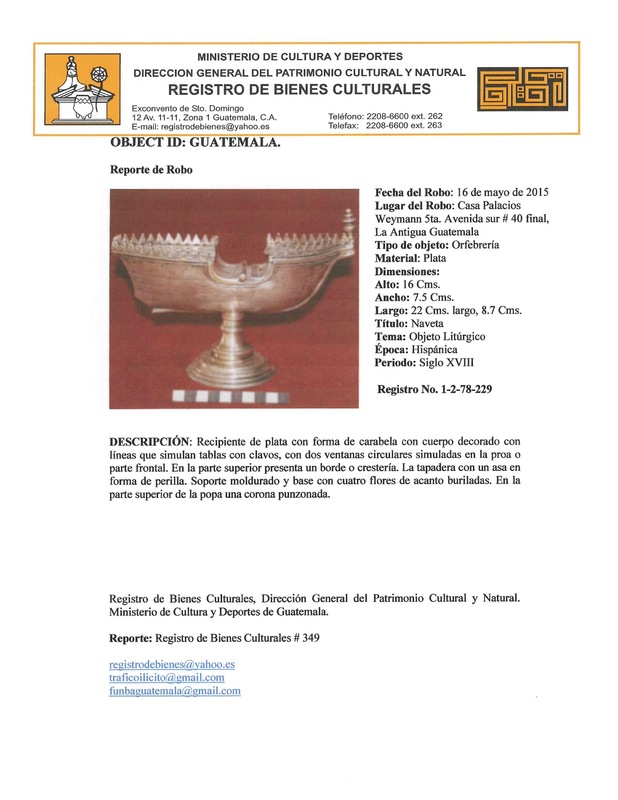 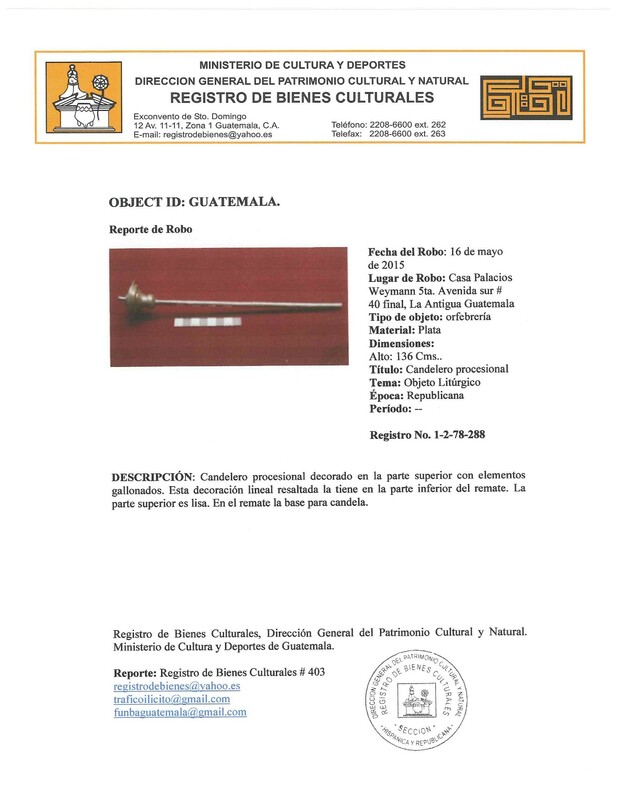 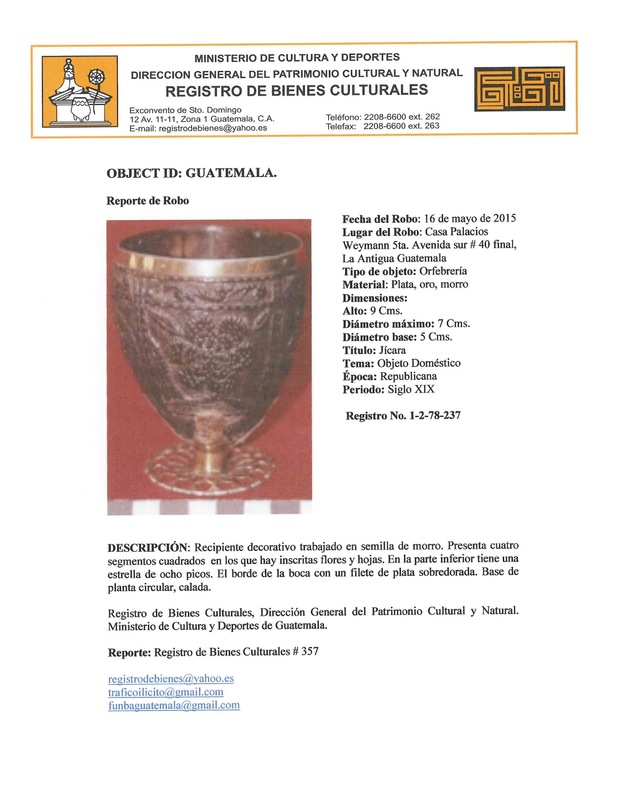 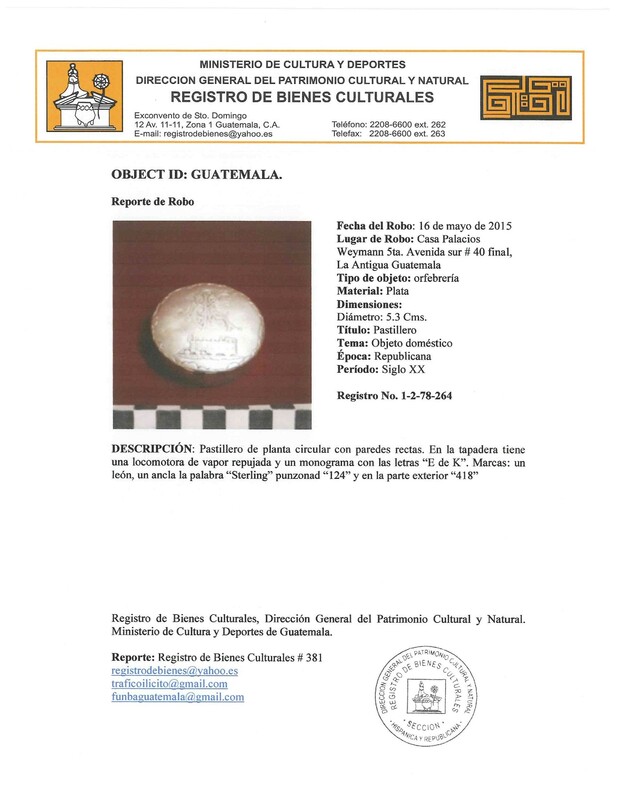 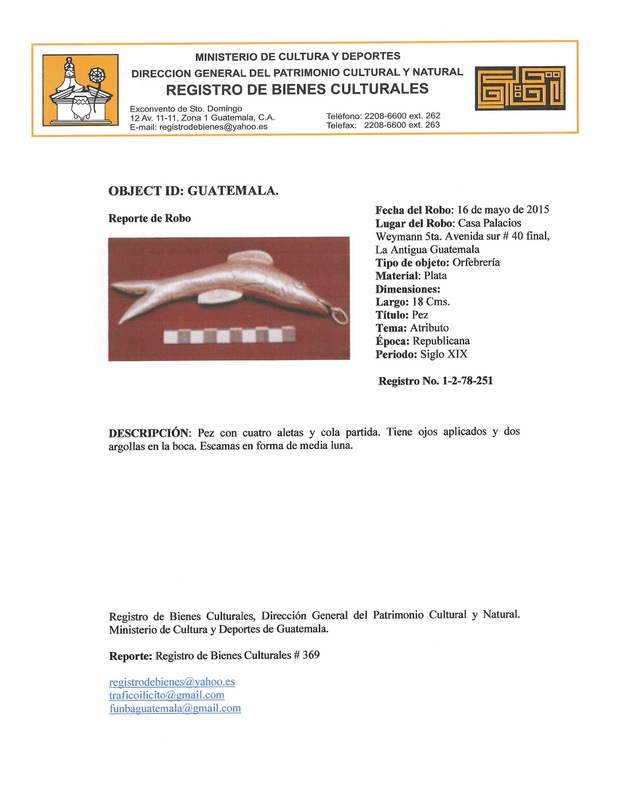 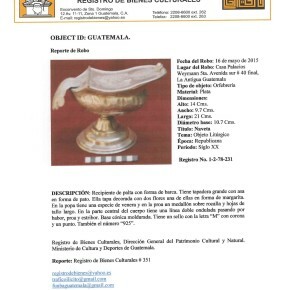 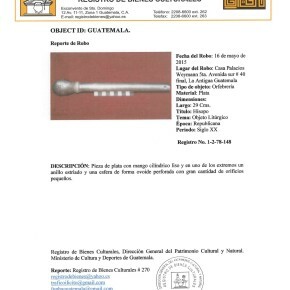 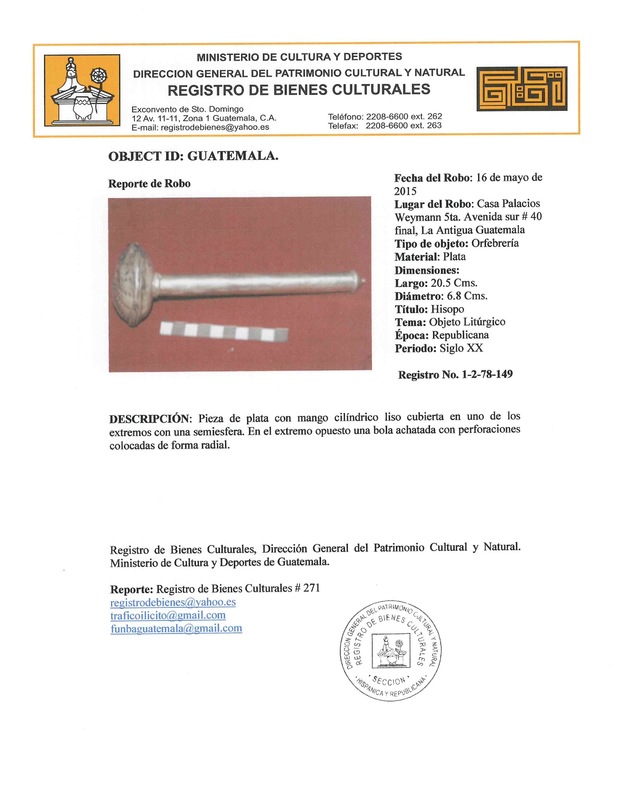 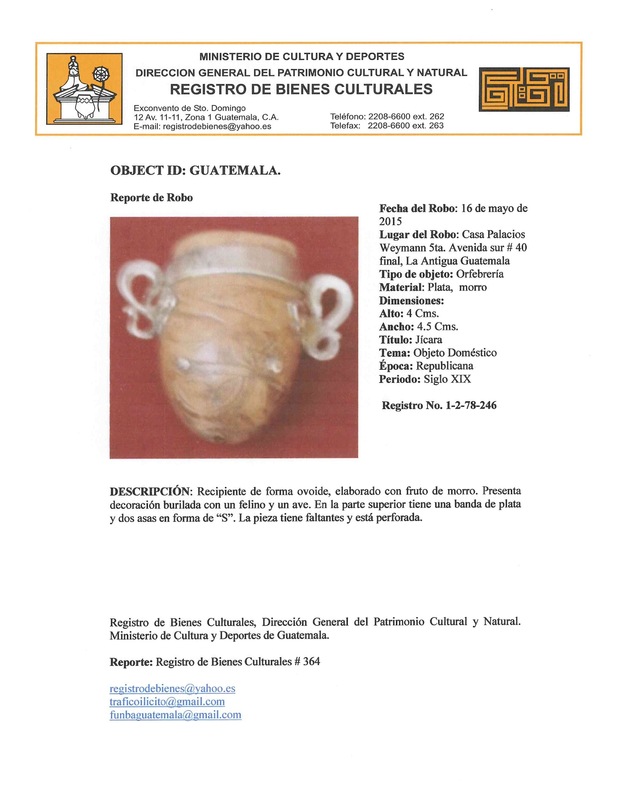 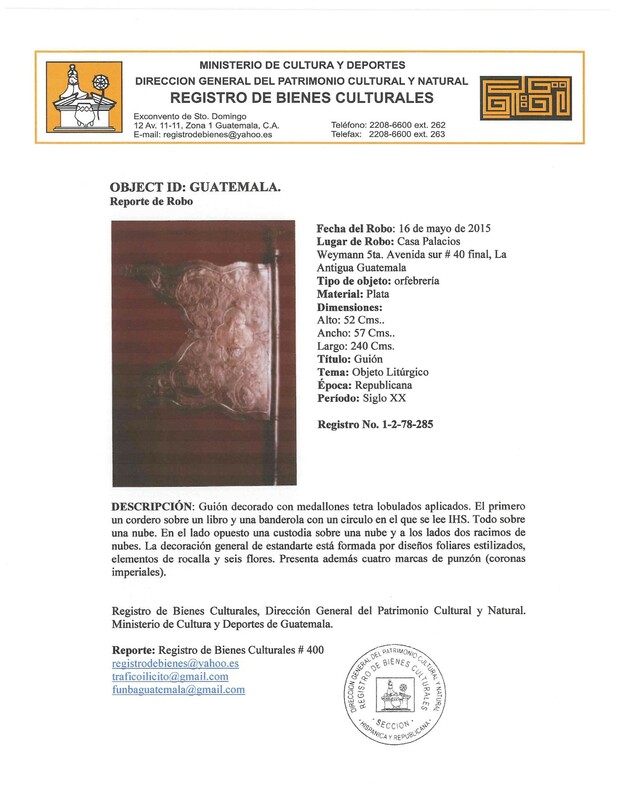 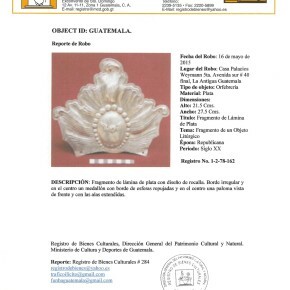 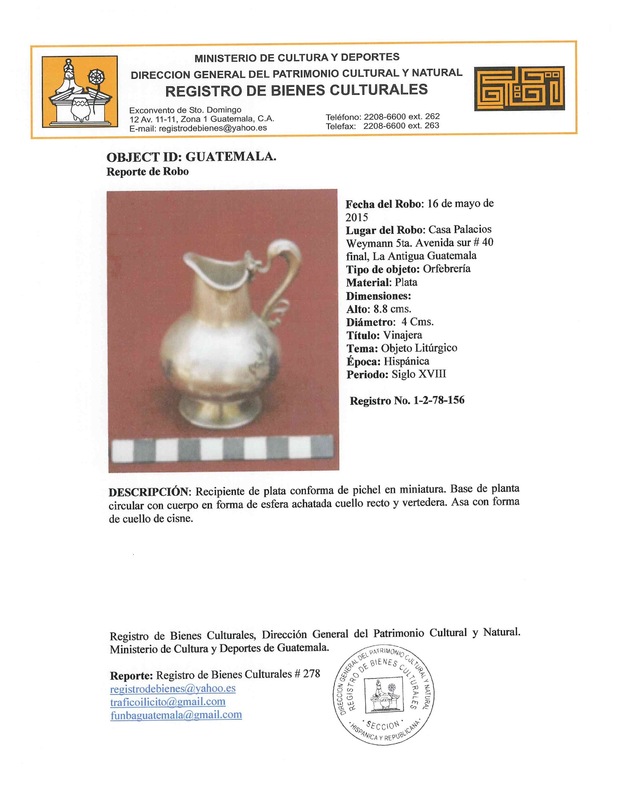 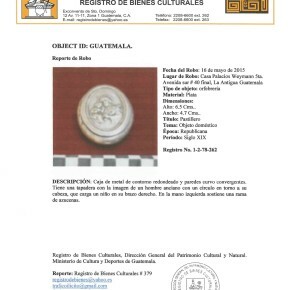 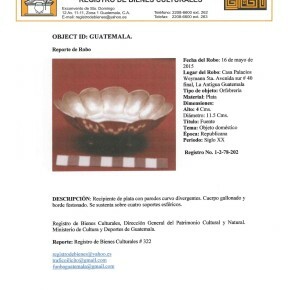 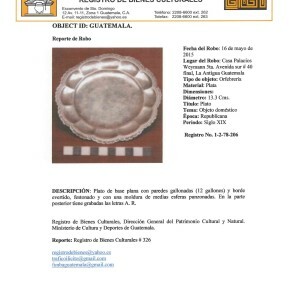 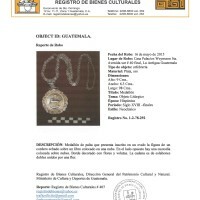 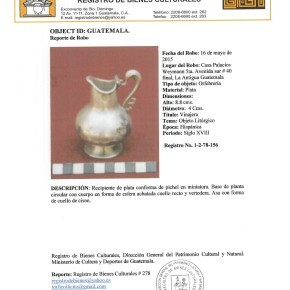 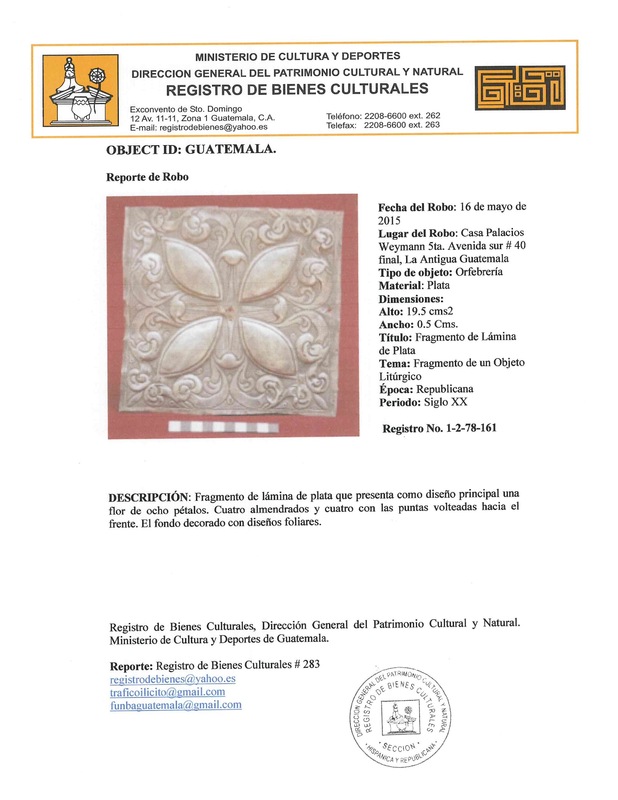 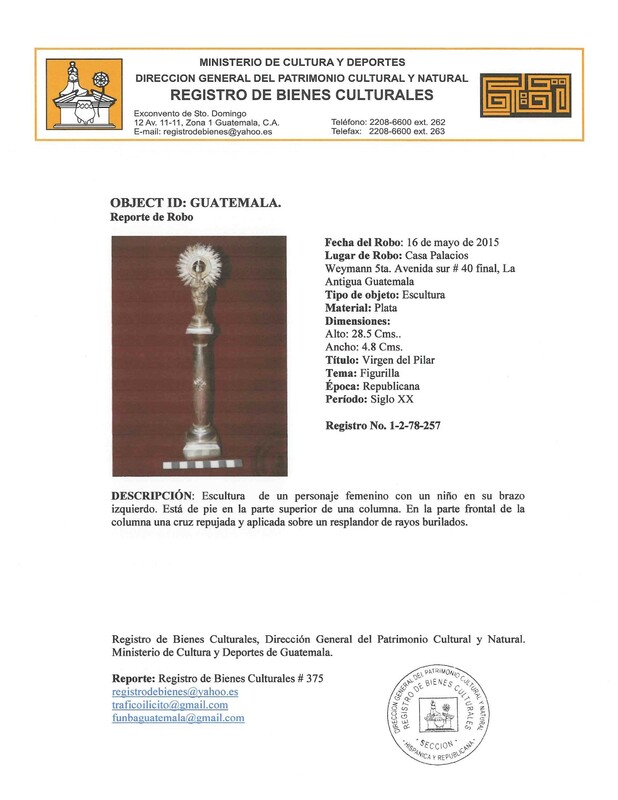 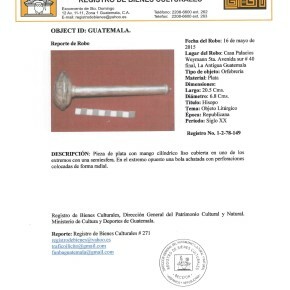 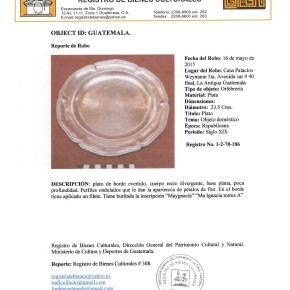 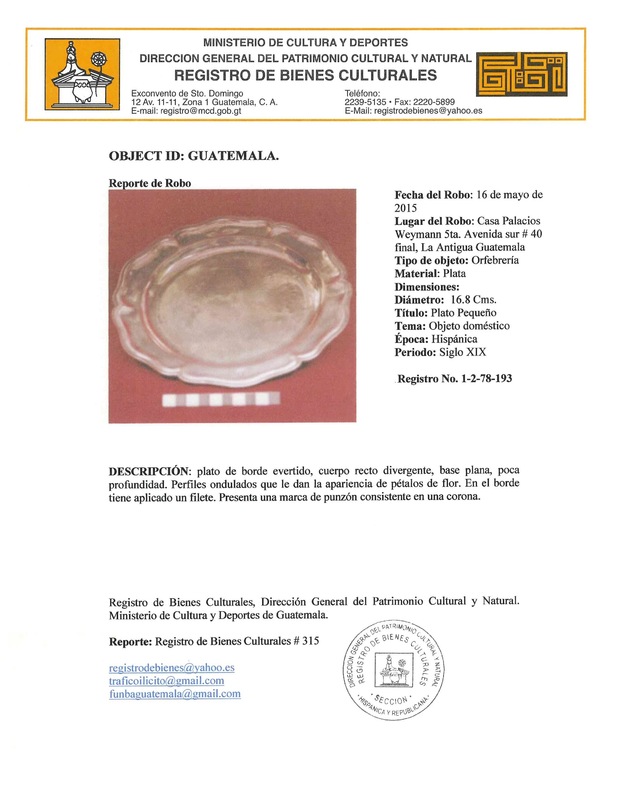 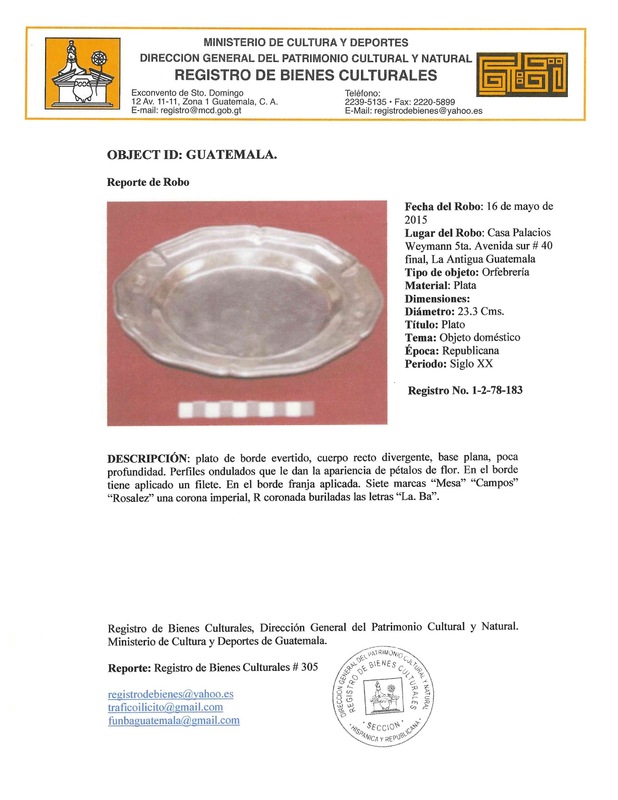 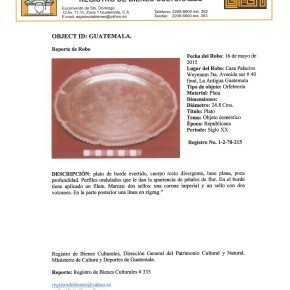 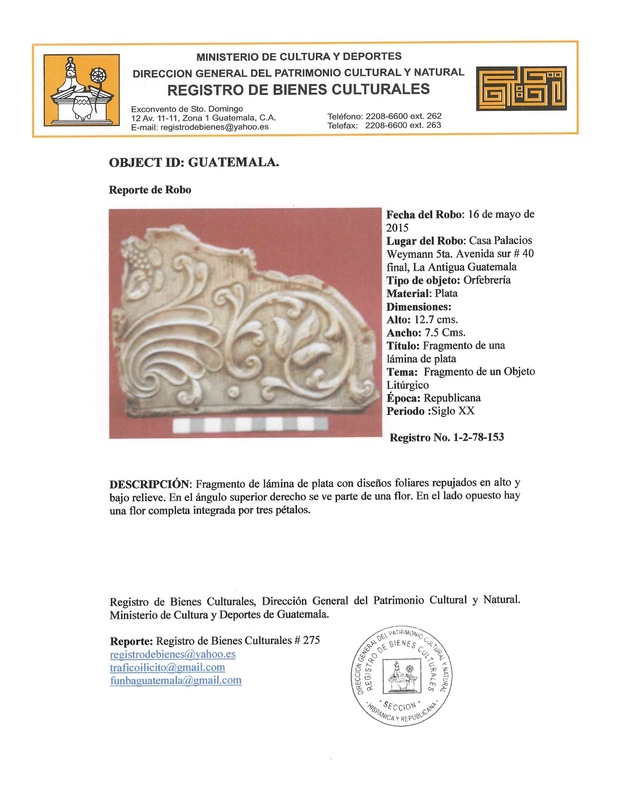 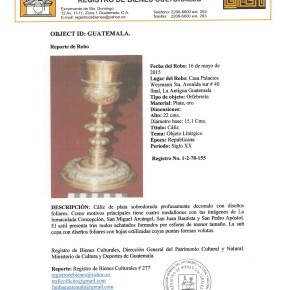 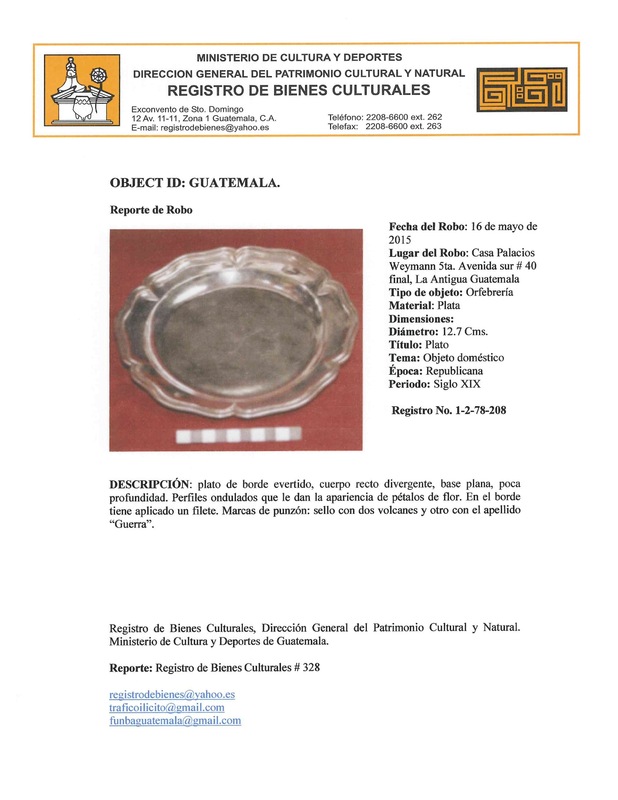 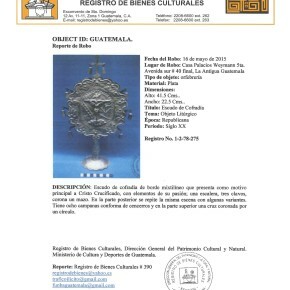 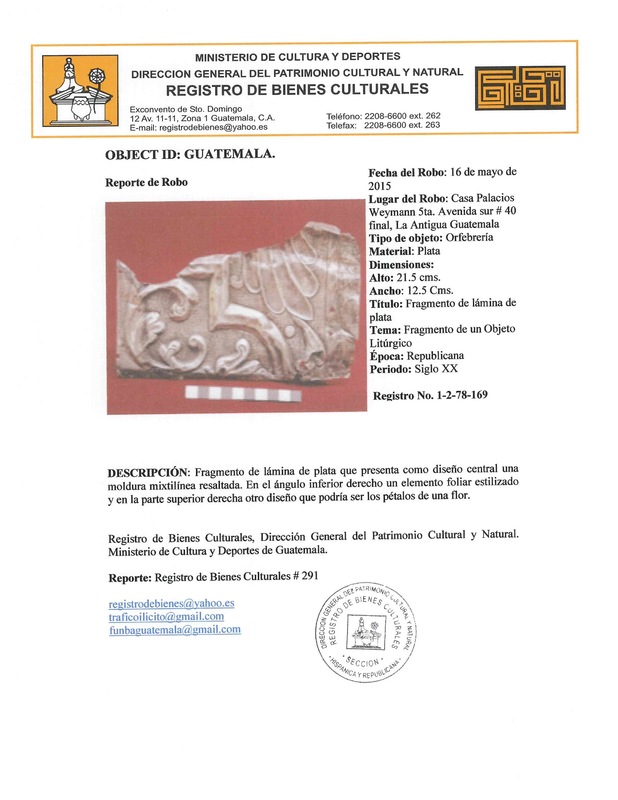 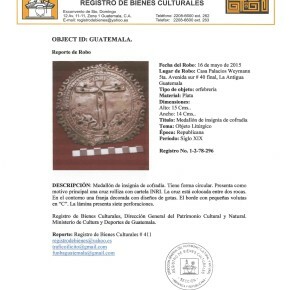 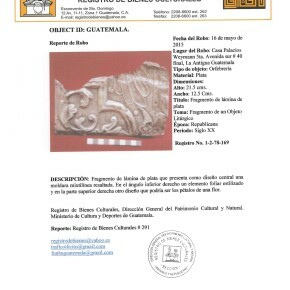 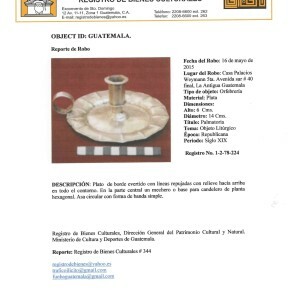 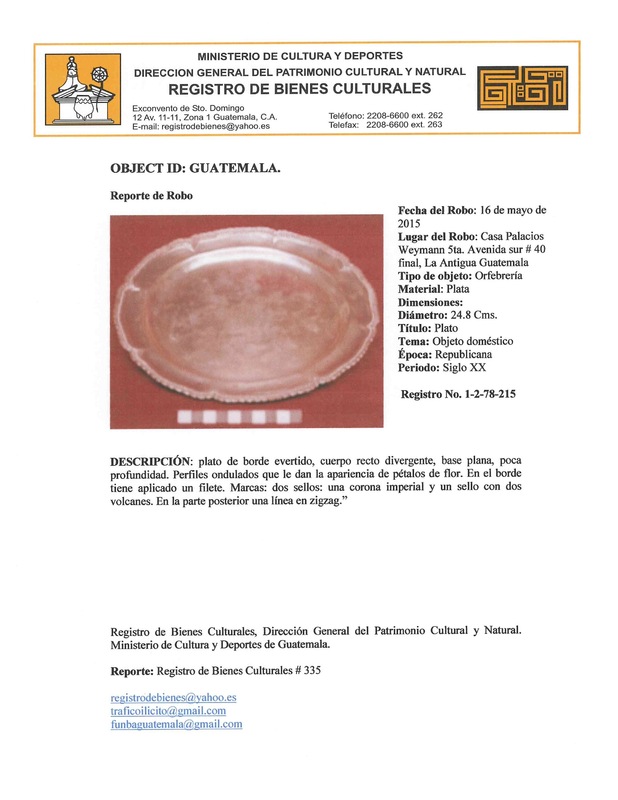 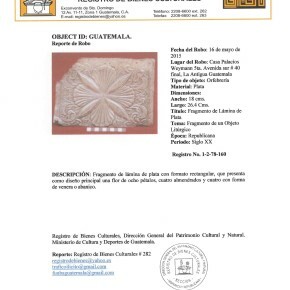 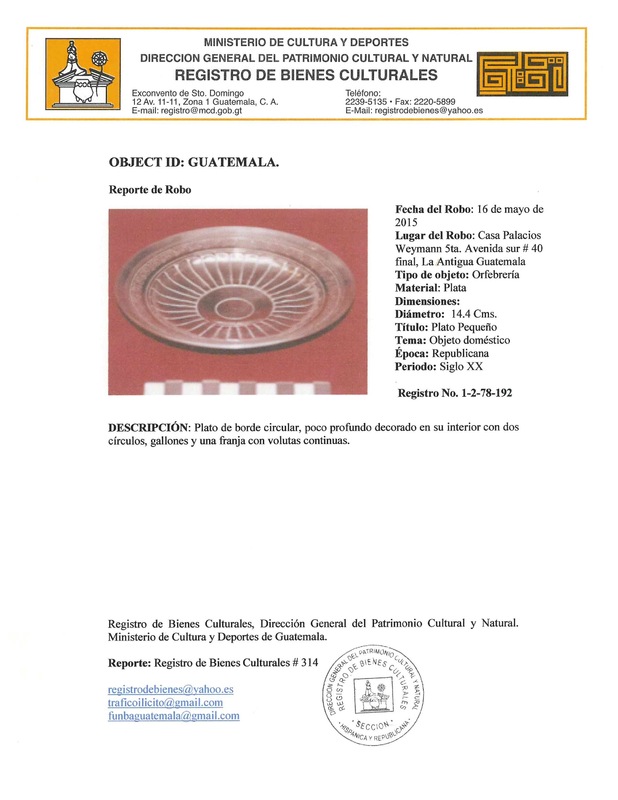 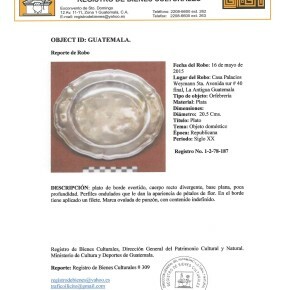 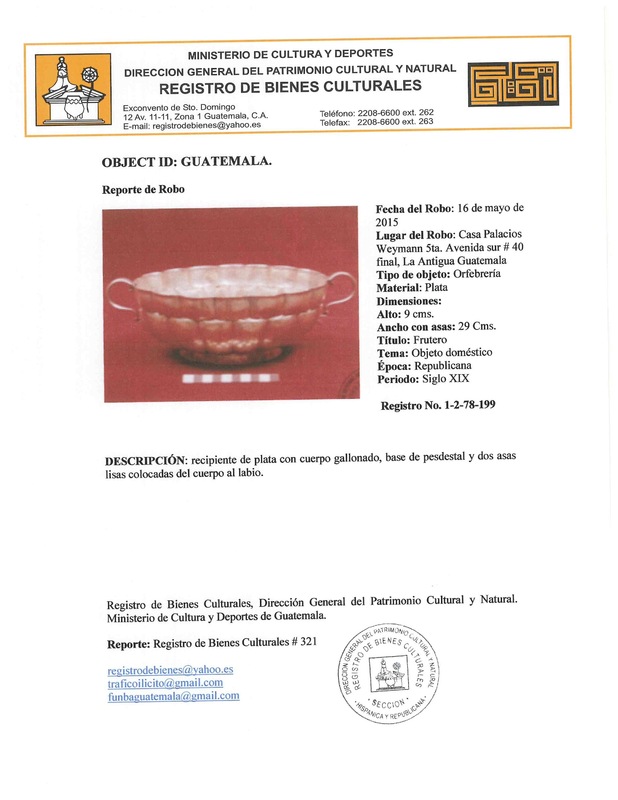 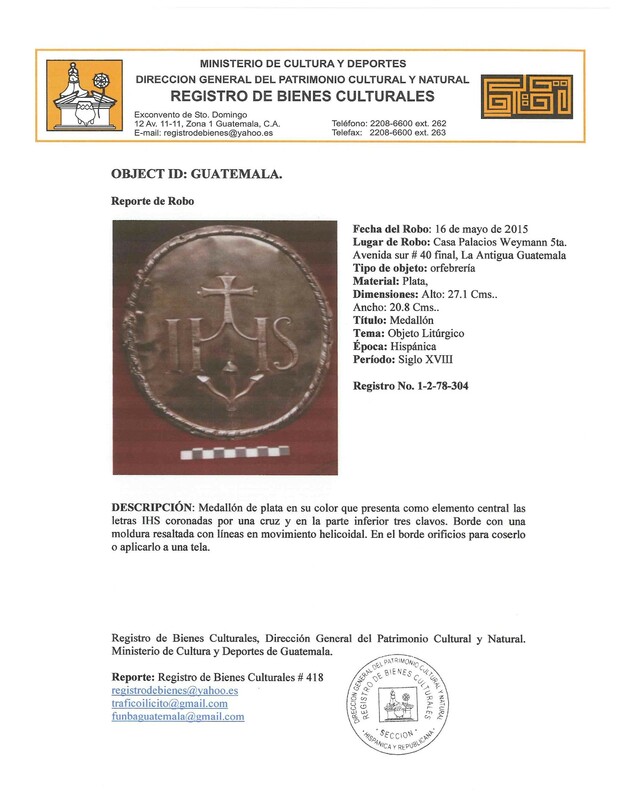 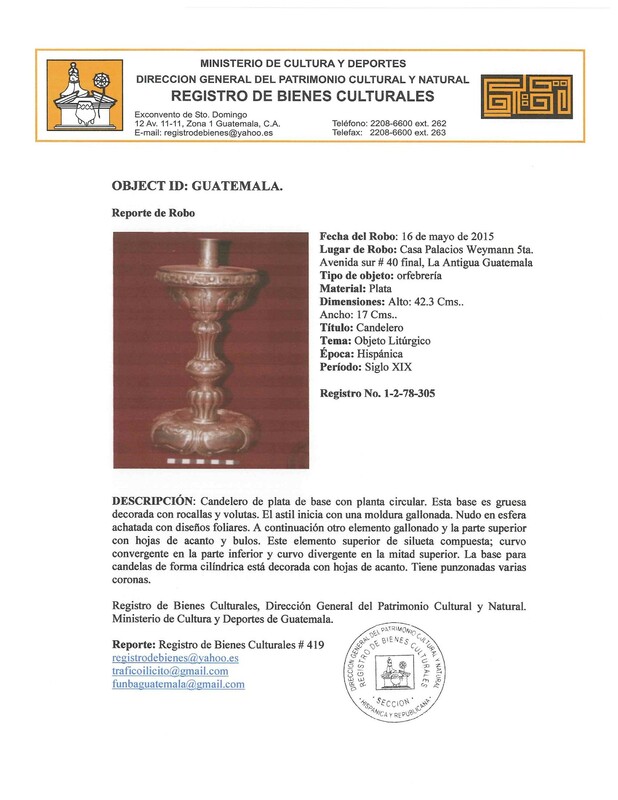 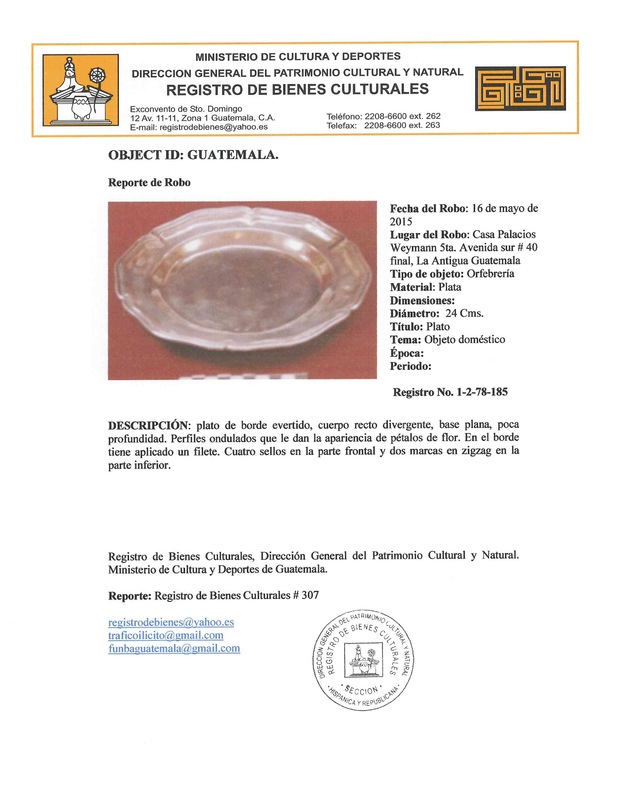 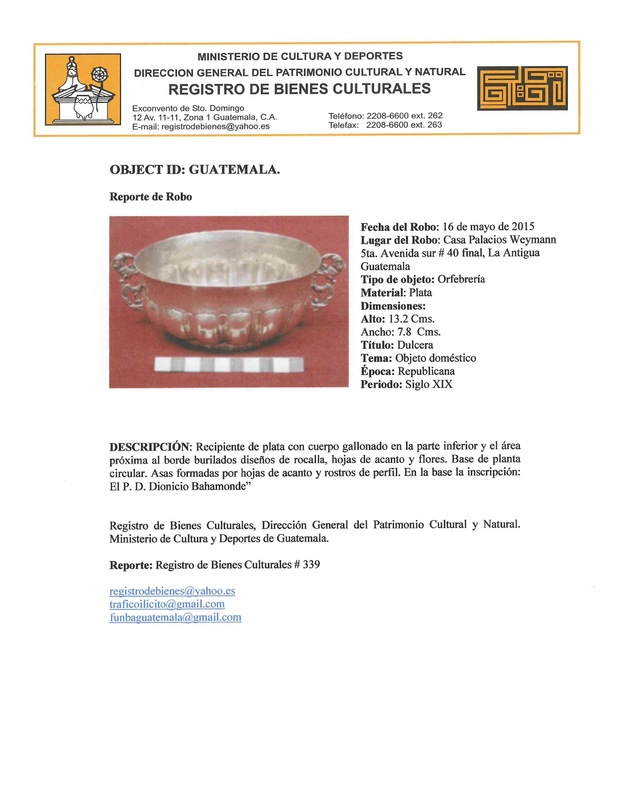 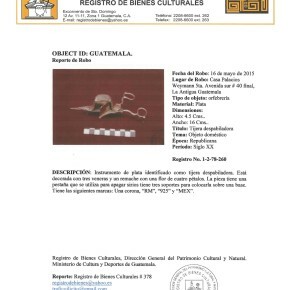 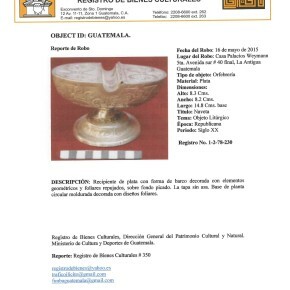 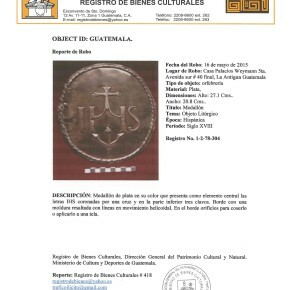 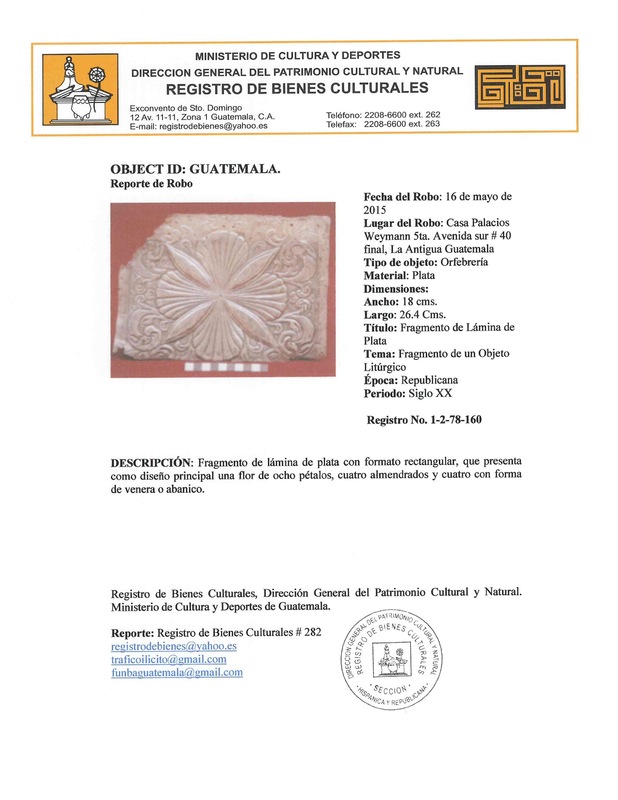 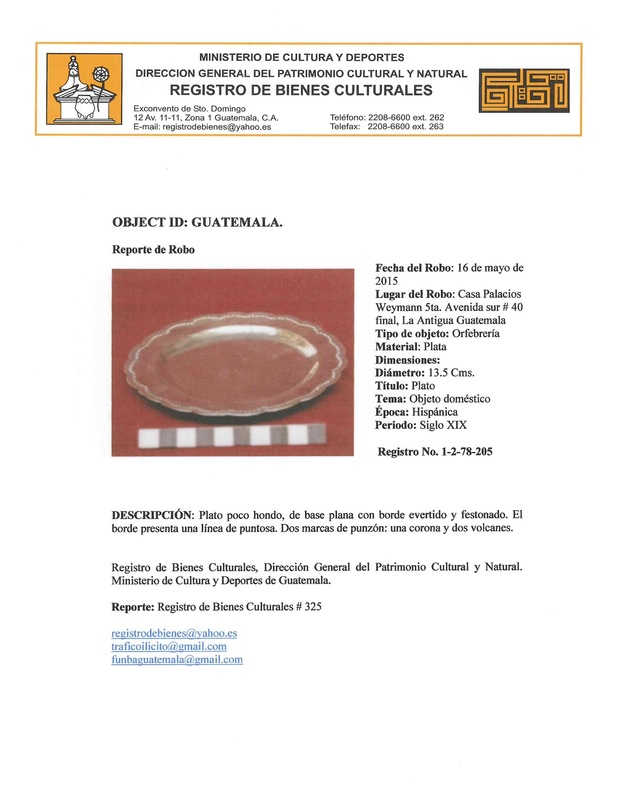 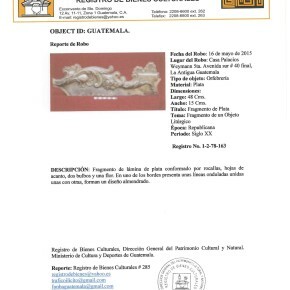 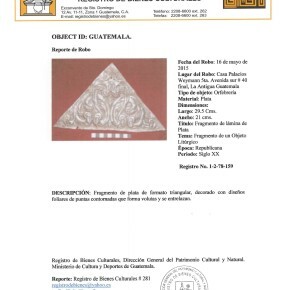 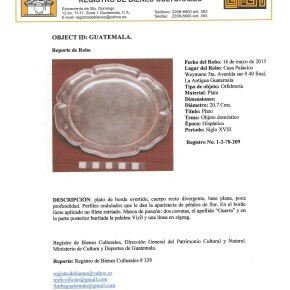 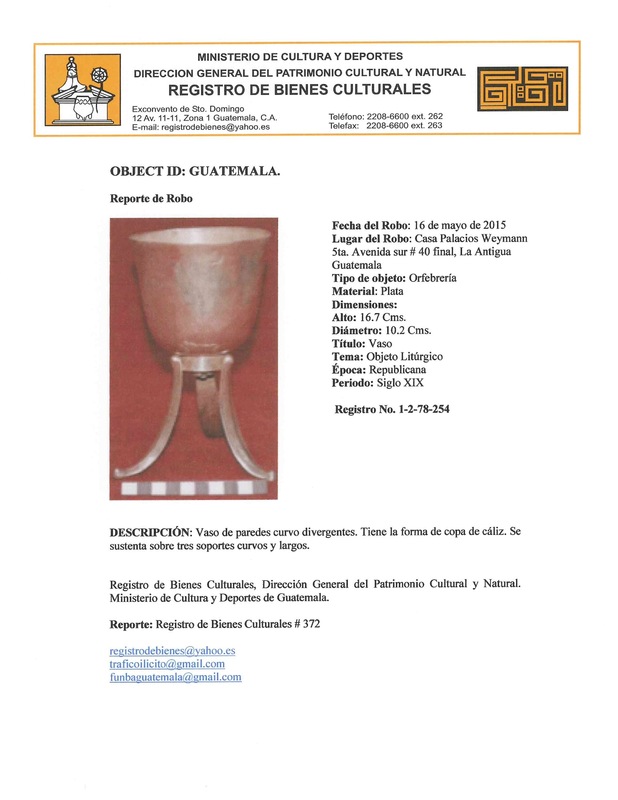 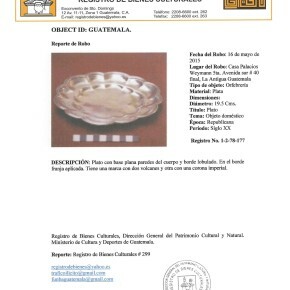 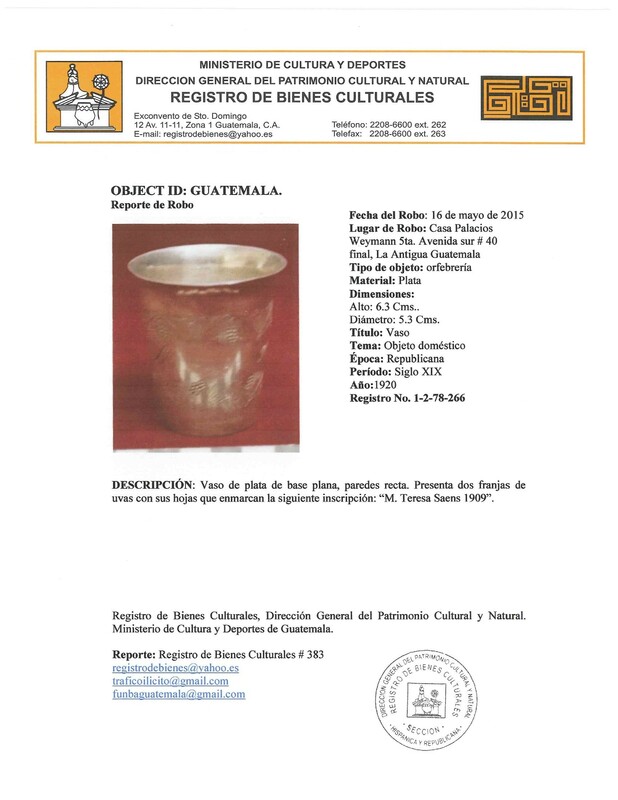 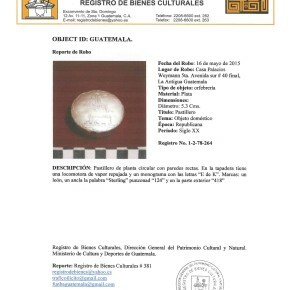 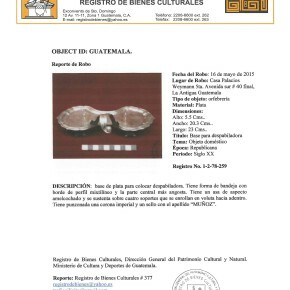 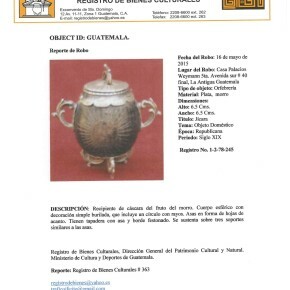 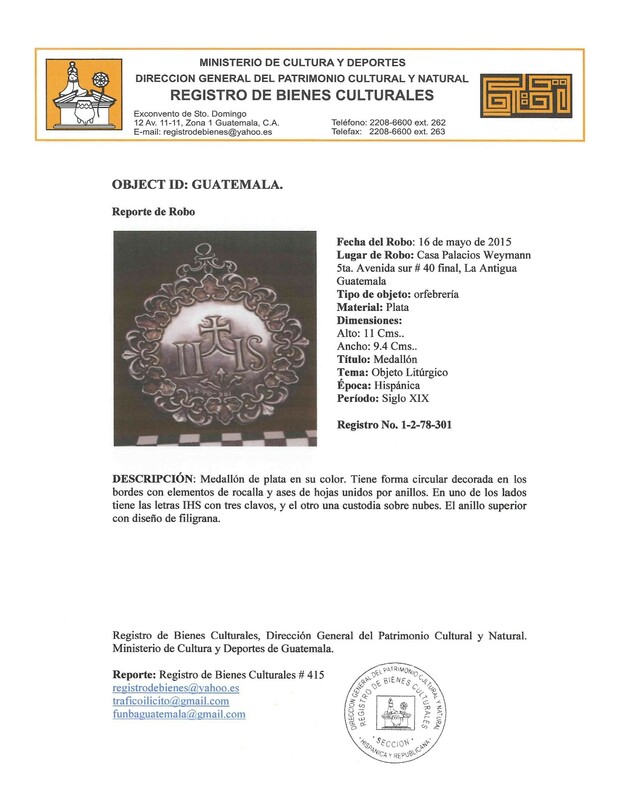 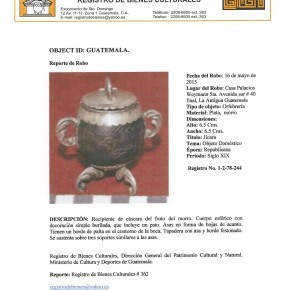 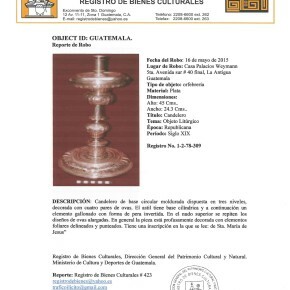 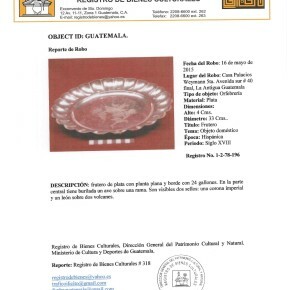 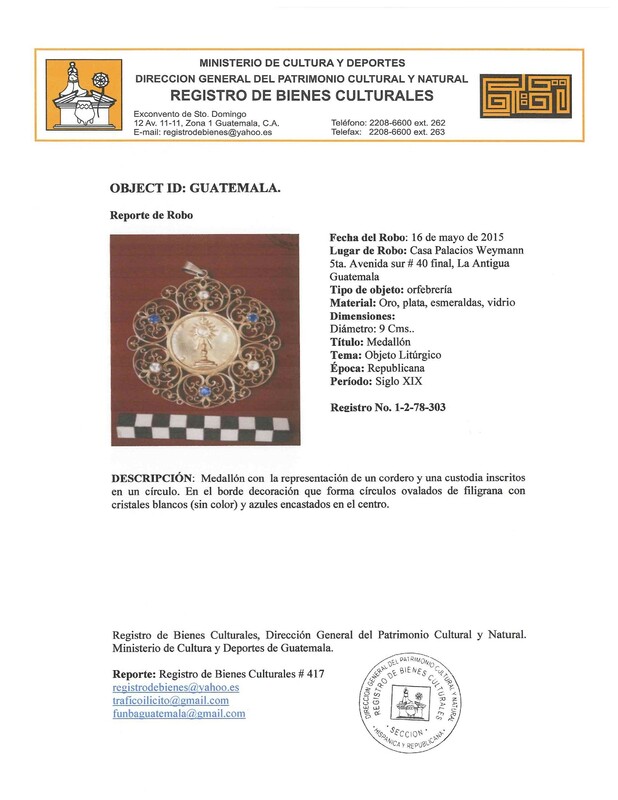 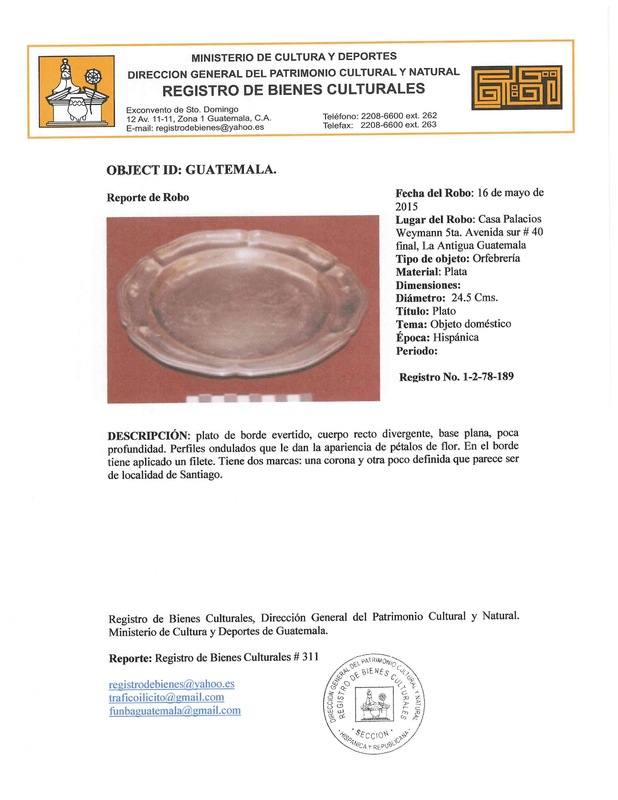 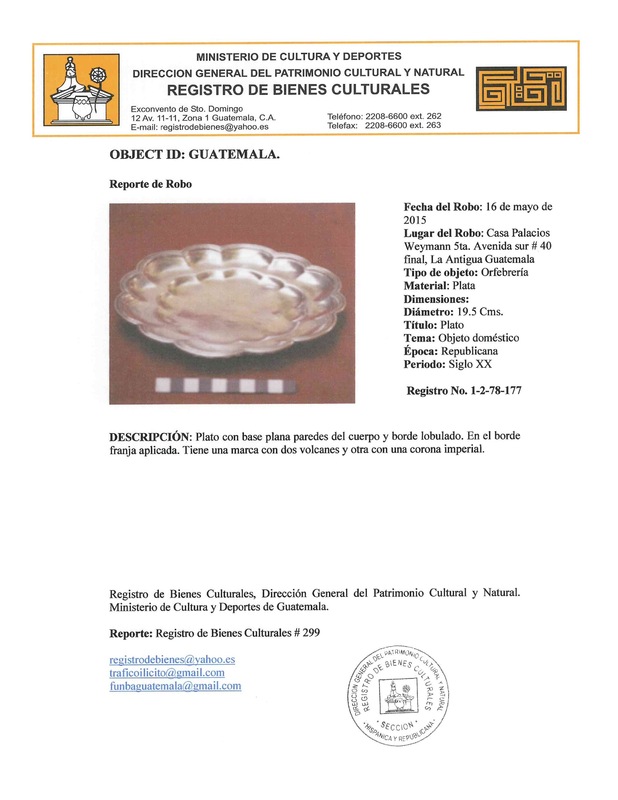 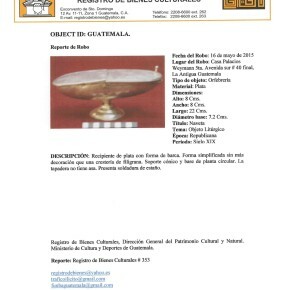 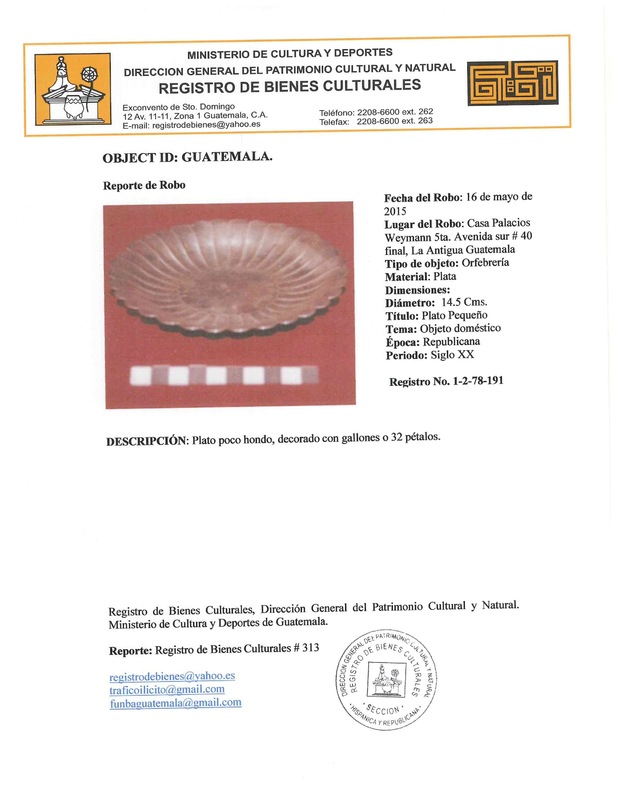 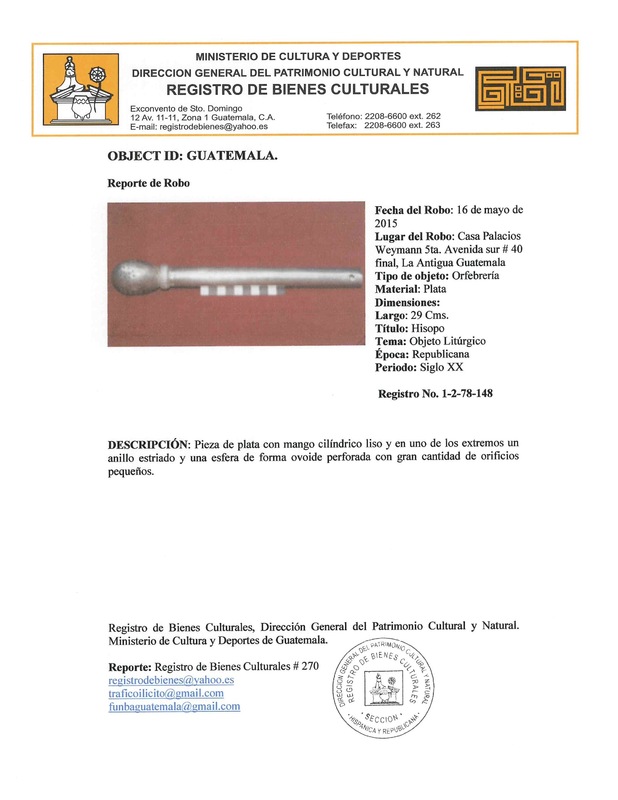 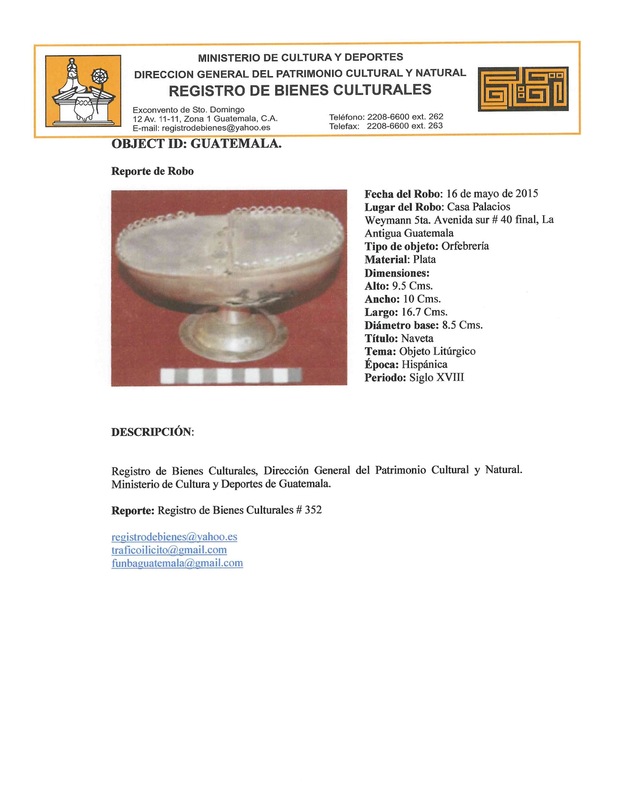 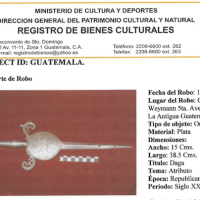 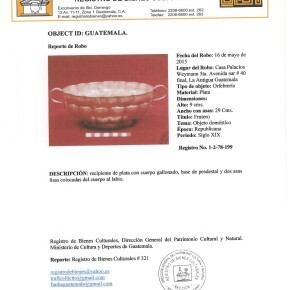 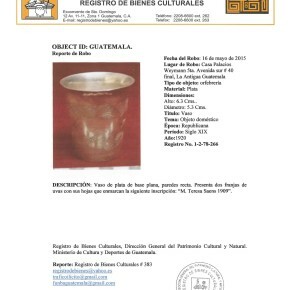 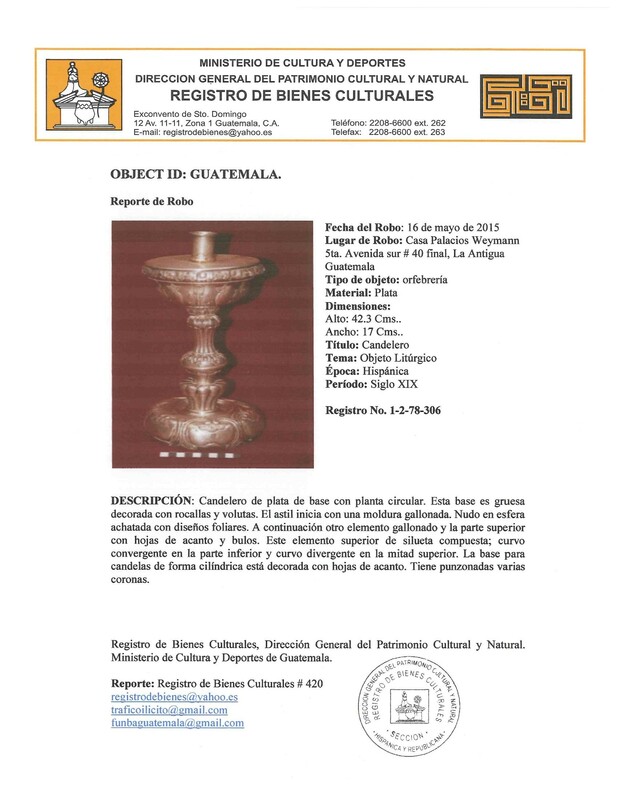 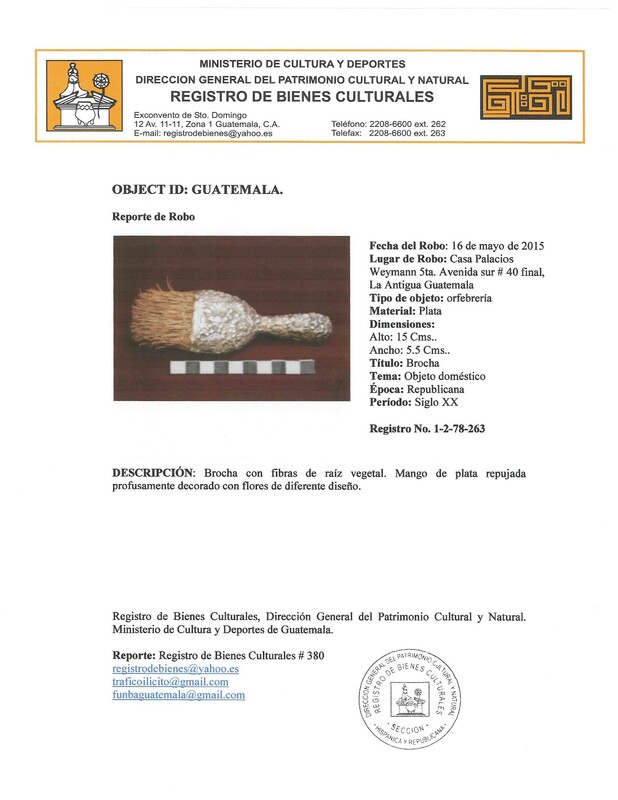 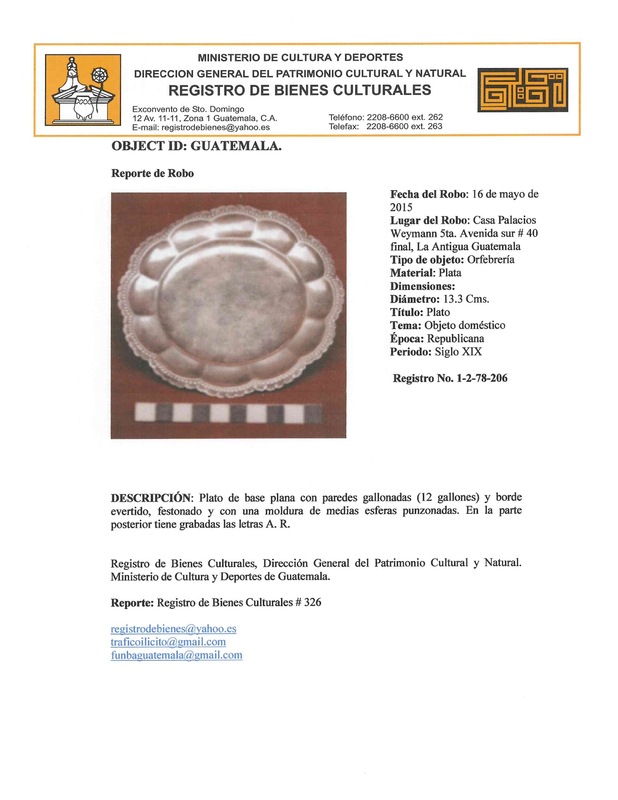 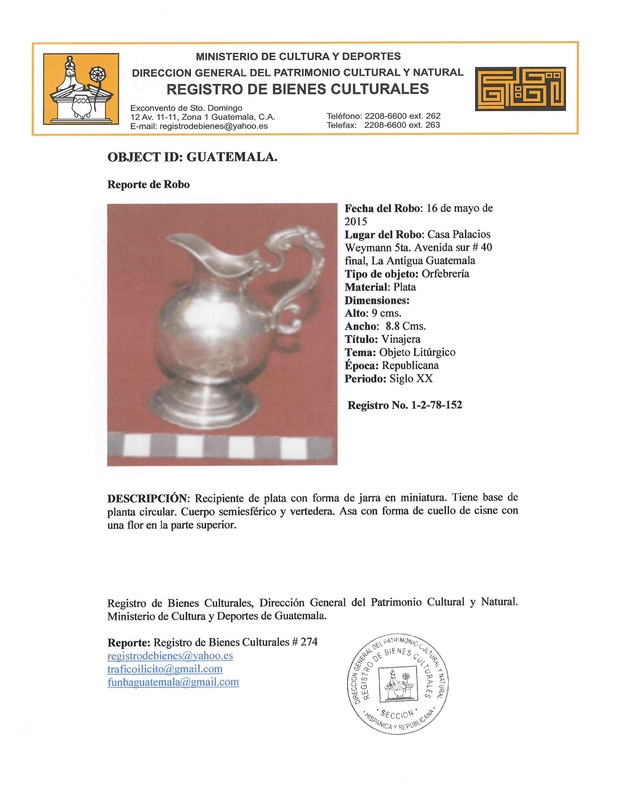 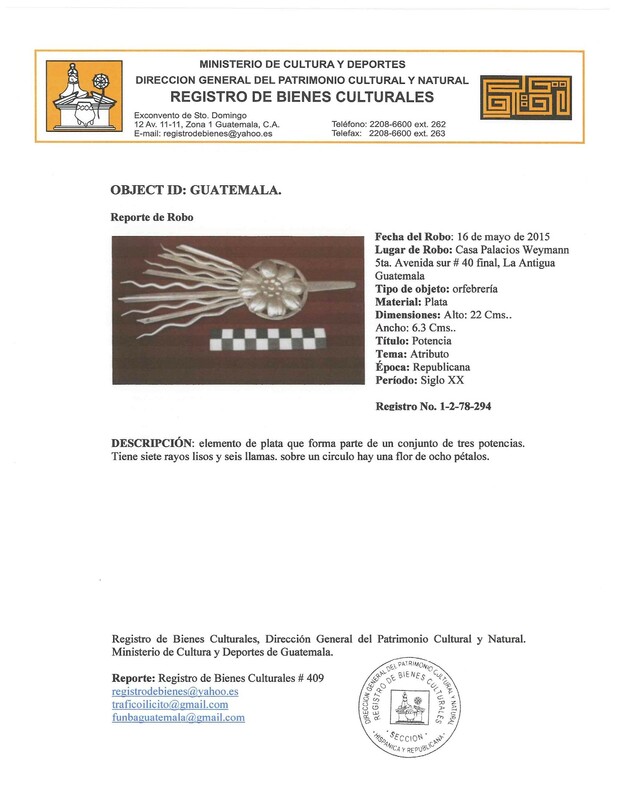 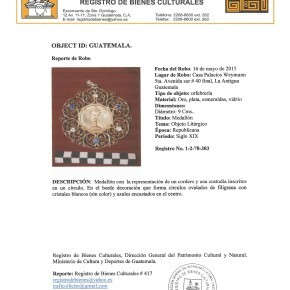 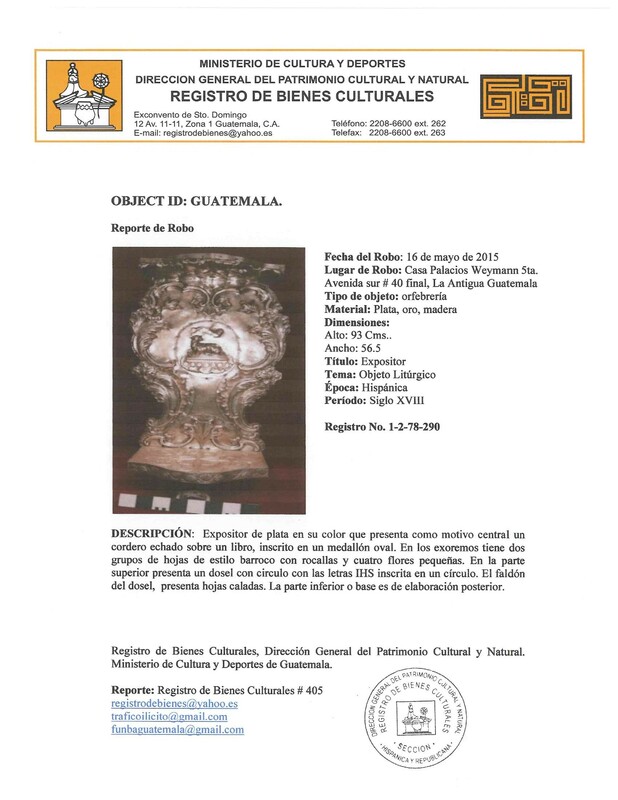 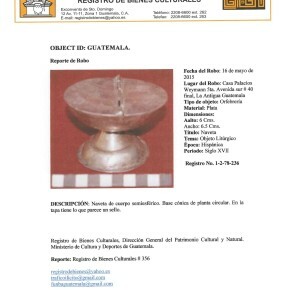 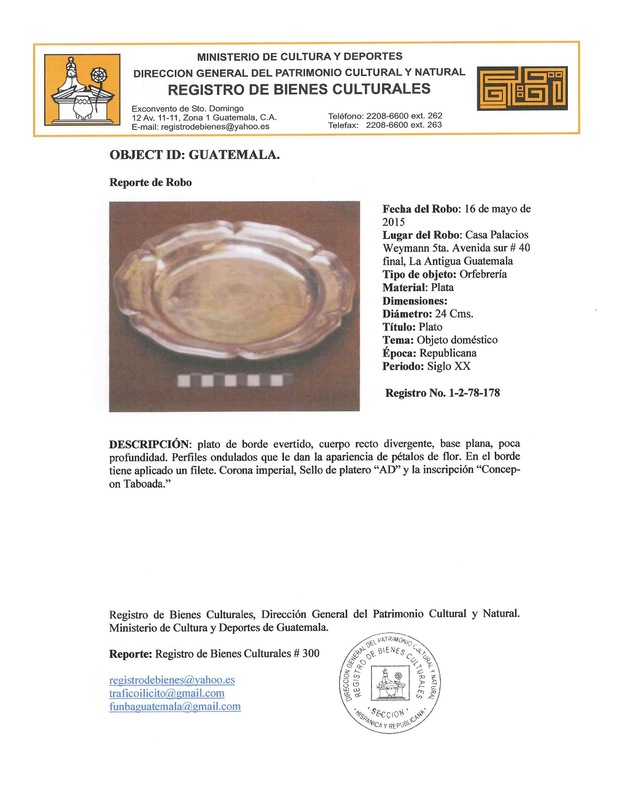 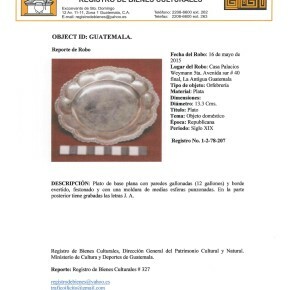 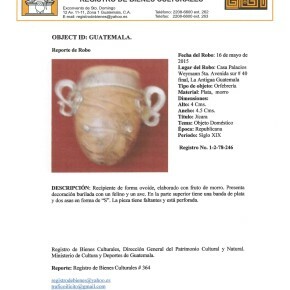 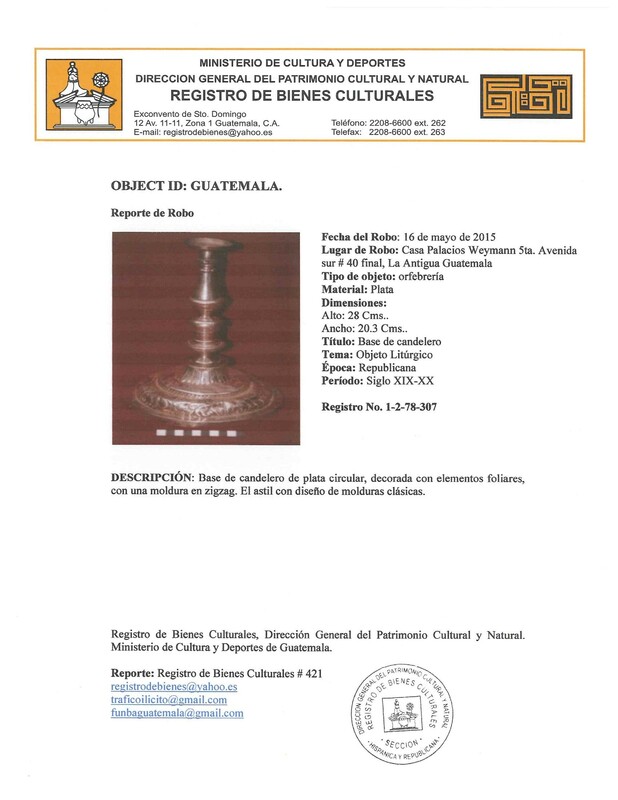 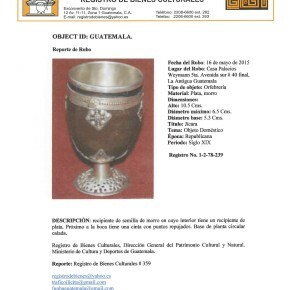 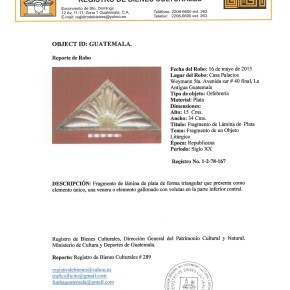 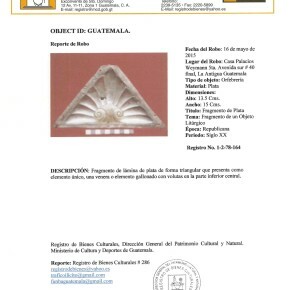 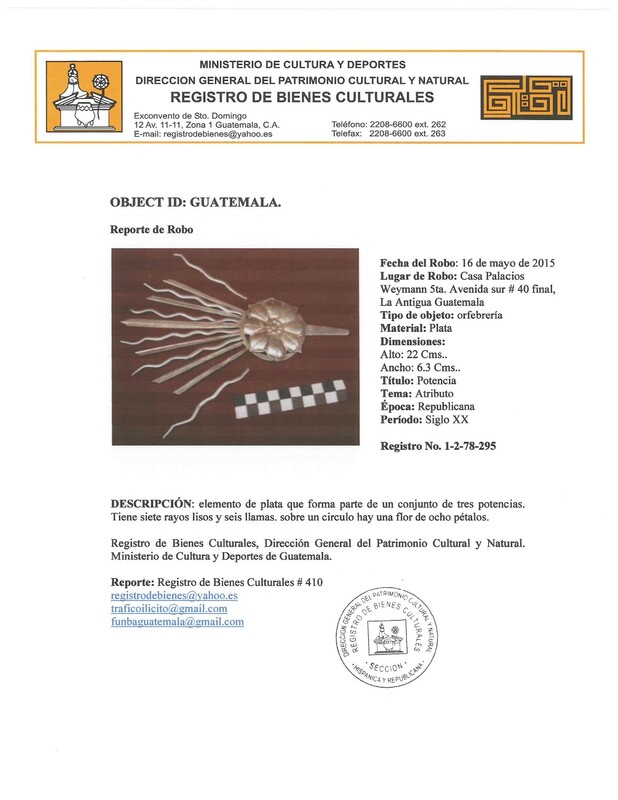 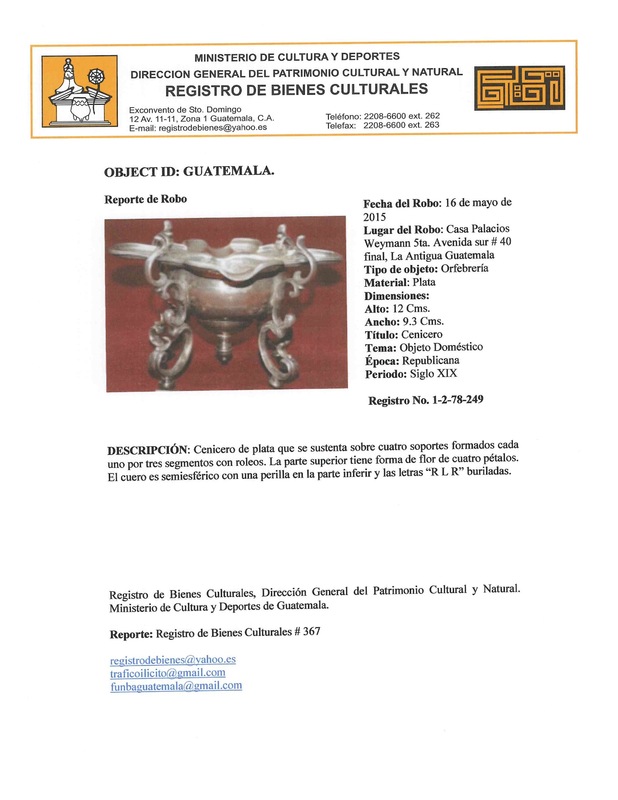 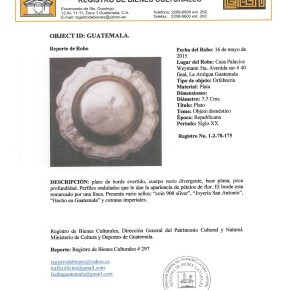 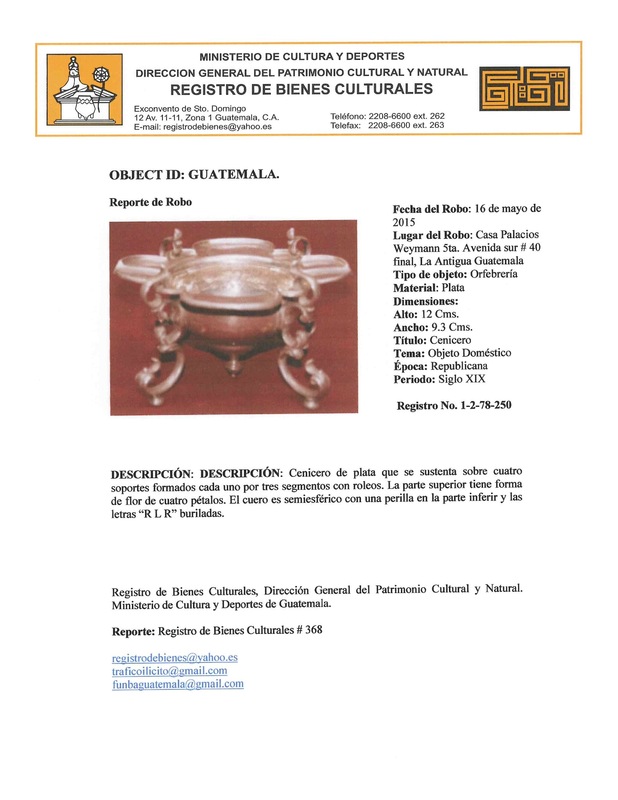 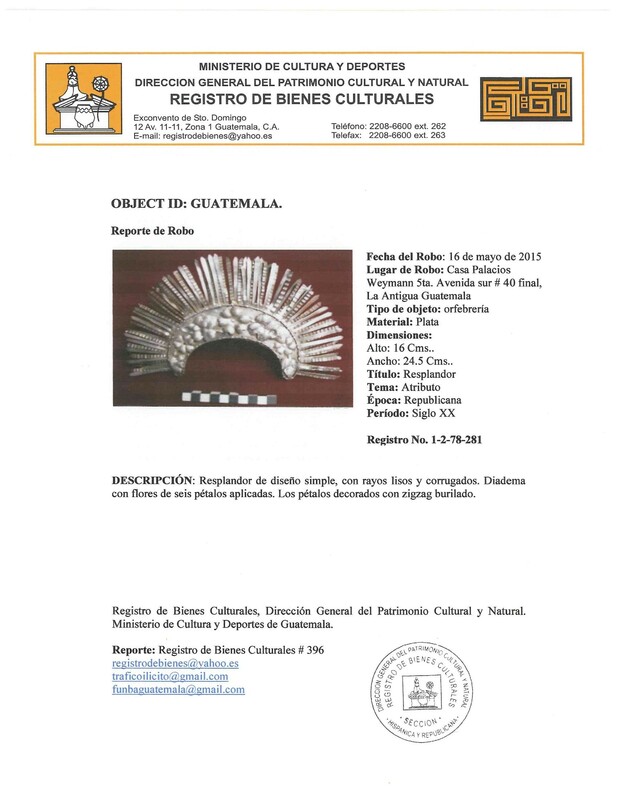 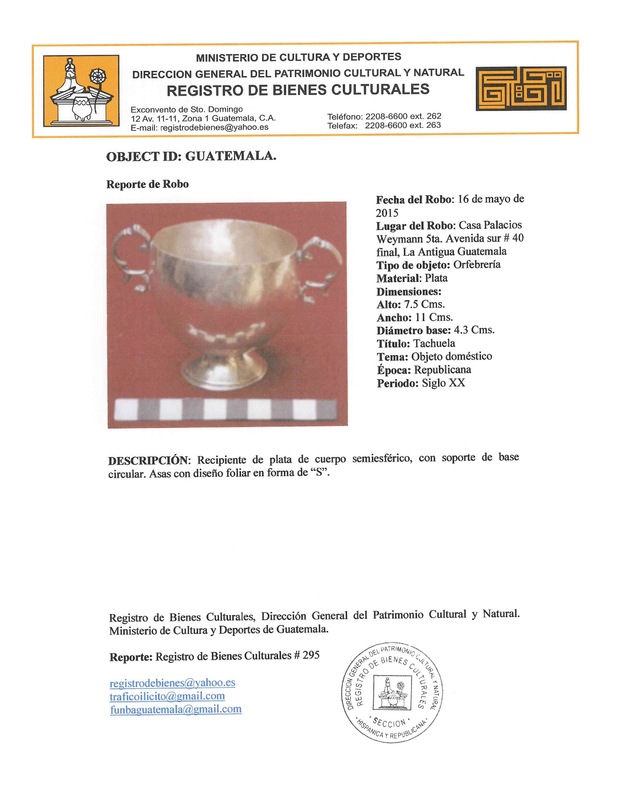 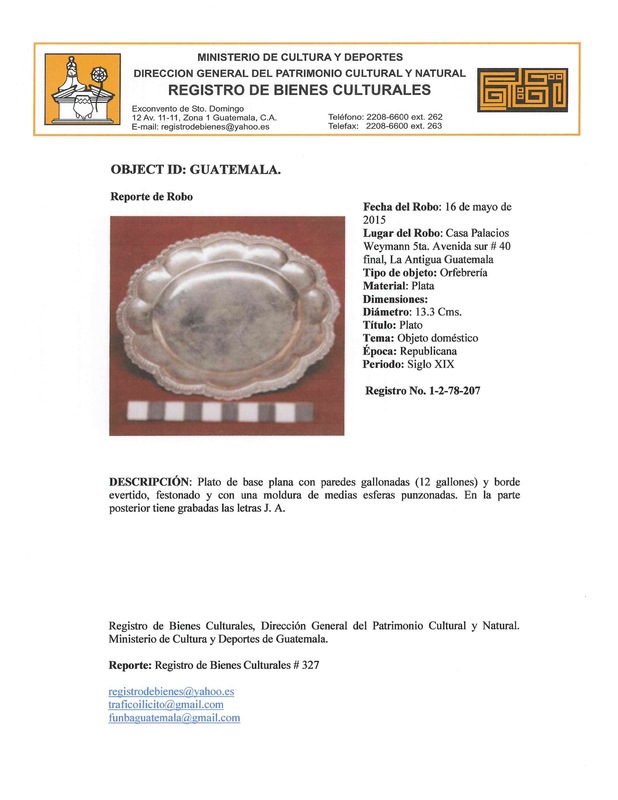 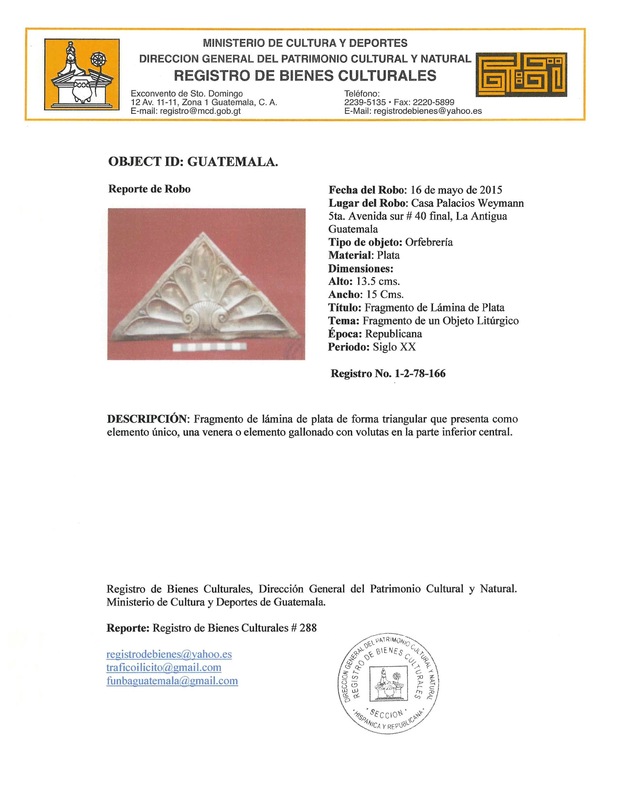 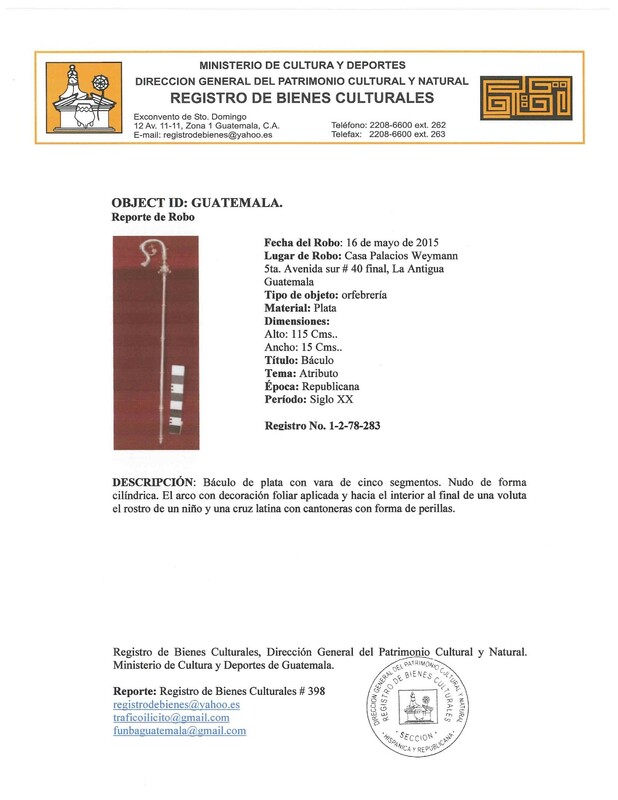 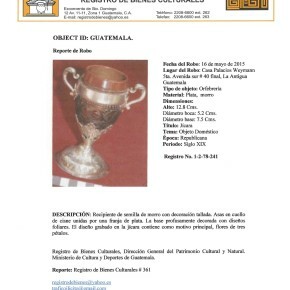 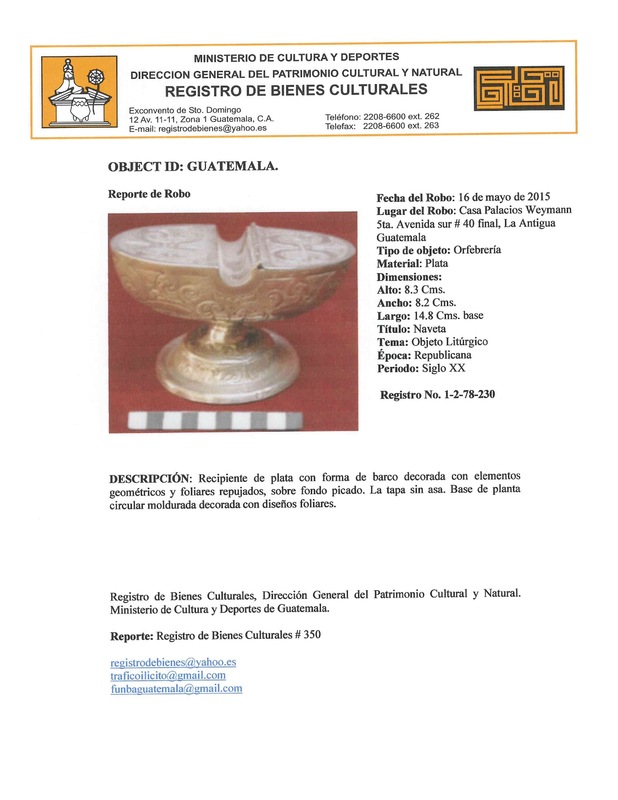 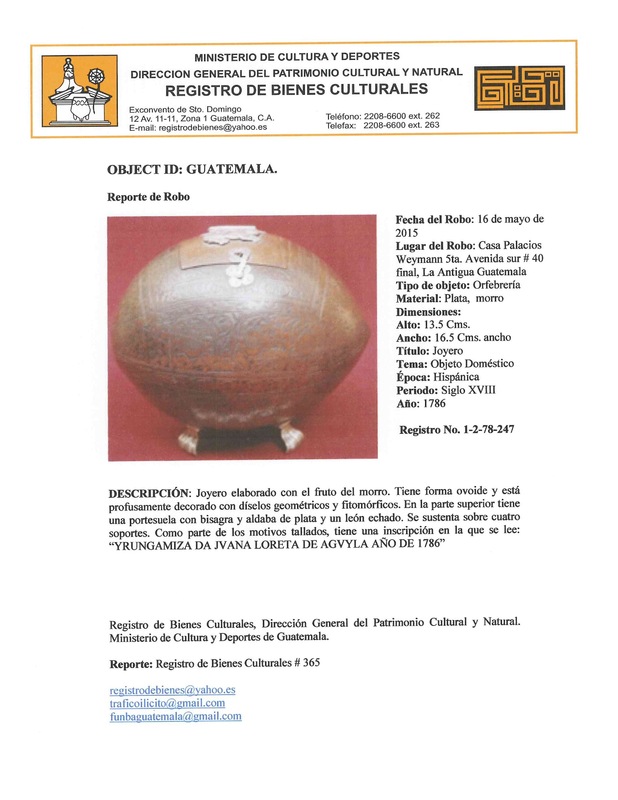 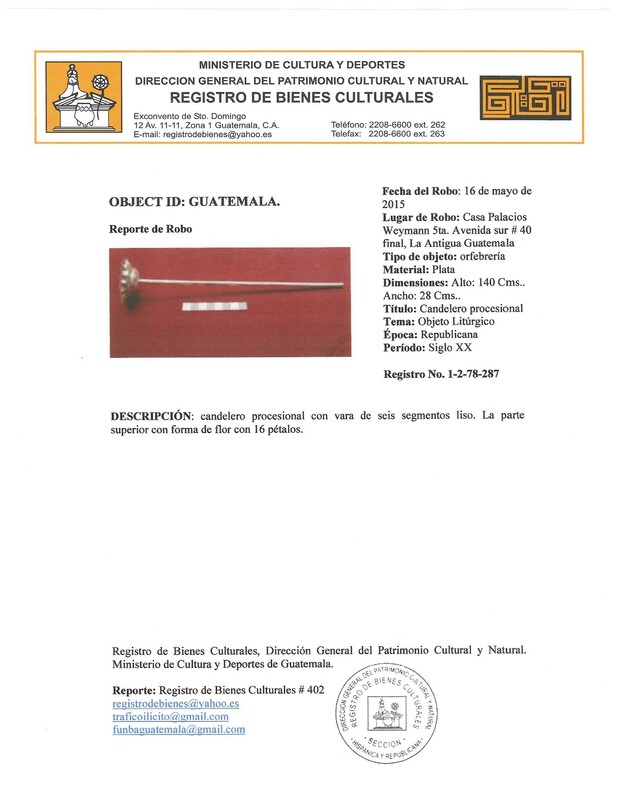 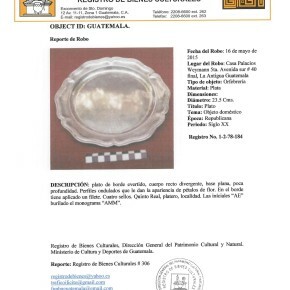 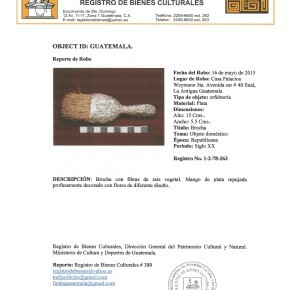 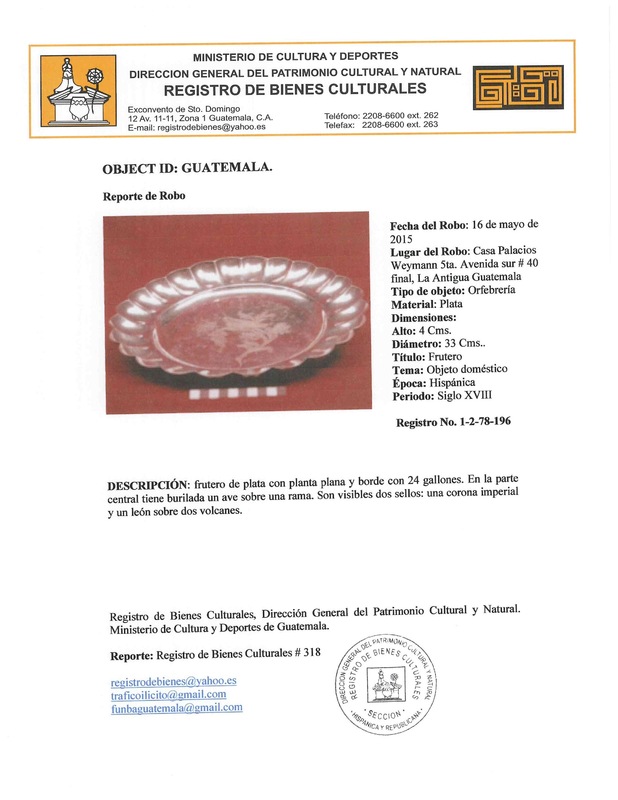 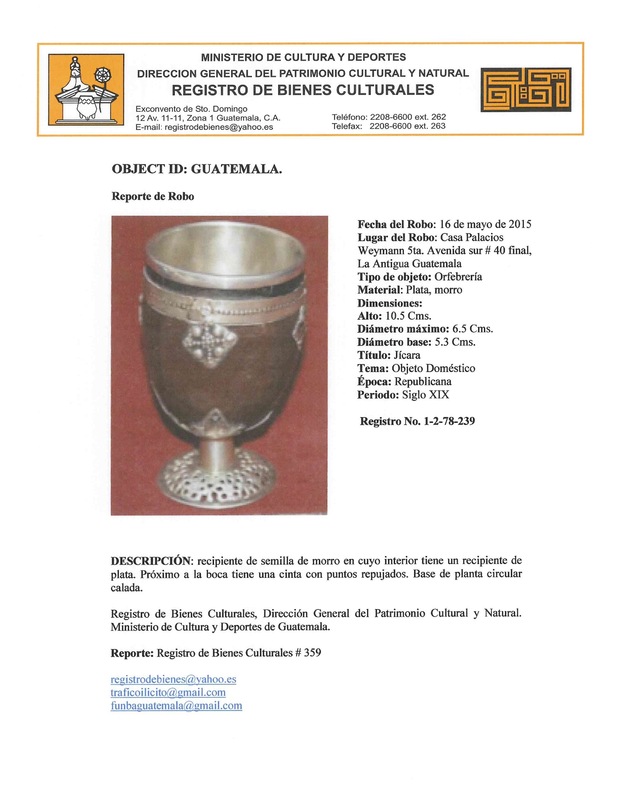 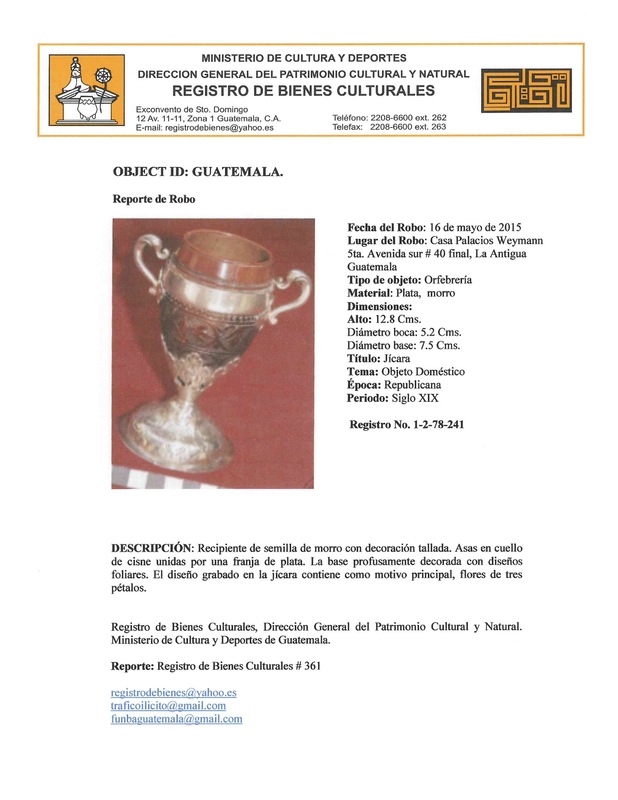 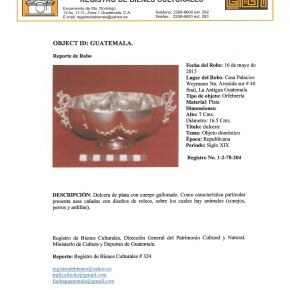 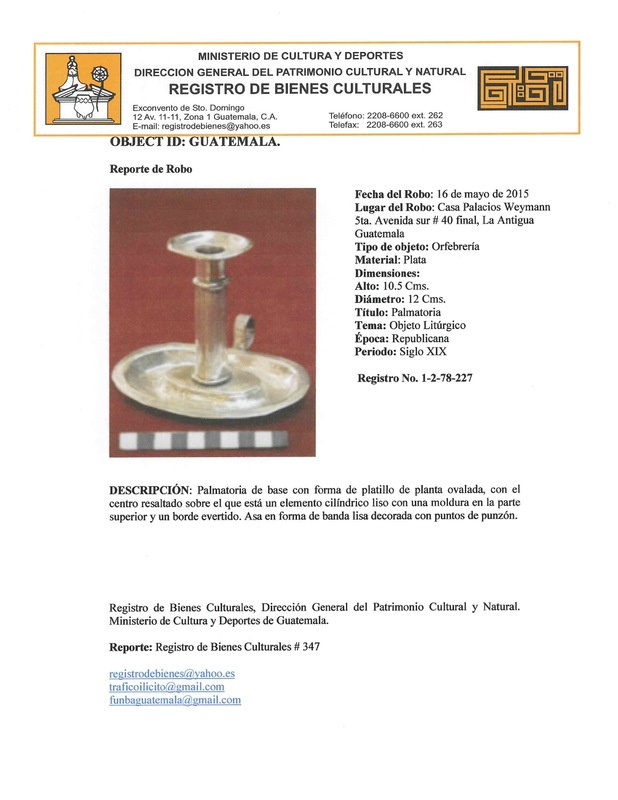 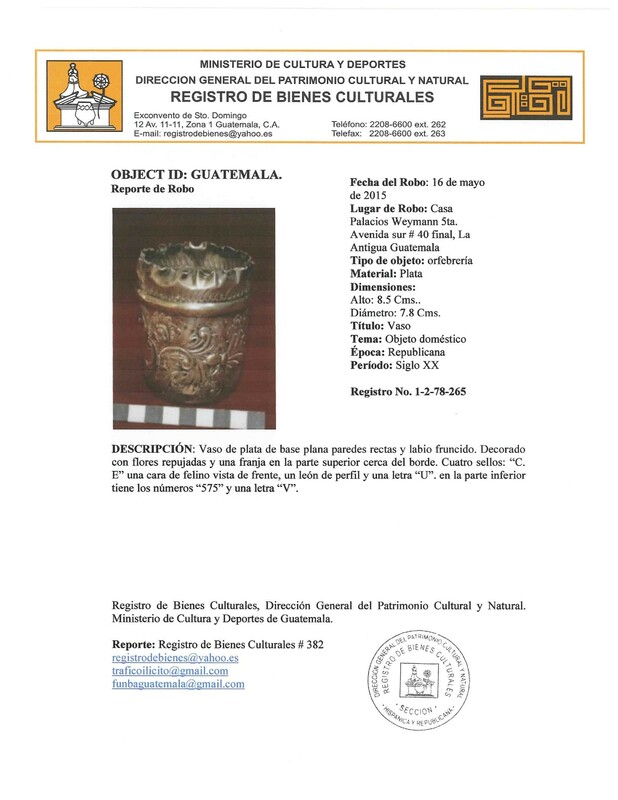 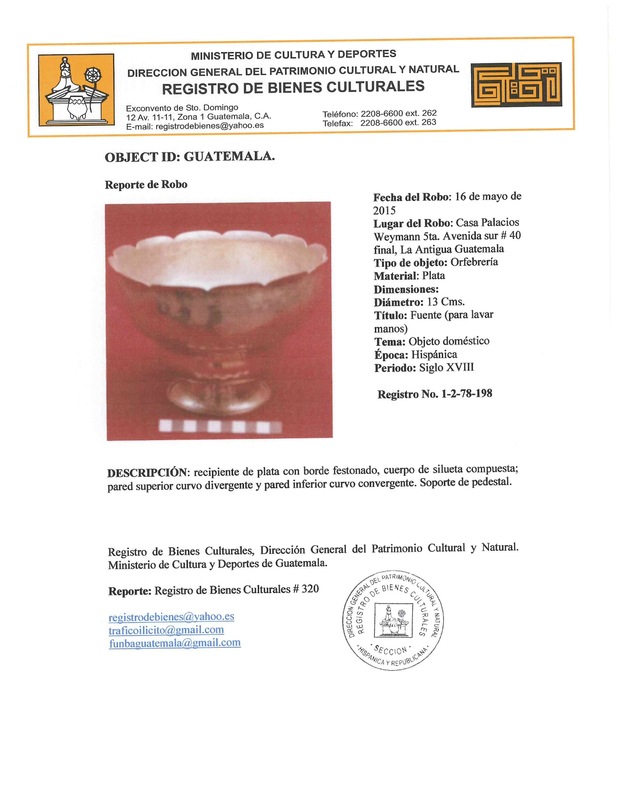 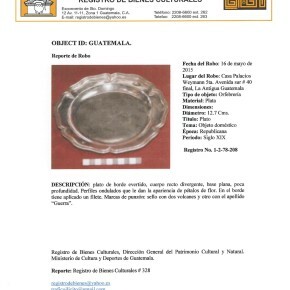 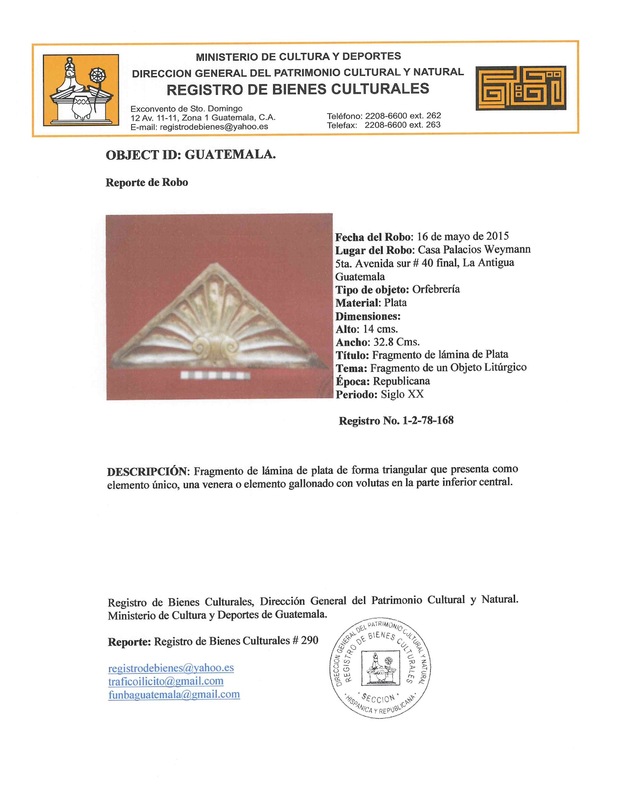 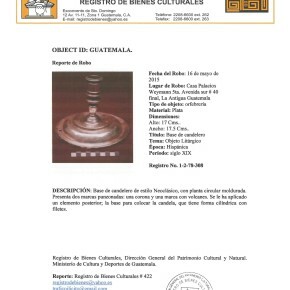 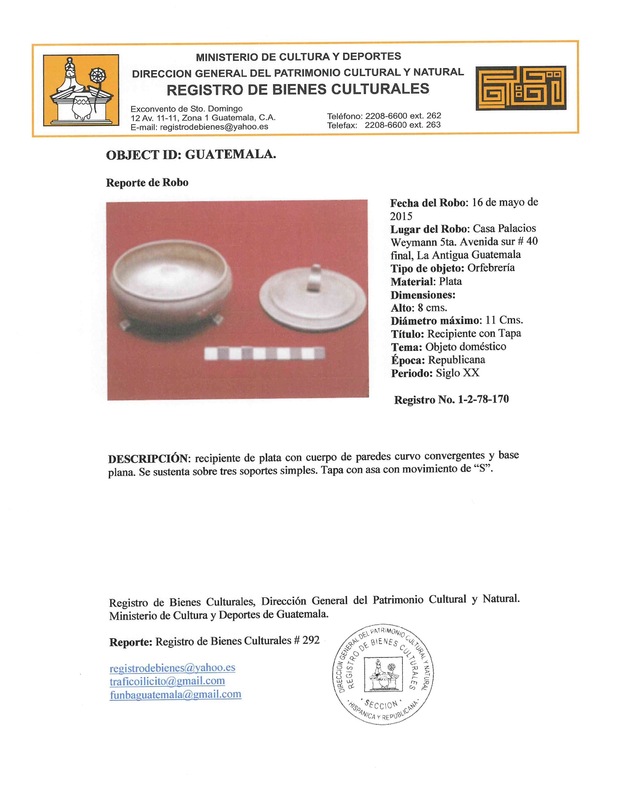 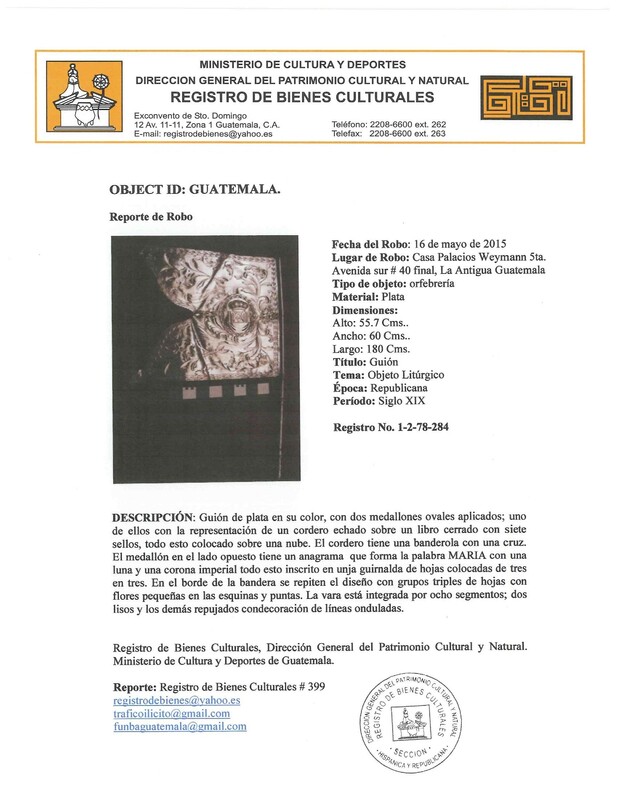 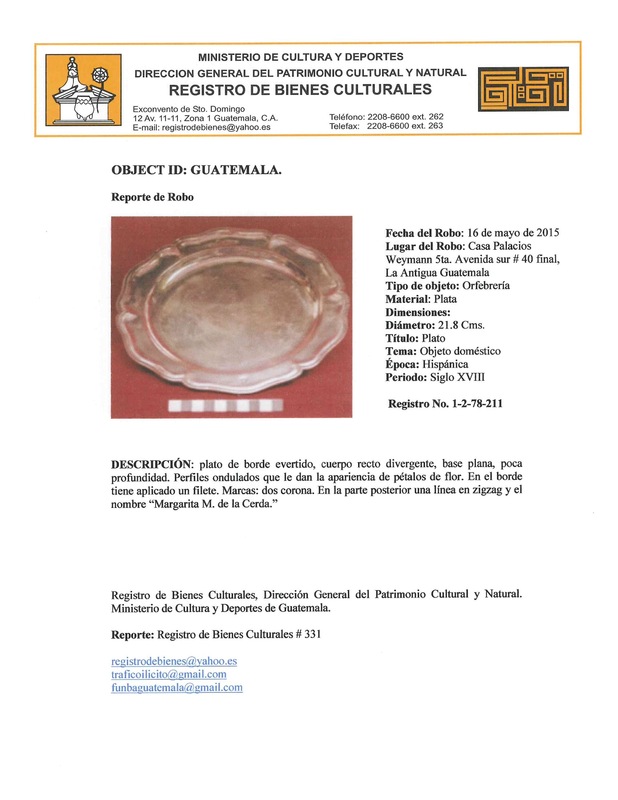 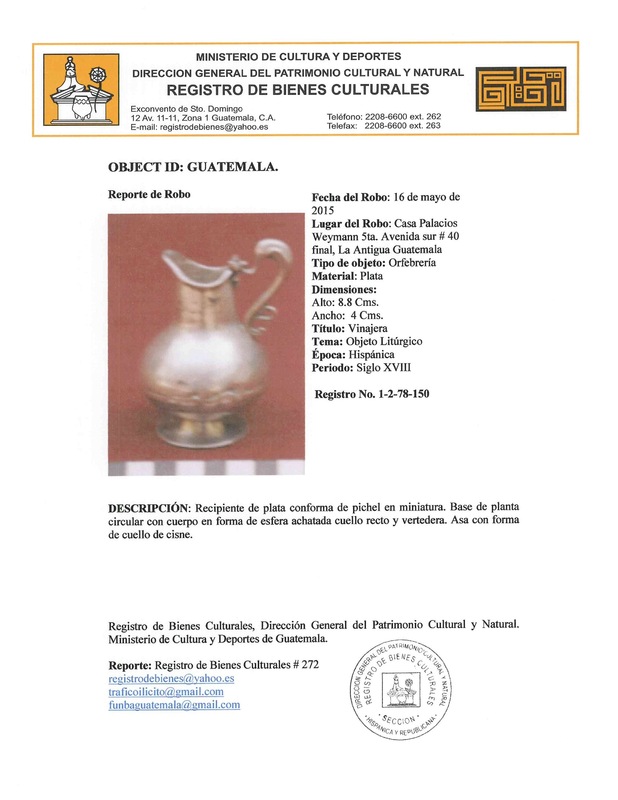 On 16 May 2015, the private and unopened Museo Guatemalteco de Arte was robbed. 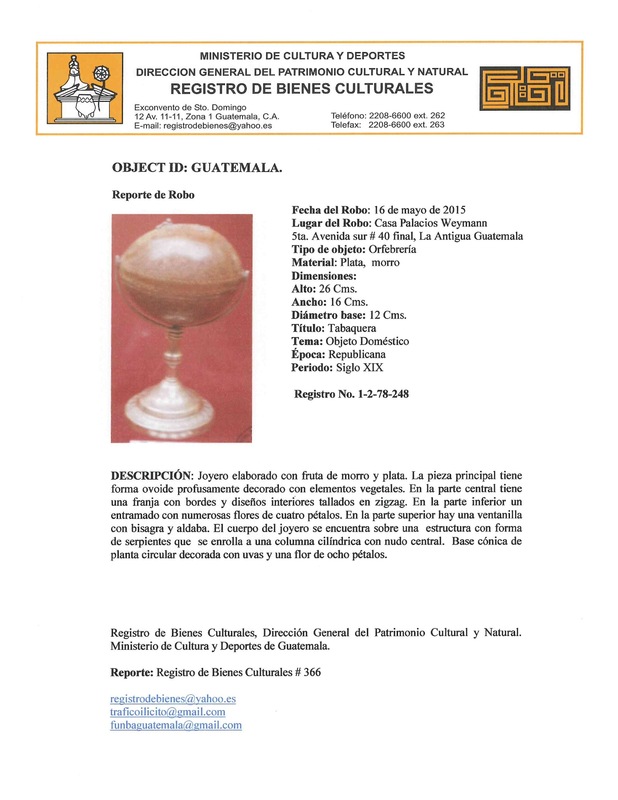 It is in La Antigua and contains the Palacios-Weymann collection. 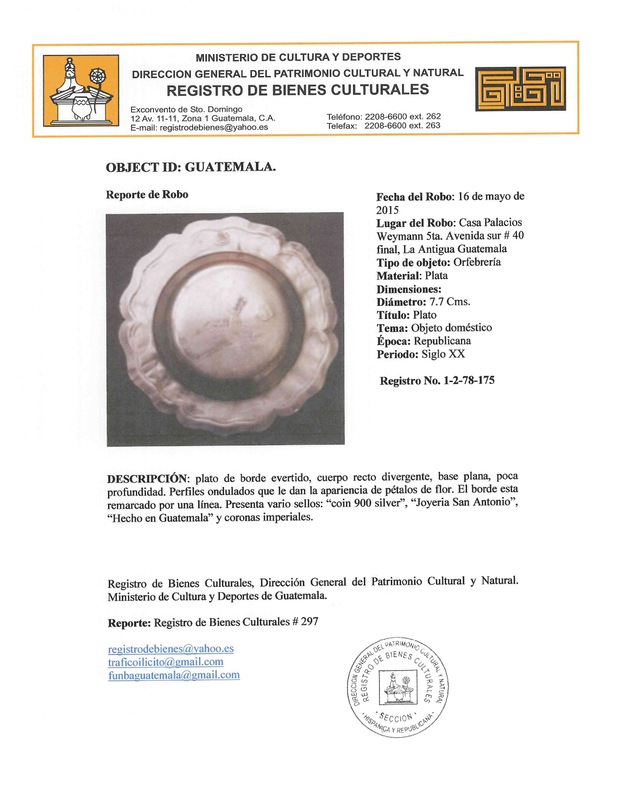 Several hundred Colonial objects were taken. 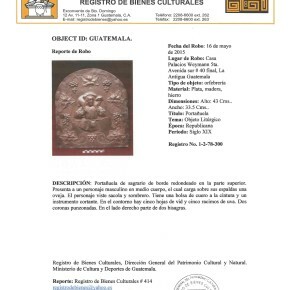 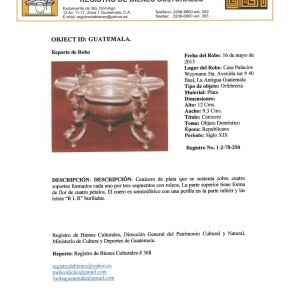 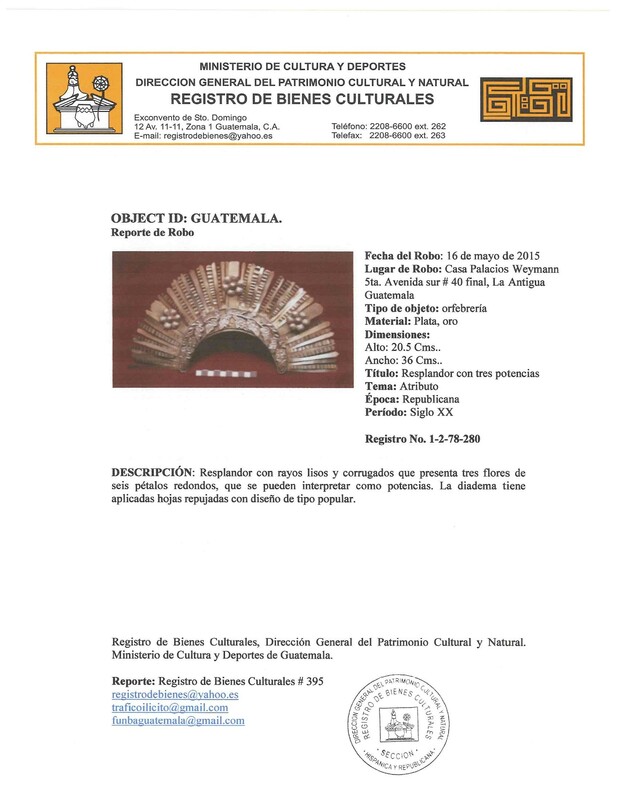 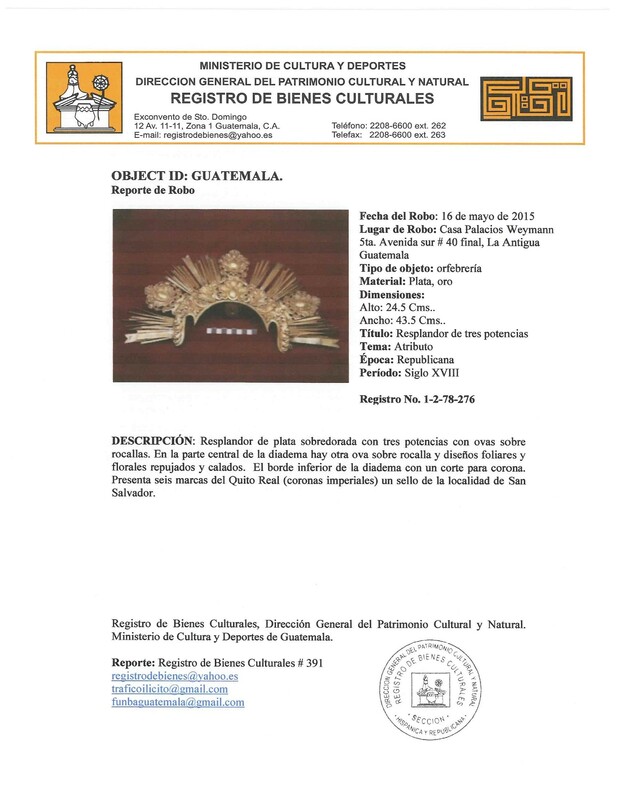 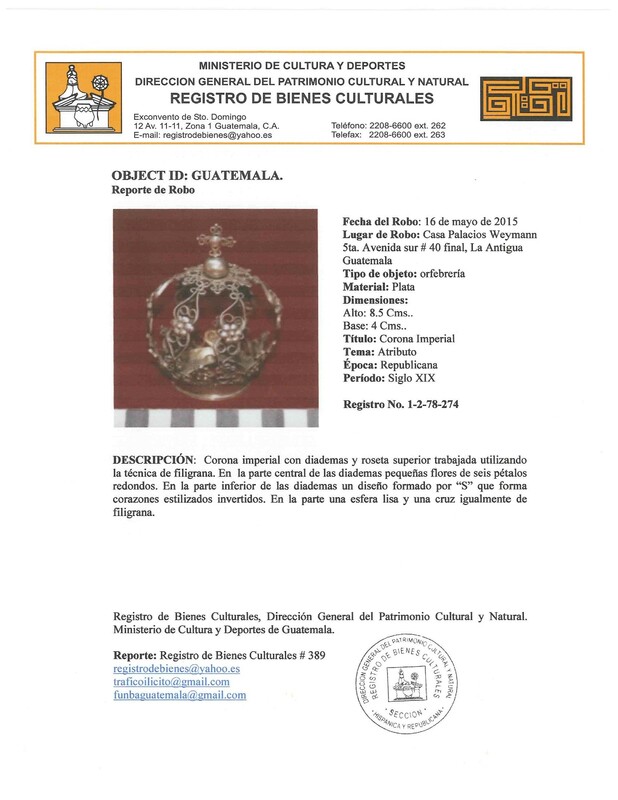 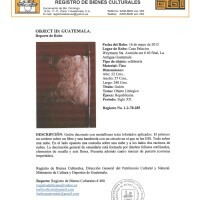 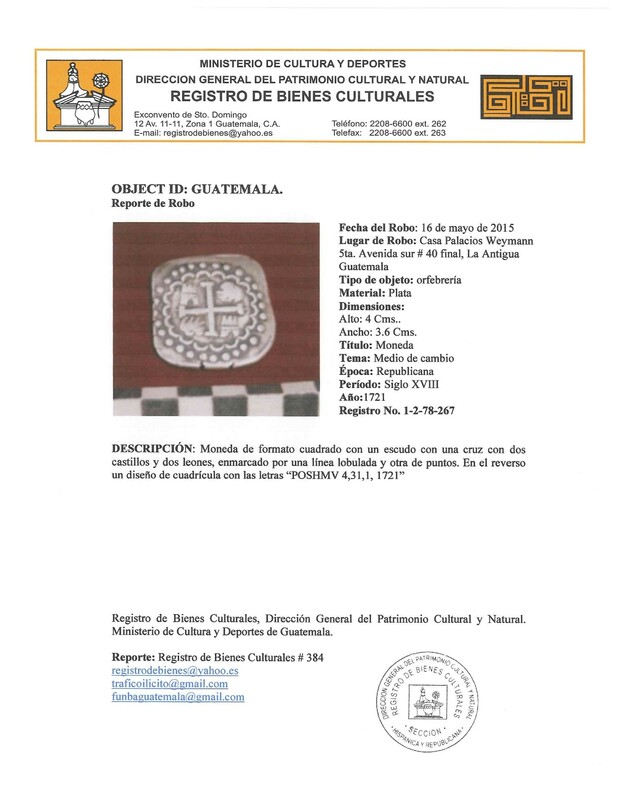 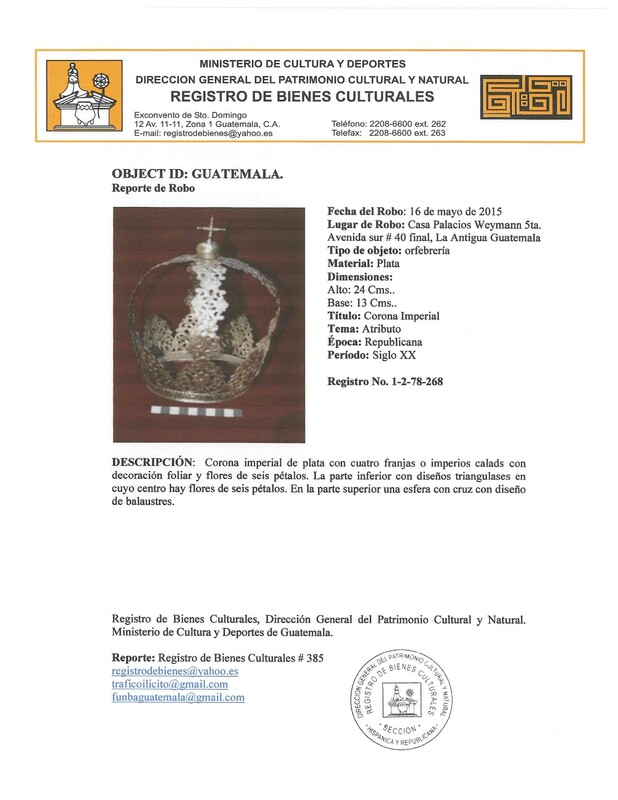 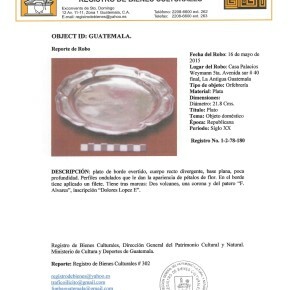 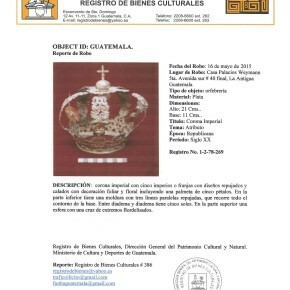 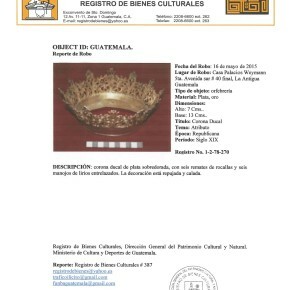 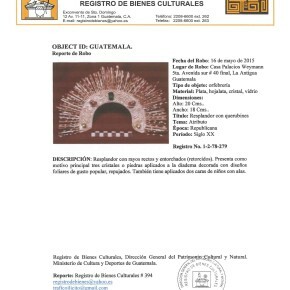 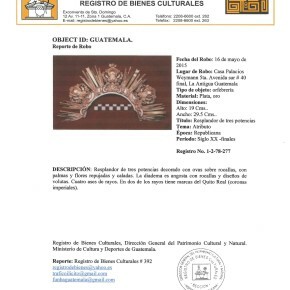 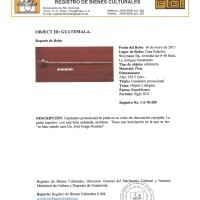 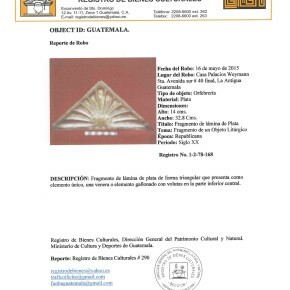 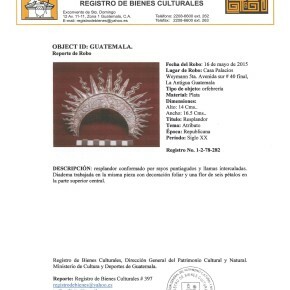 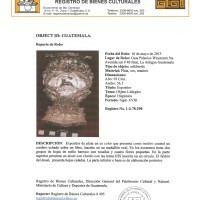 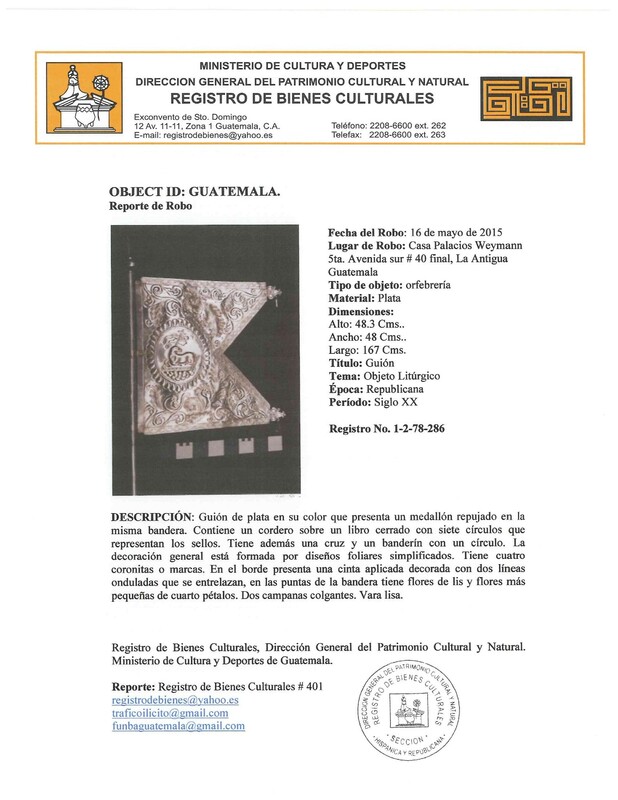 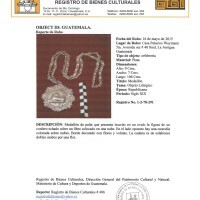 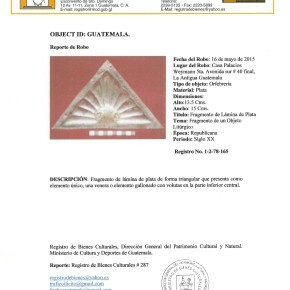 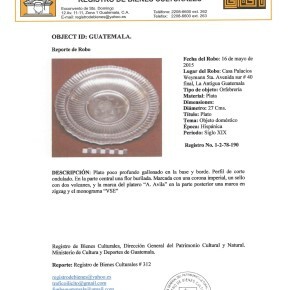 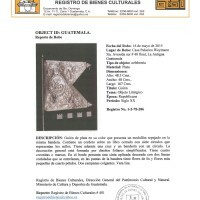 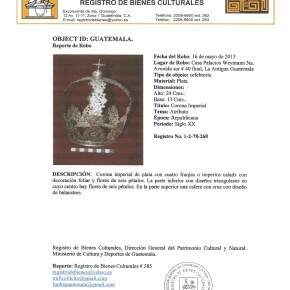 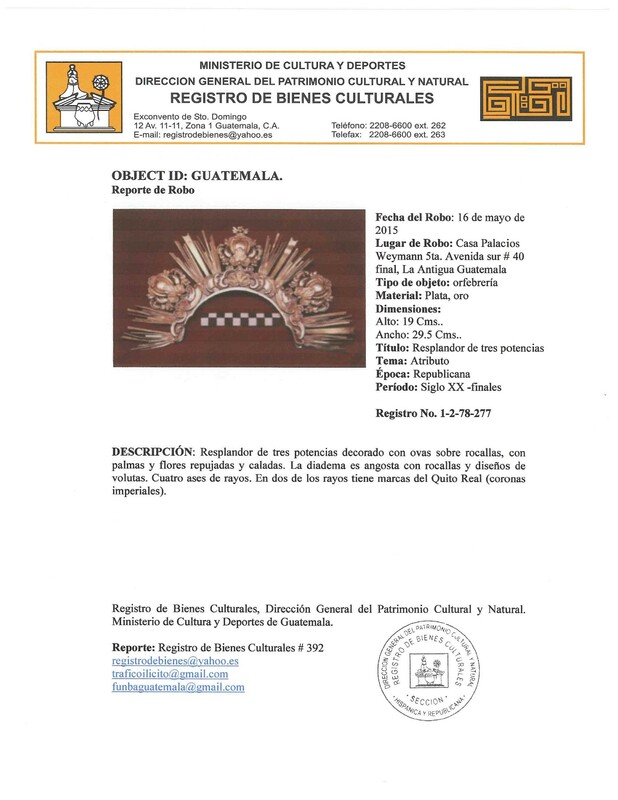 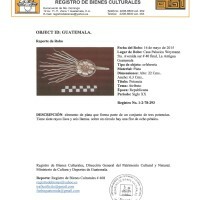 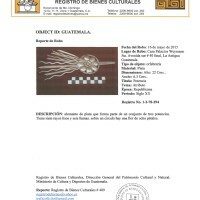 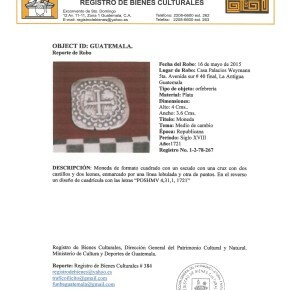 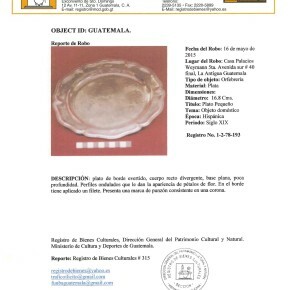 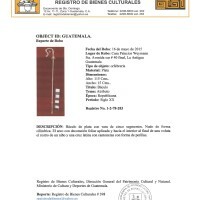 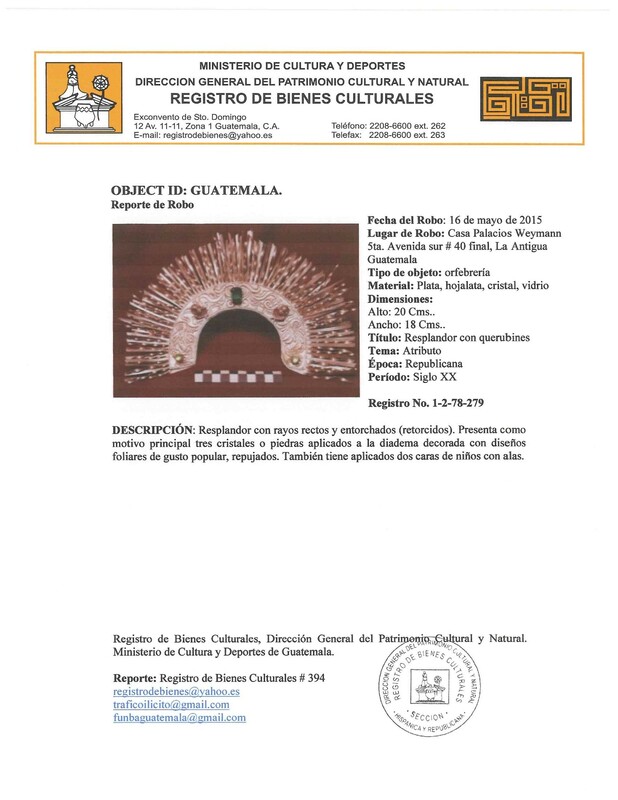 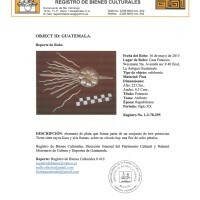 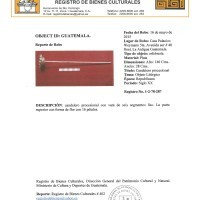 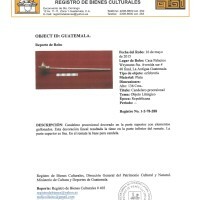 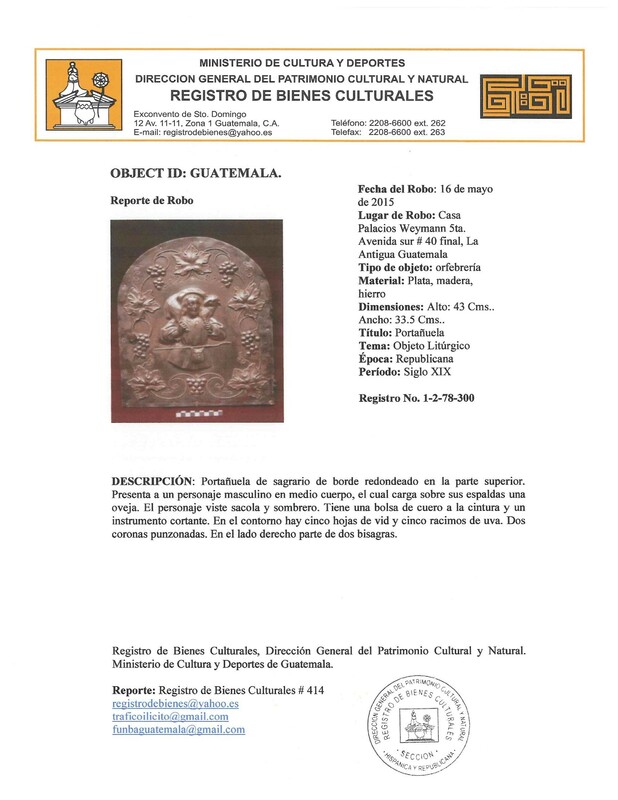 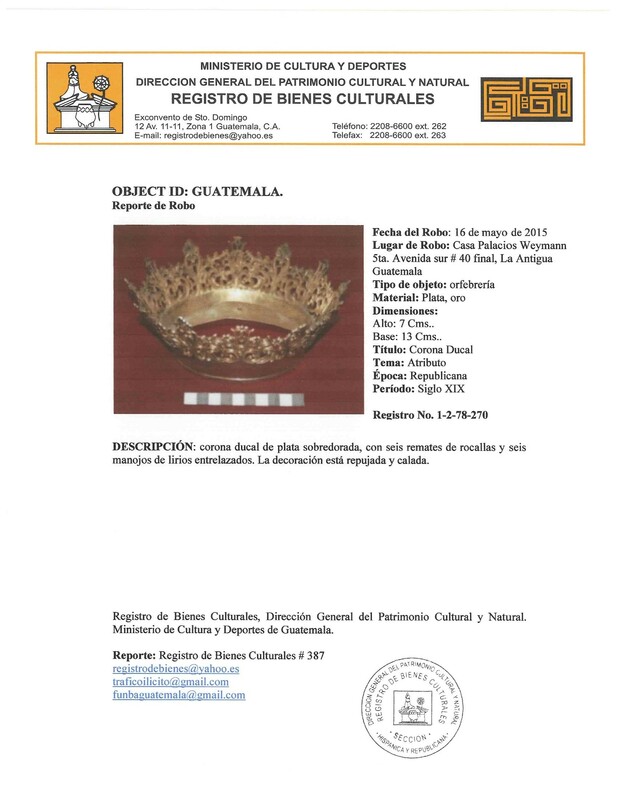 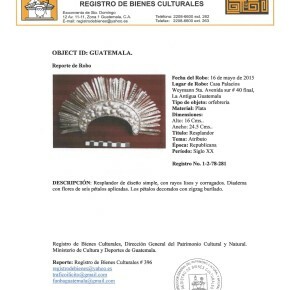 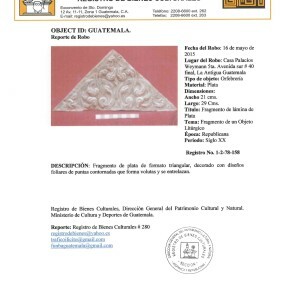 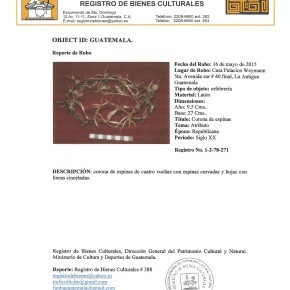 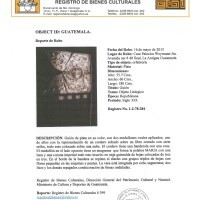 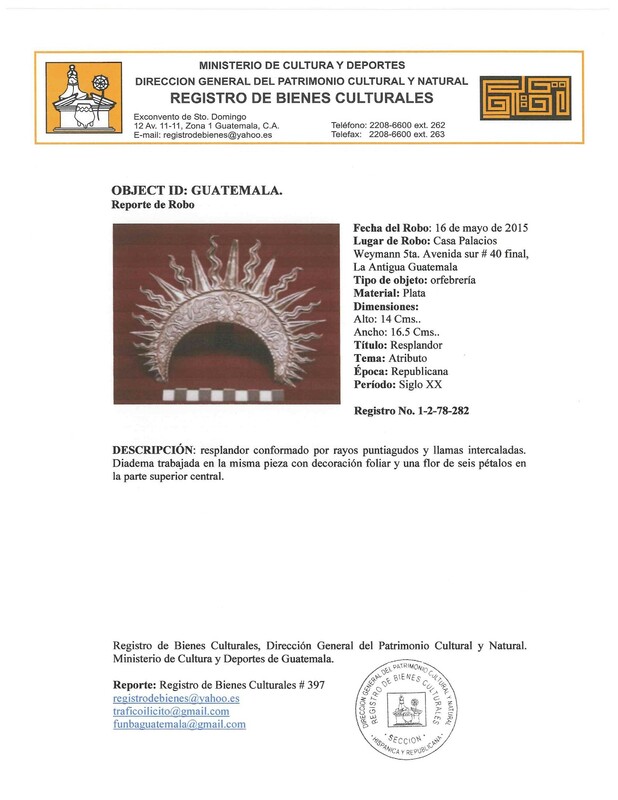 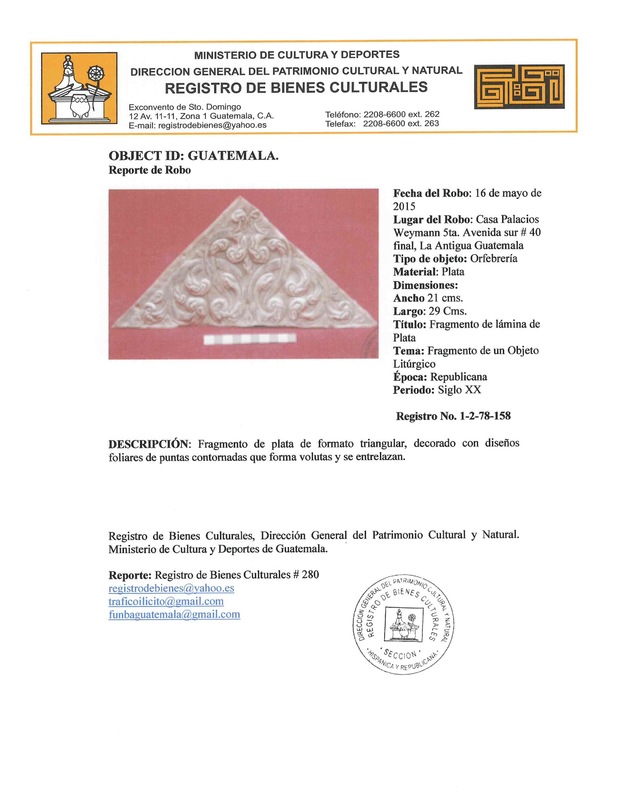 Here are the official registration documents from Guatemala’s Ministerio de Cultura y Deportes. 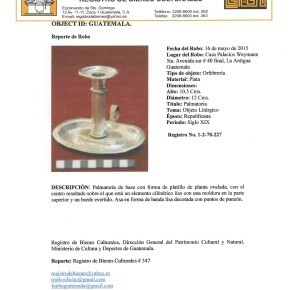 I am missing about 50 of them but I will add them once I get them. 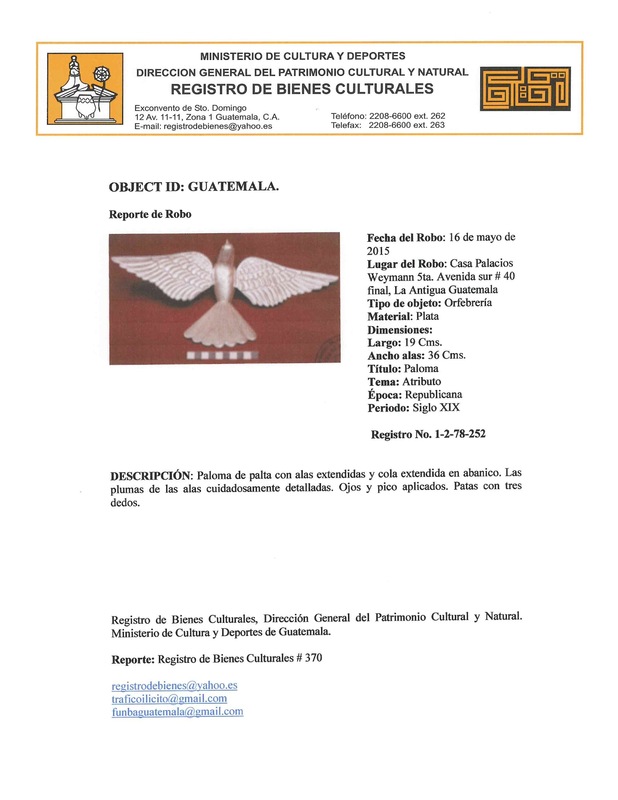 Please share these widely. 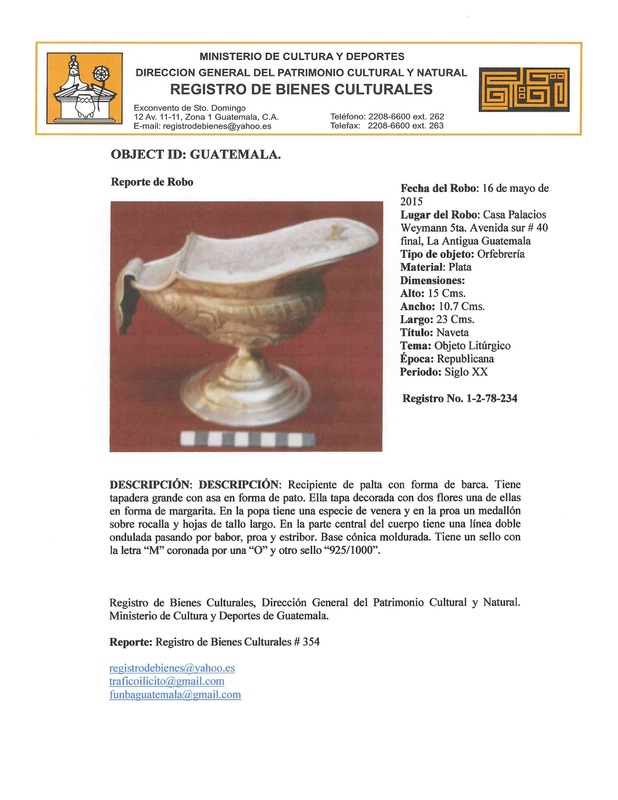 Pdfs in three sets of about 50 object each available HERE, HERE, and HERE. 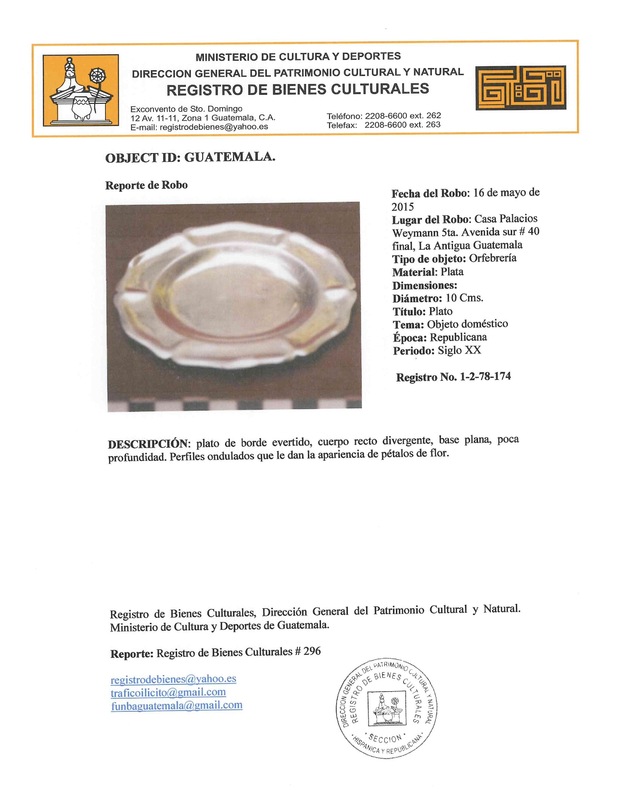 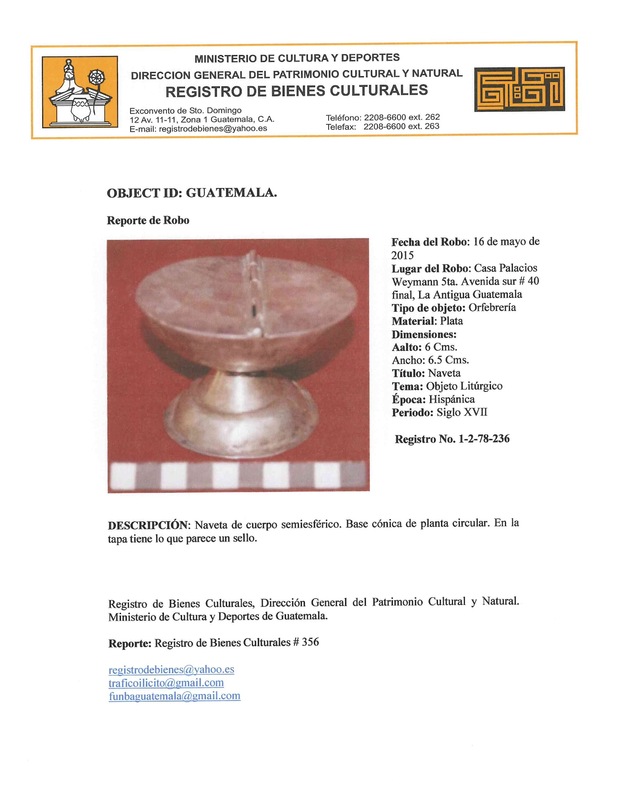 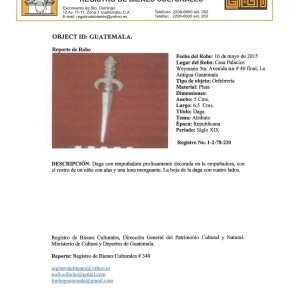 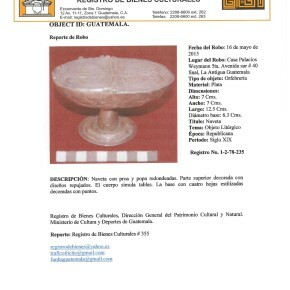 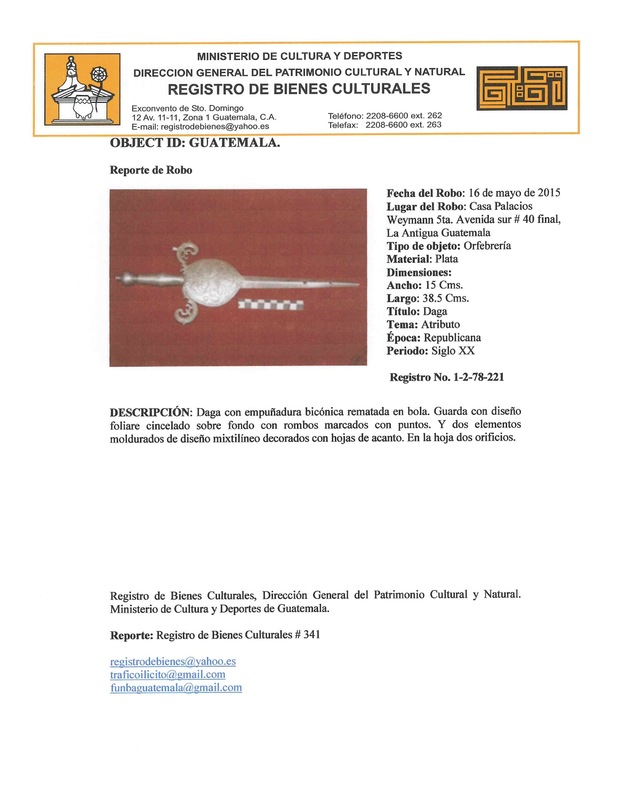 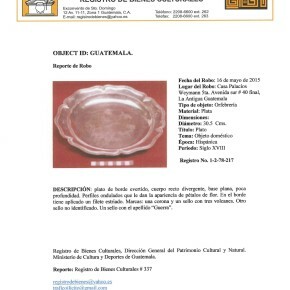 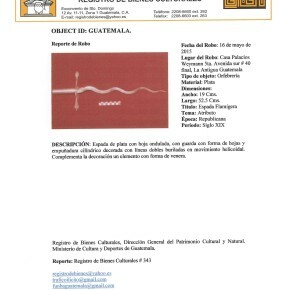 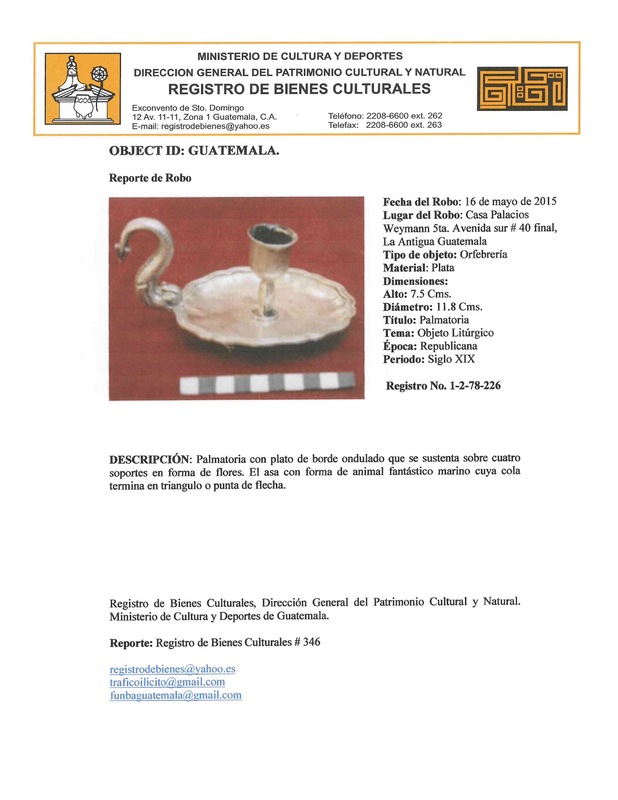 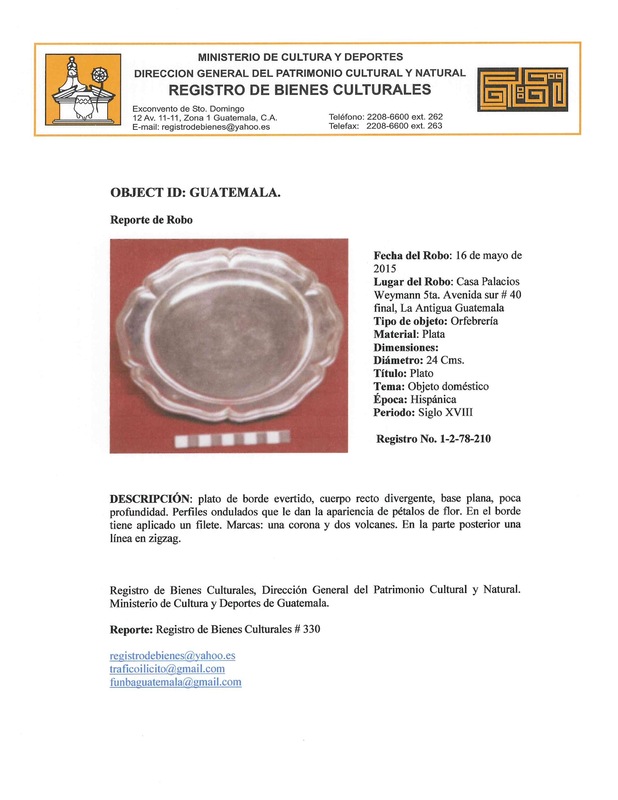 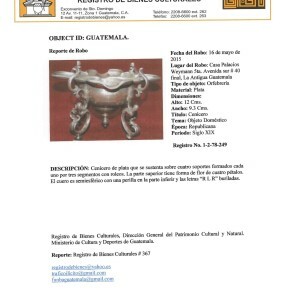 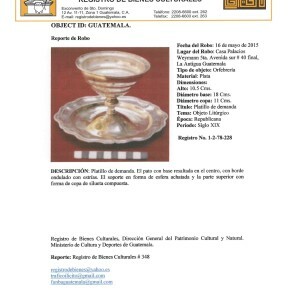 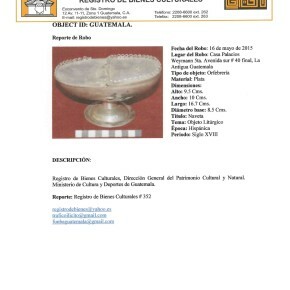 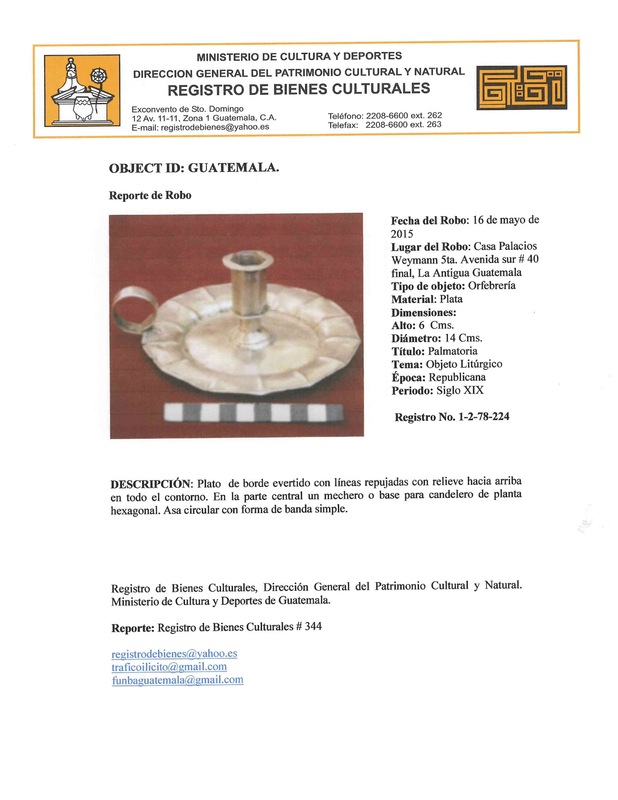 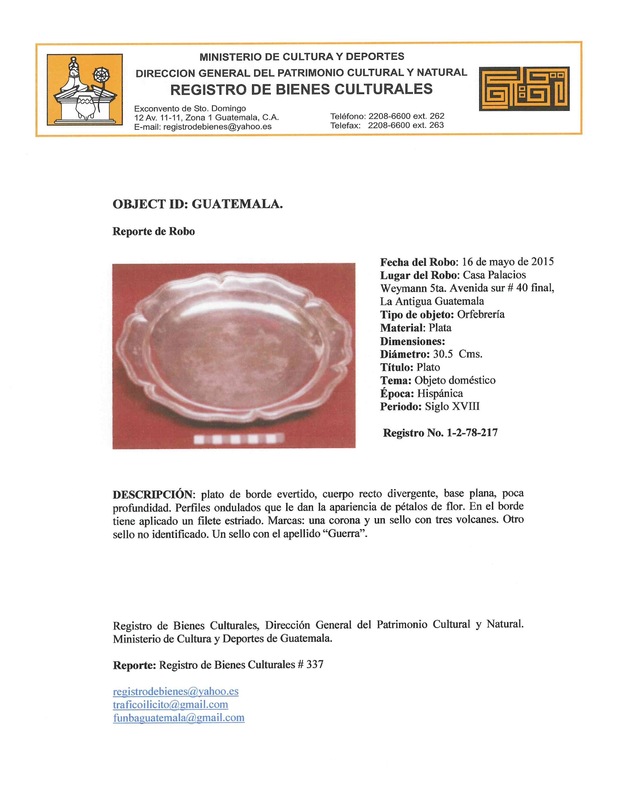 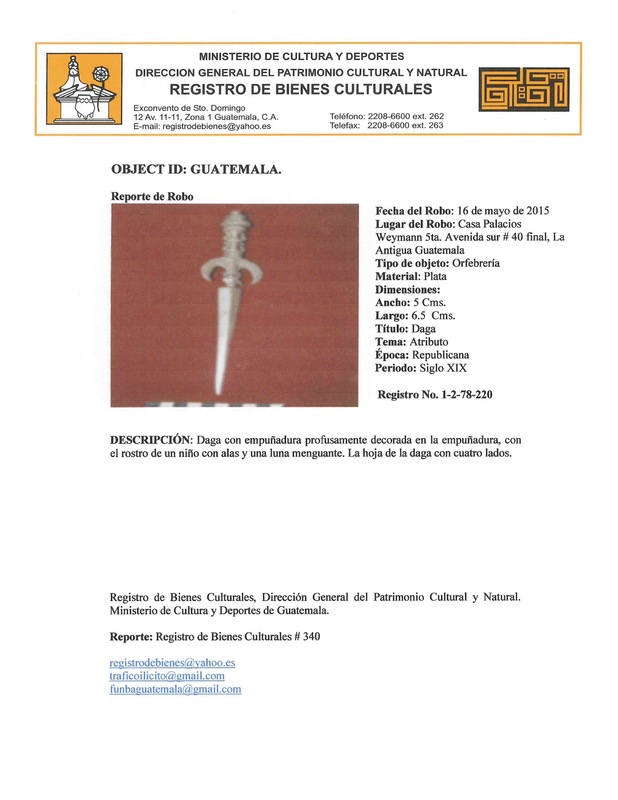 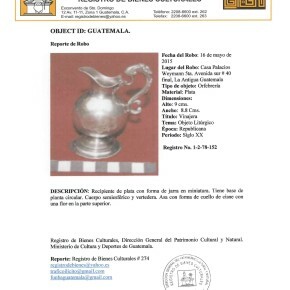 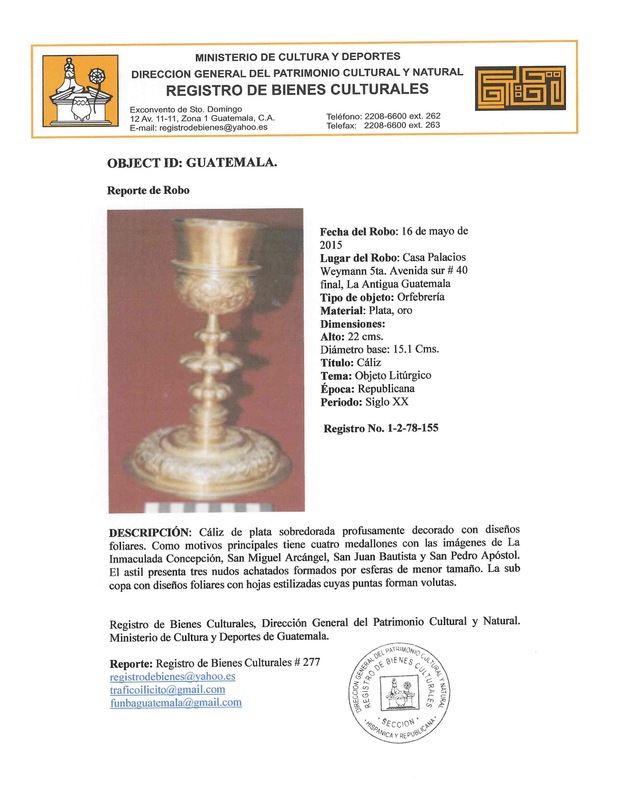 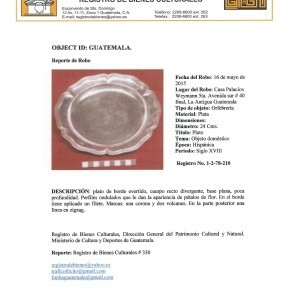 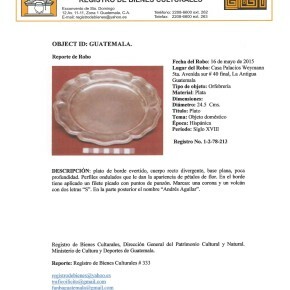 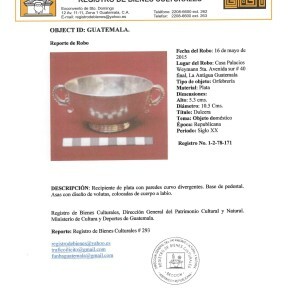 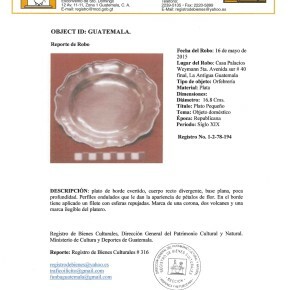 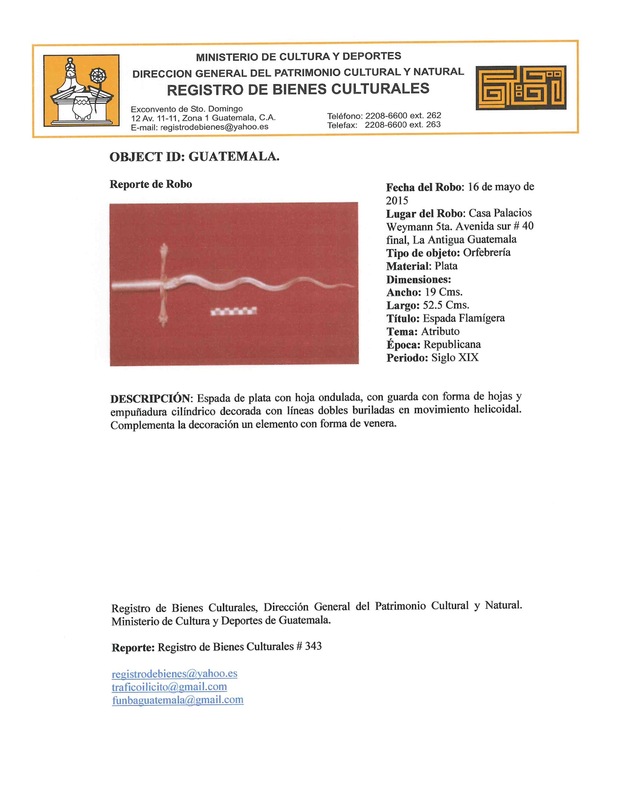 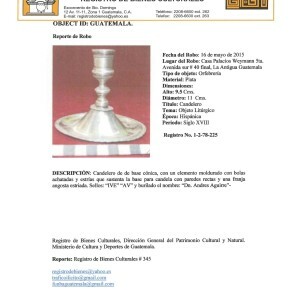 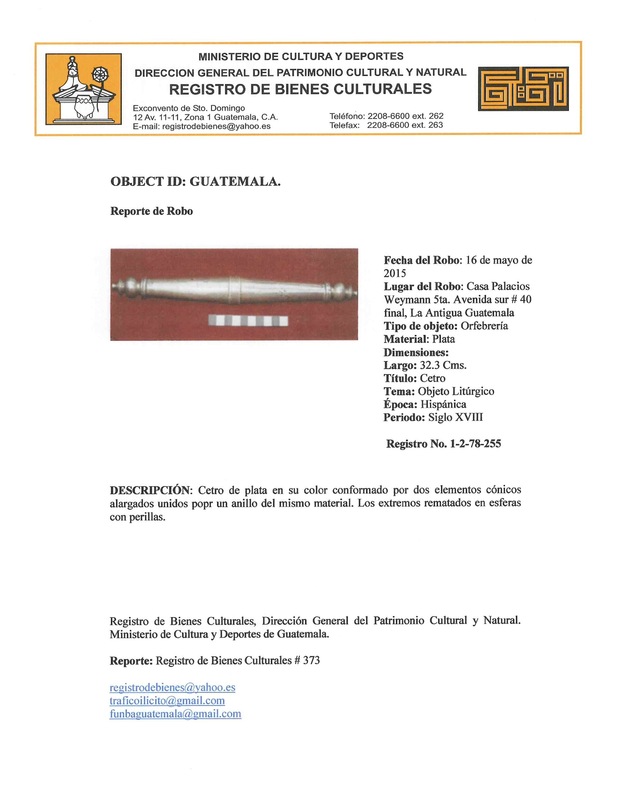 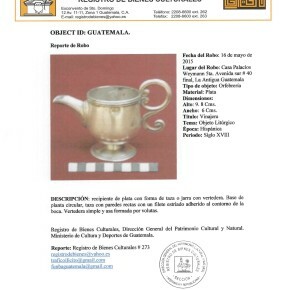 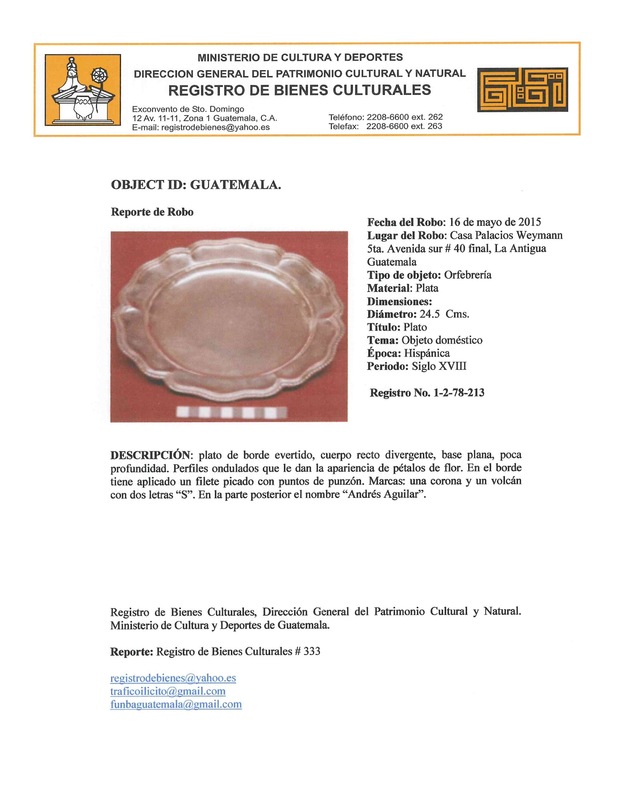 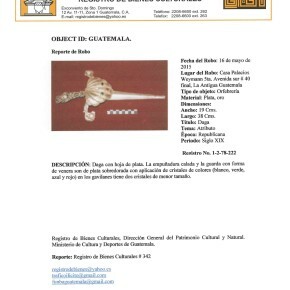 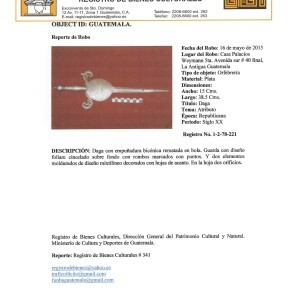 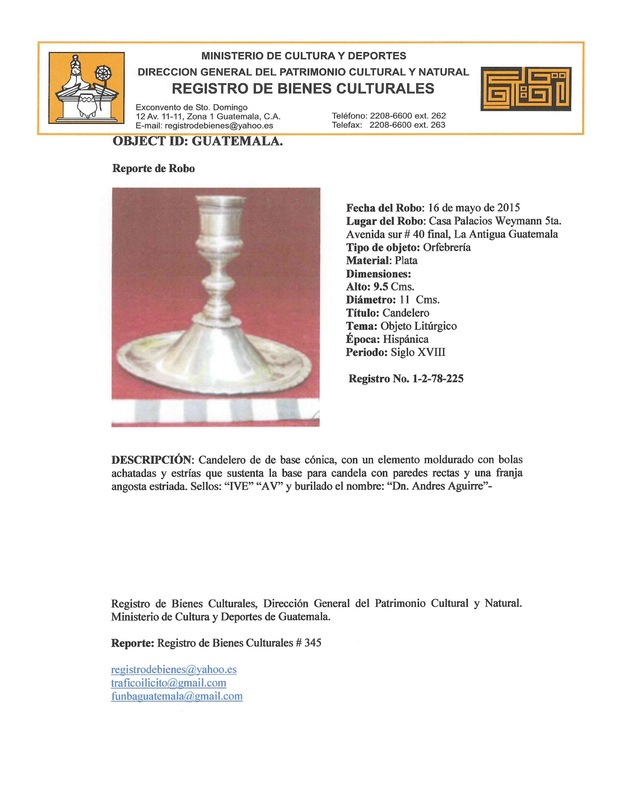 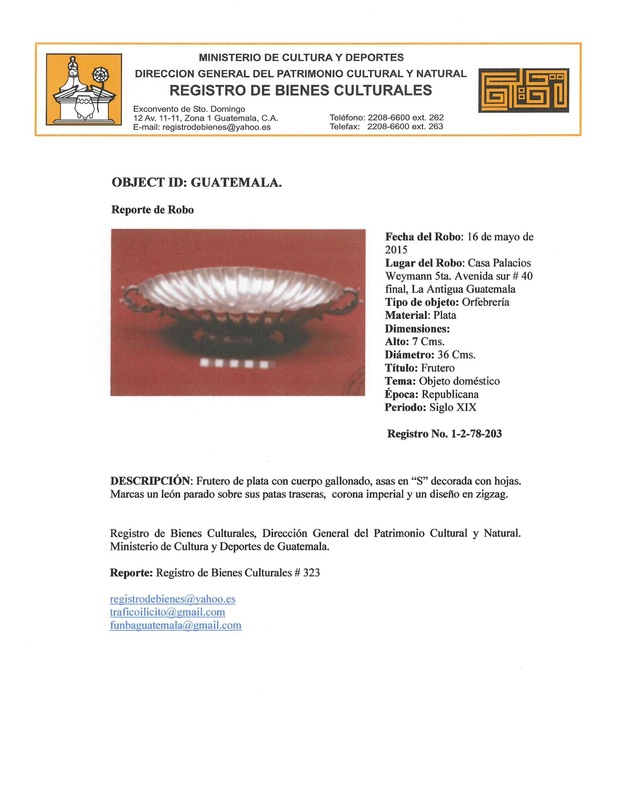 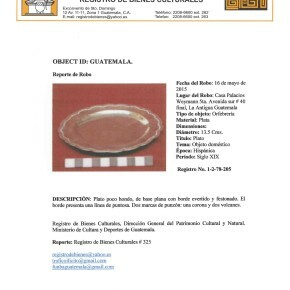 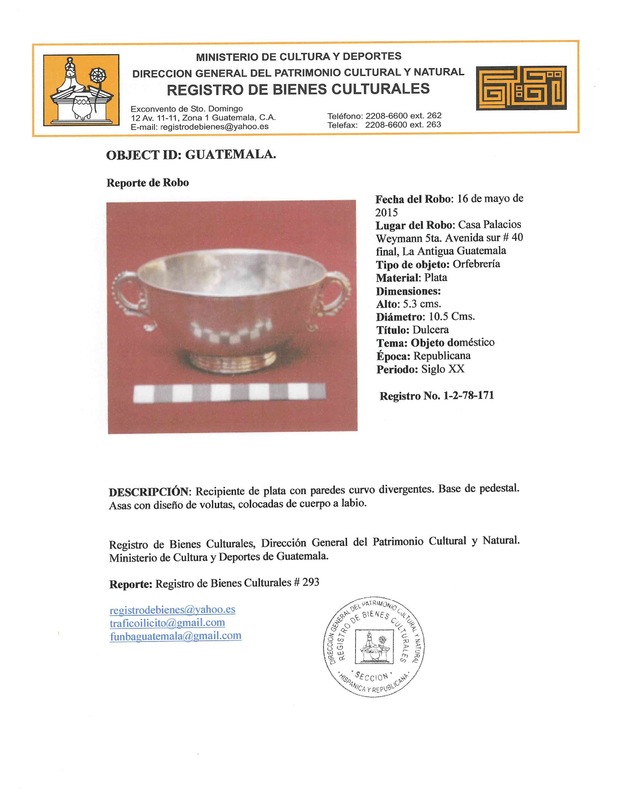 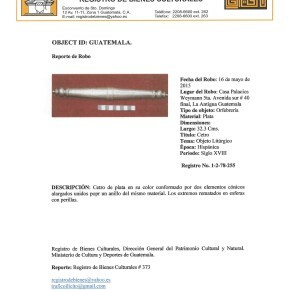 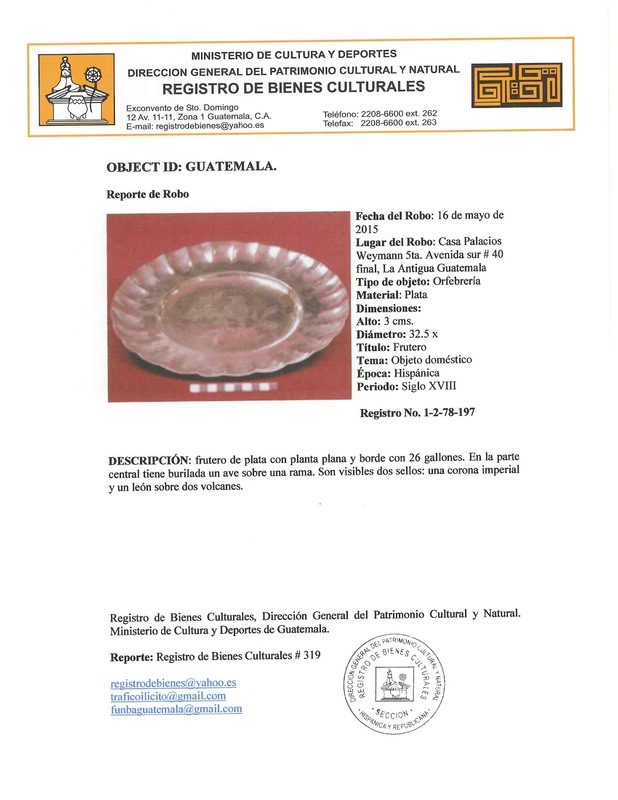 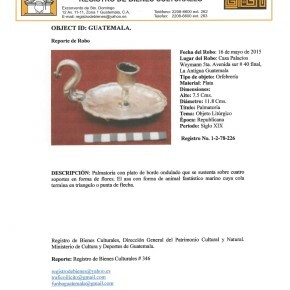 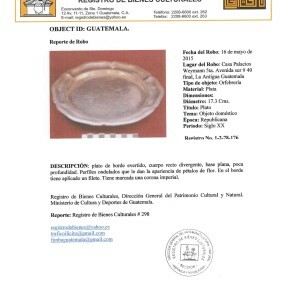 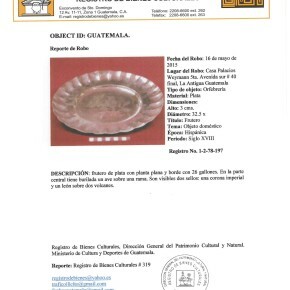 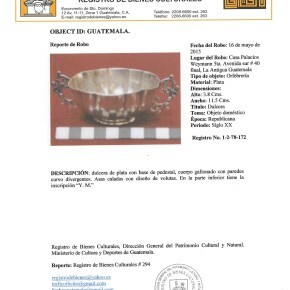 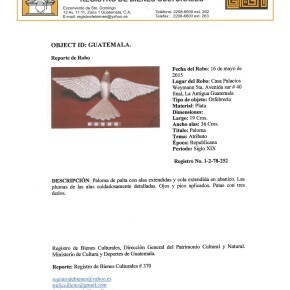 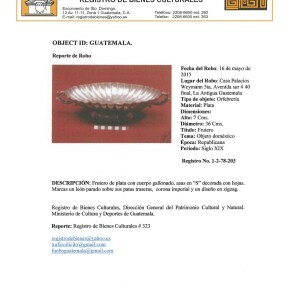 If you have ANY information about the robbery or have seen these objects please contact: registrodebienes@yahoo.es, traficoilicito@gmail.com or funbaguatemala@gmail.com. 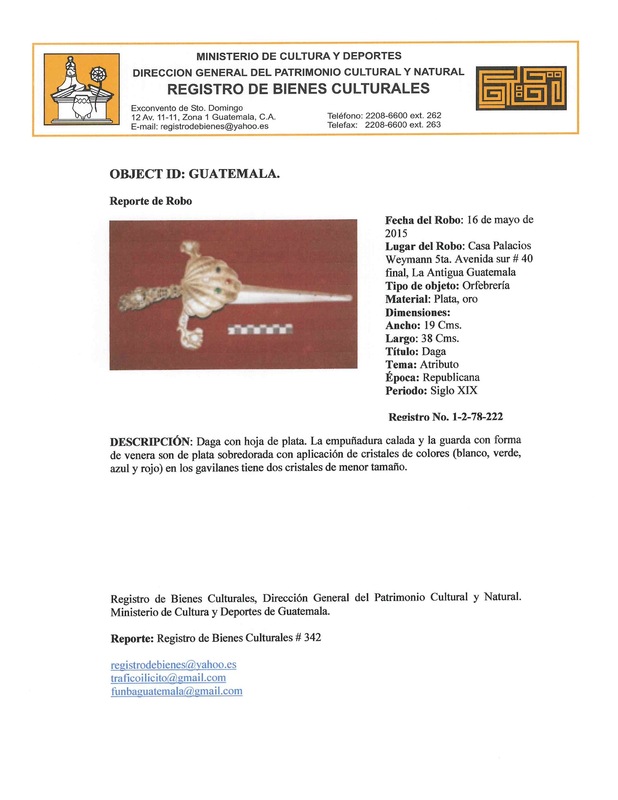 Thank you to Sofia Paredes Maury and Clemency Coggins for bringing this to my attention.